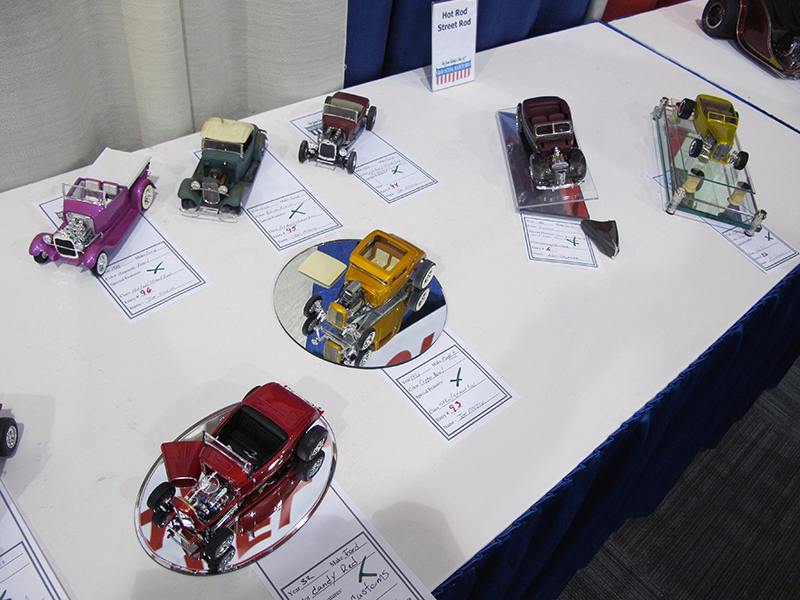 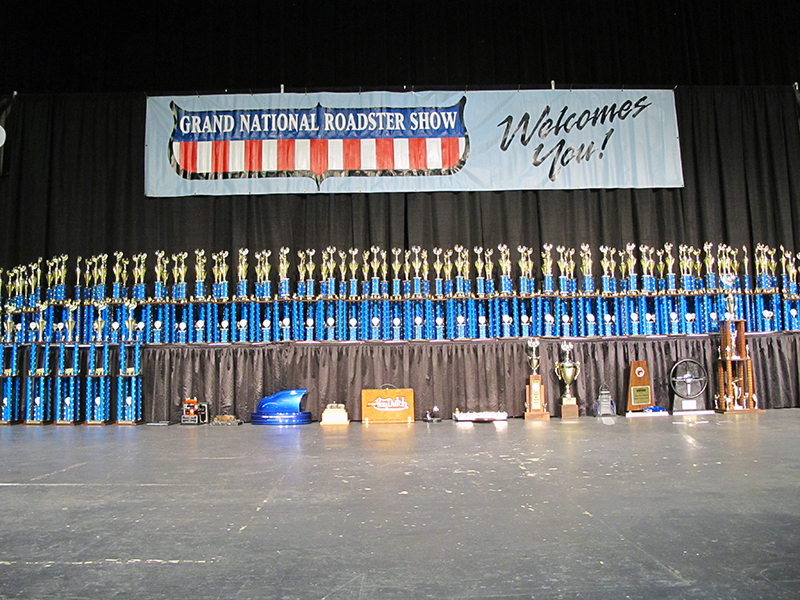 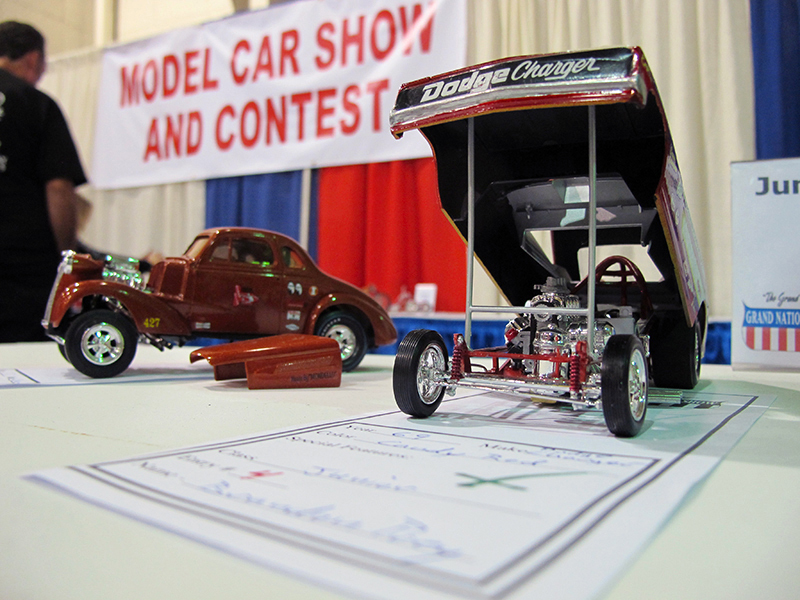 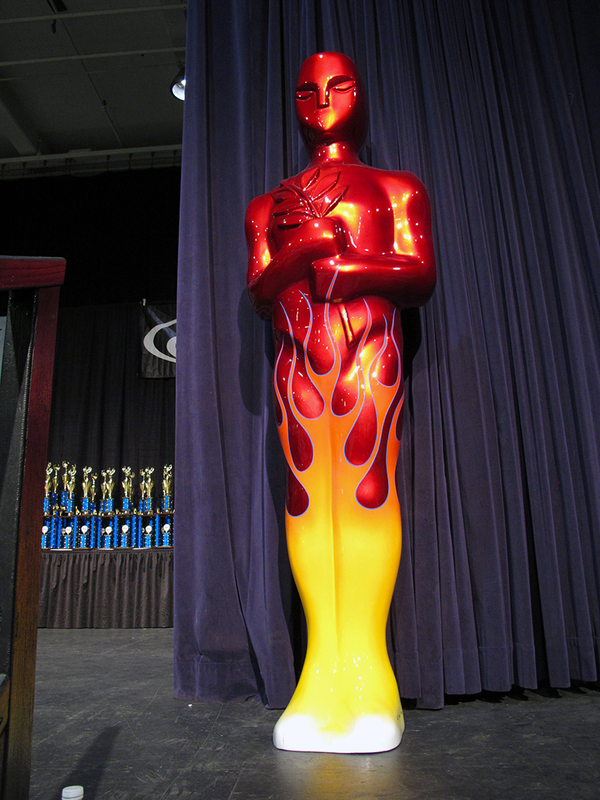 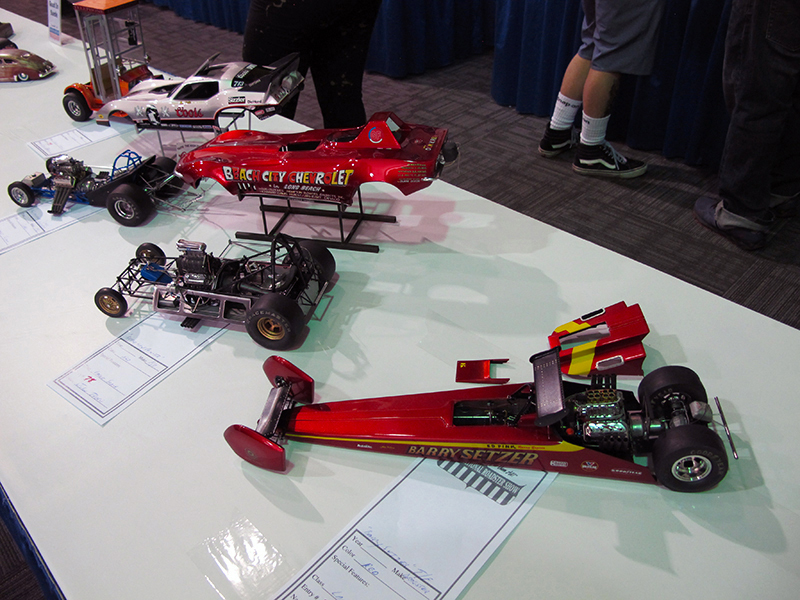 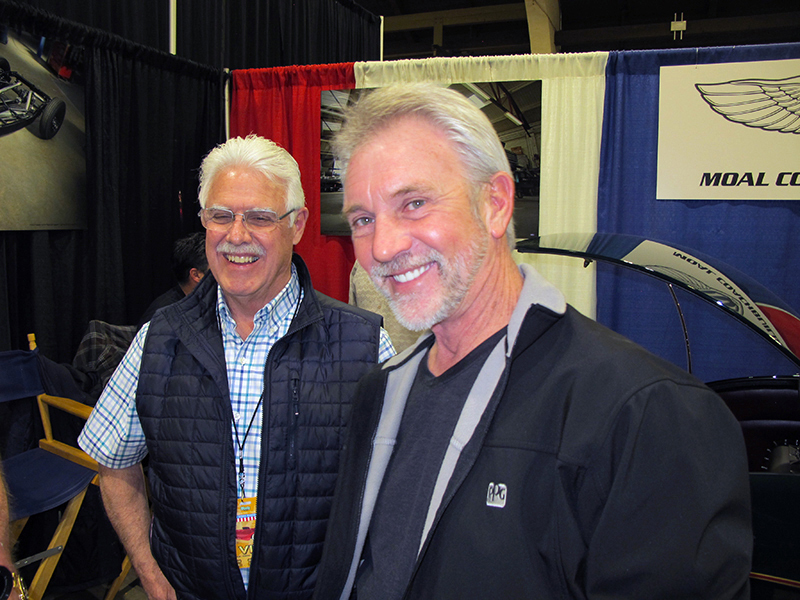 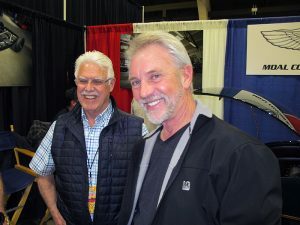 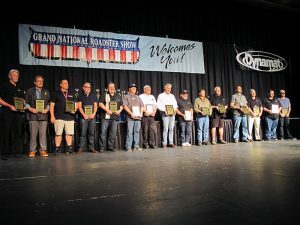 This year’s show was an outstanding three day event! 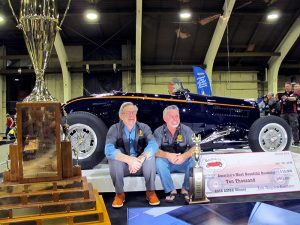 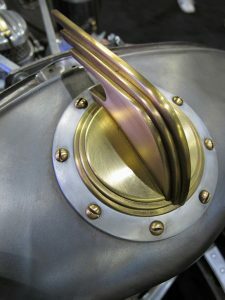 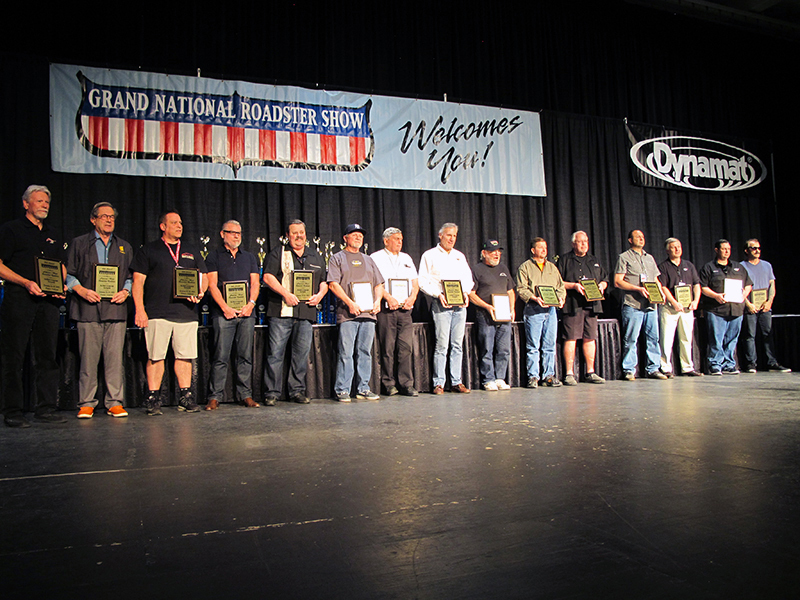 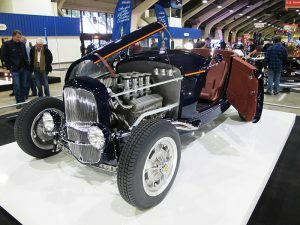 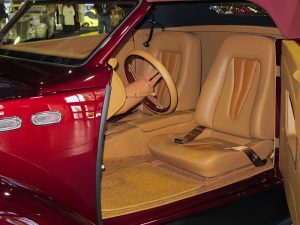 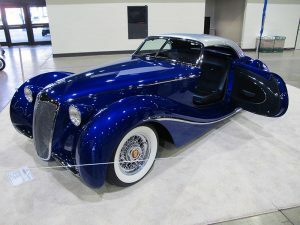 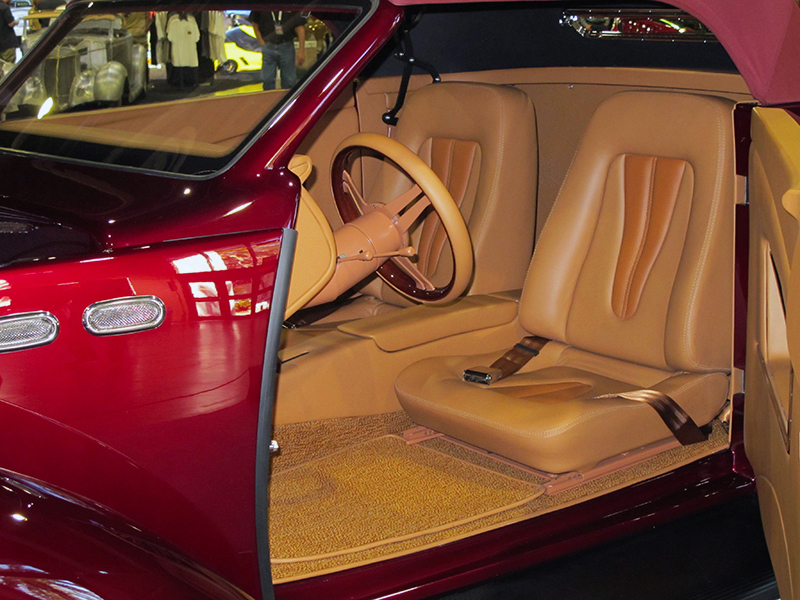 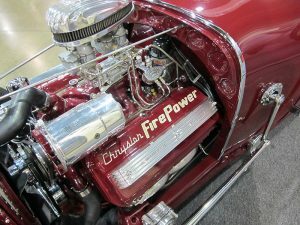 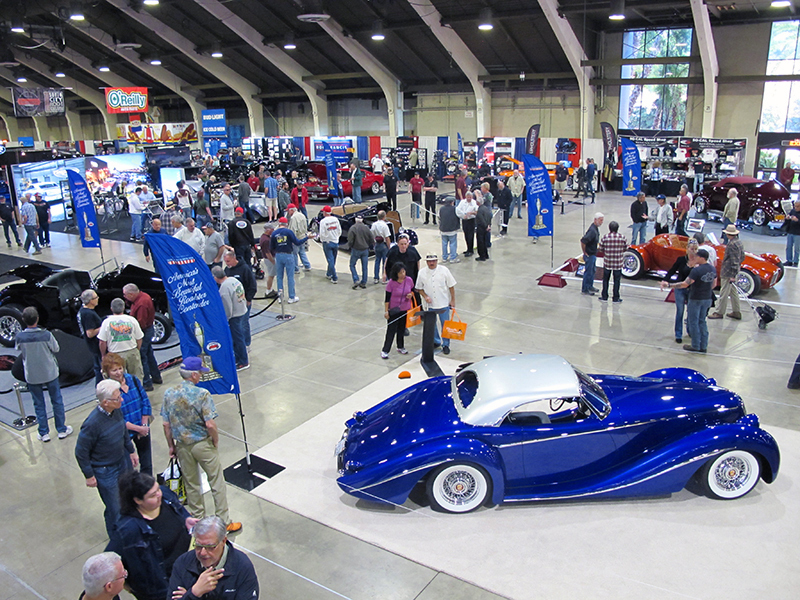 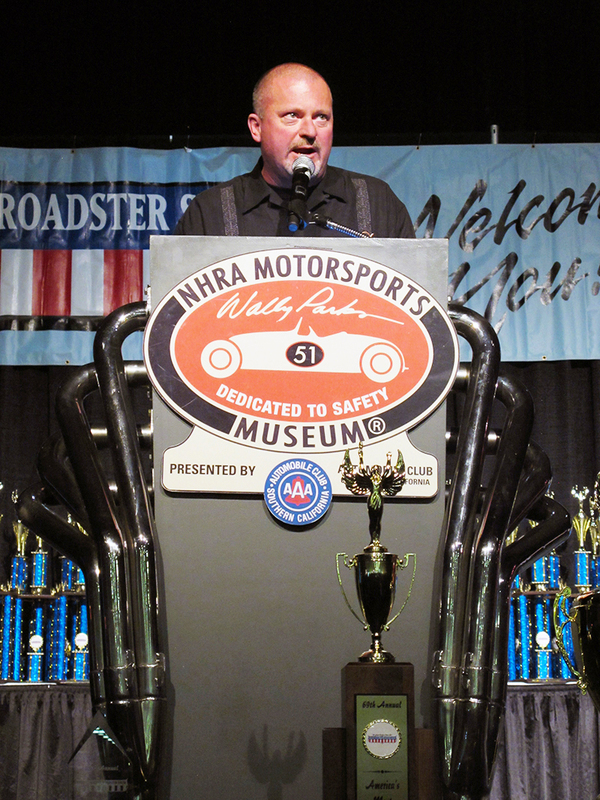 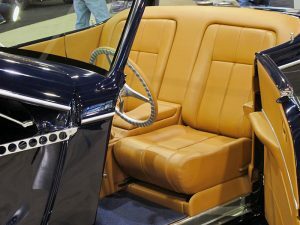 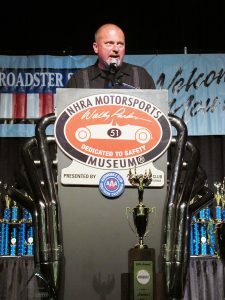 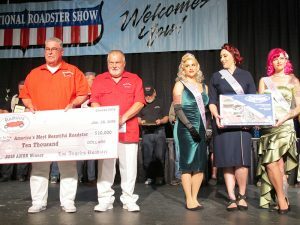 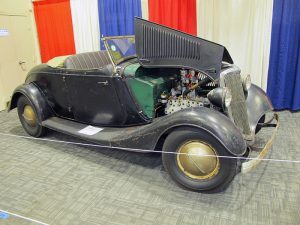 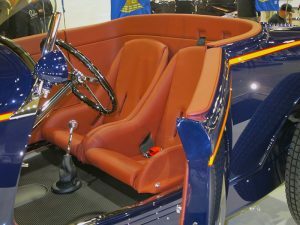 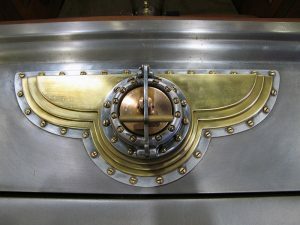 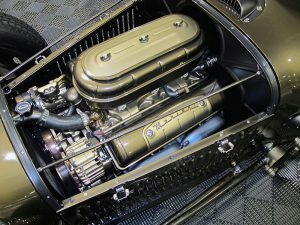 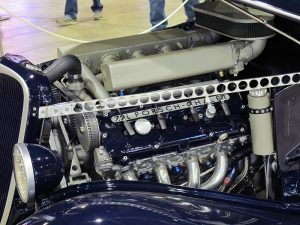 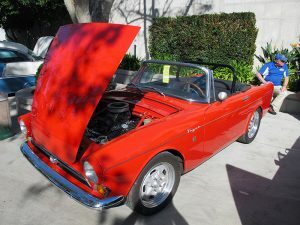 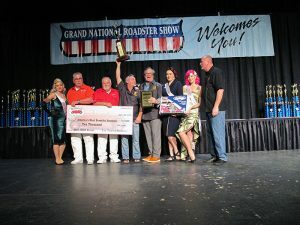 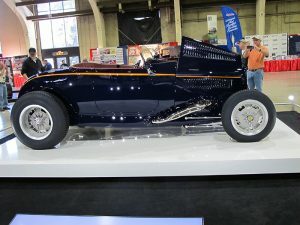 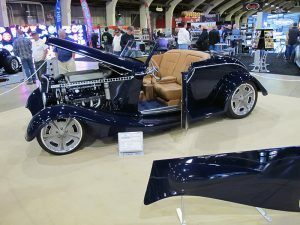 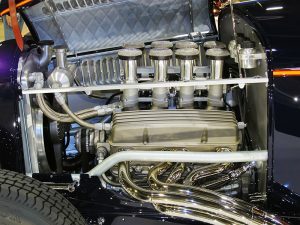 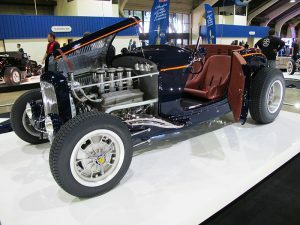 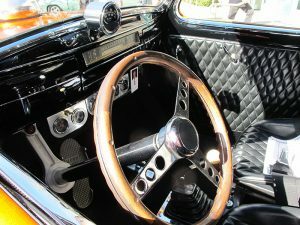 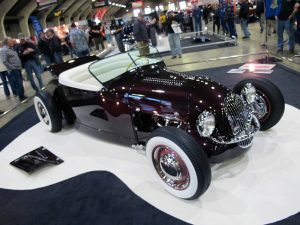 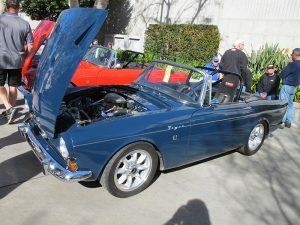 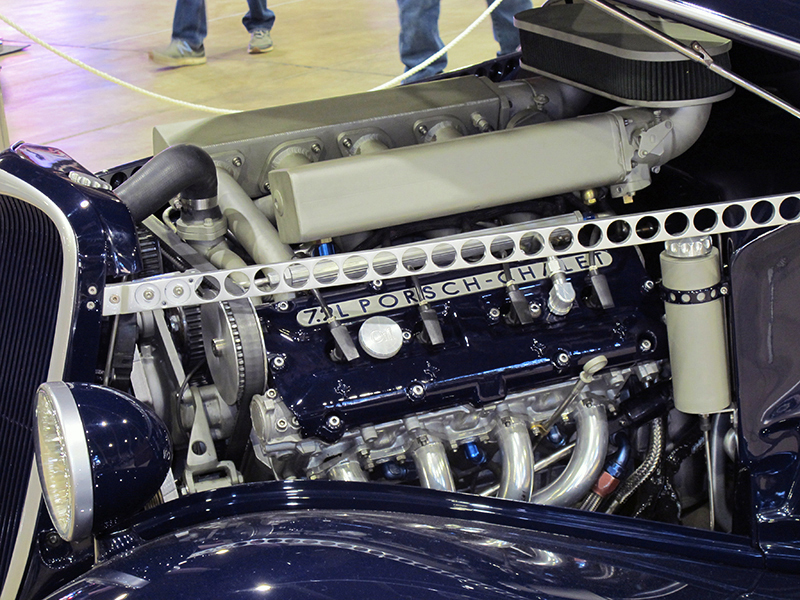 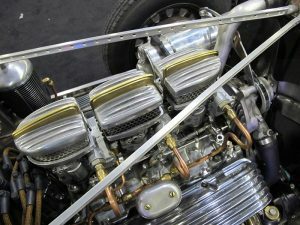 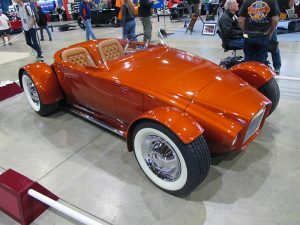 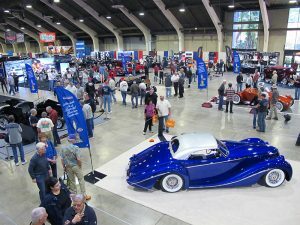 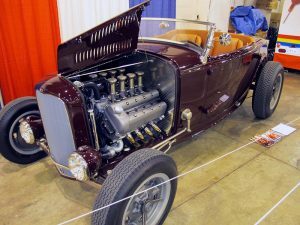 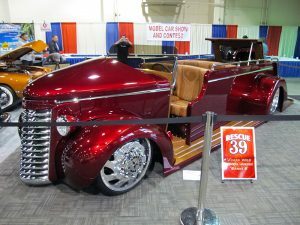 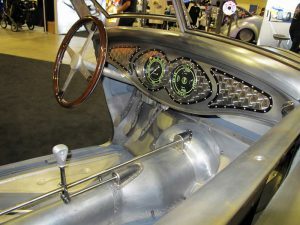 There were quite literally hundreds of cars entered in multiple classes, with the stars of the show being the 15 cars entered this year to compete for the coveted America’s Most Beautiful Roadster award- the 61st time the nine foot trophy and check, ($10,000.00 this year) have been awarded. 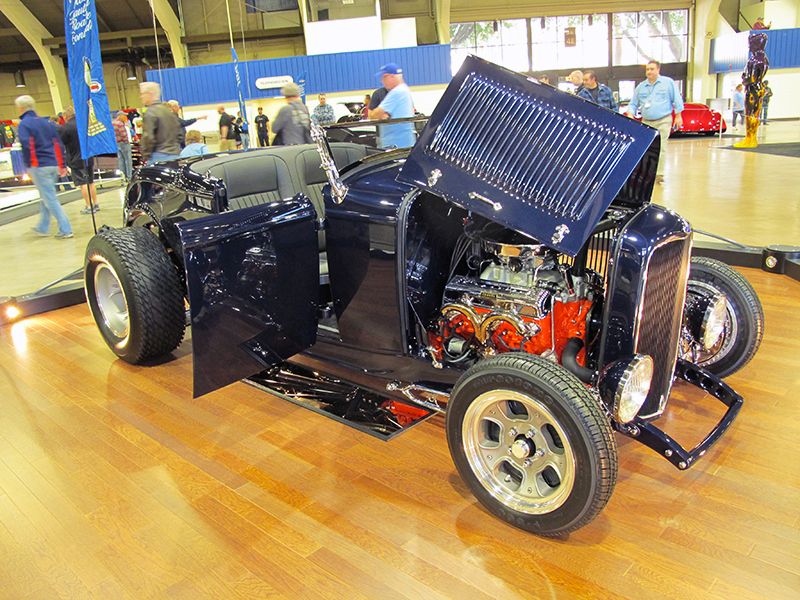 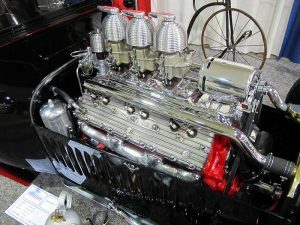 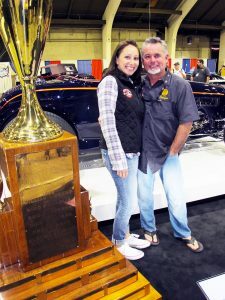 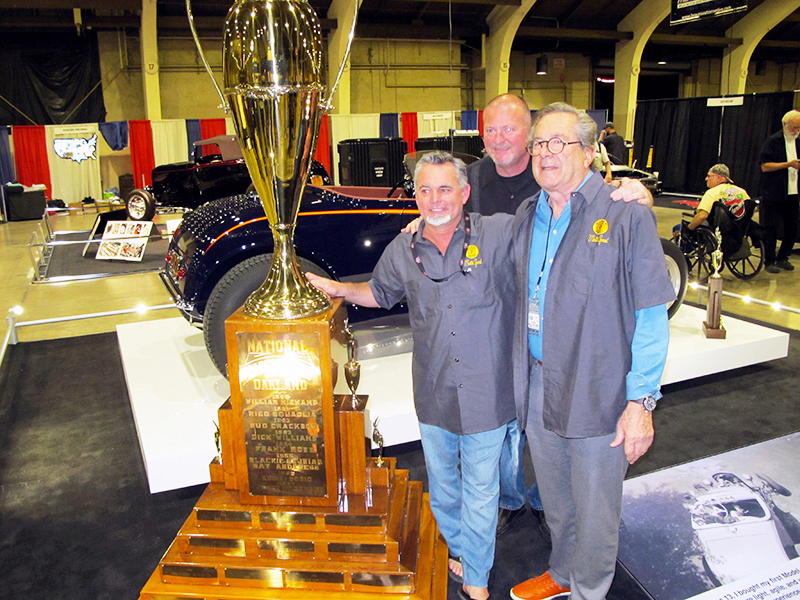 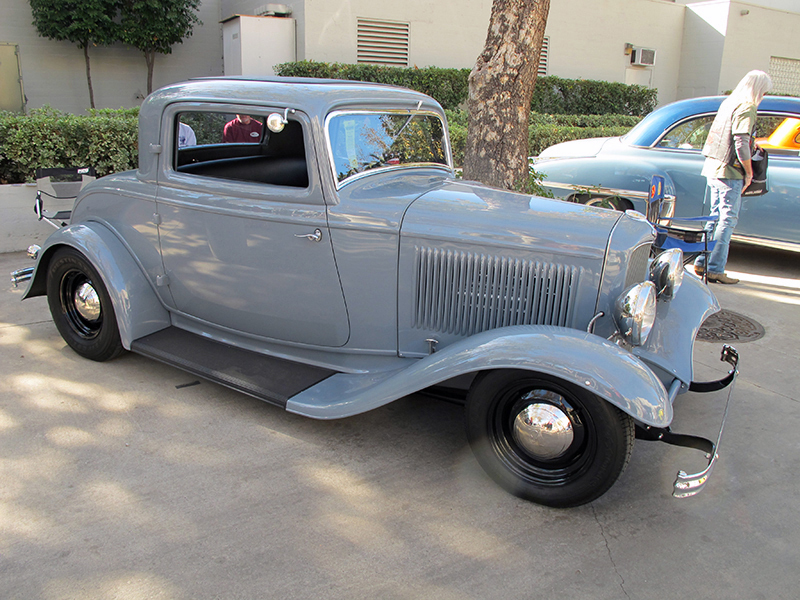 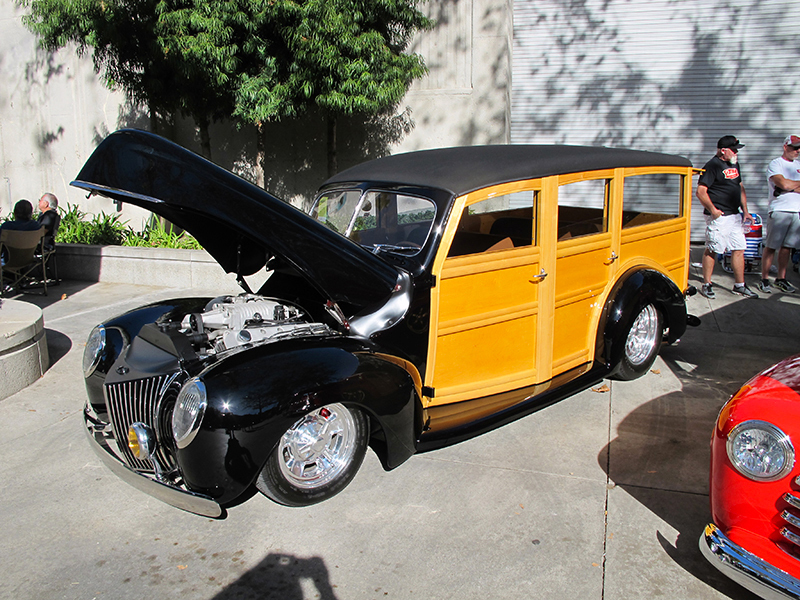 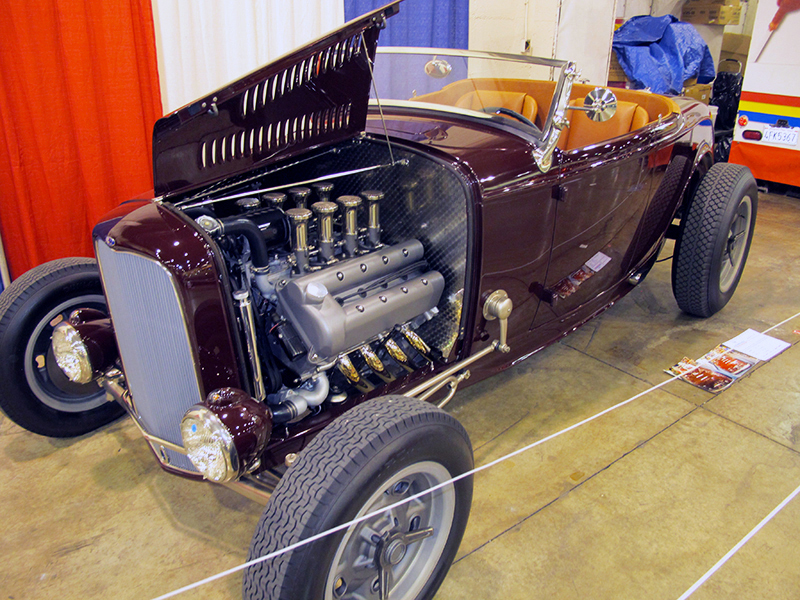 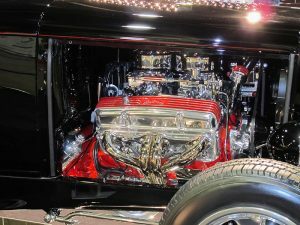 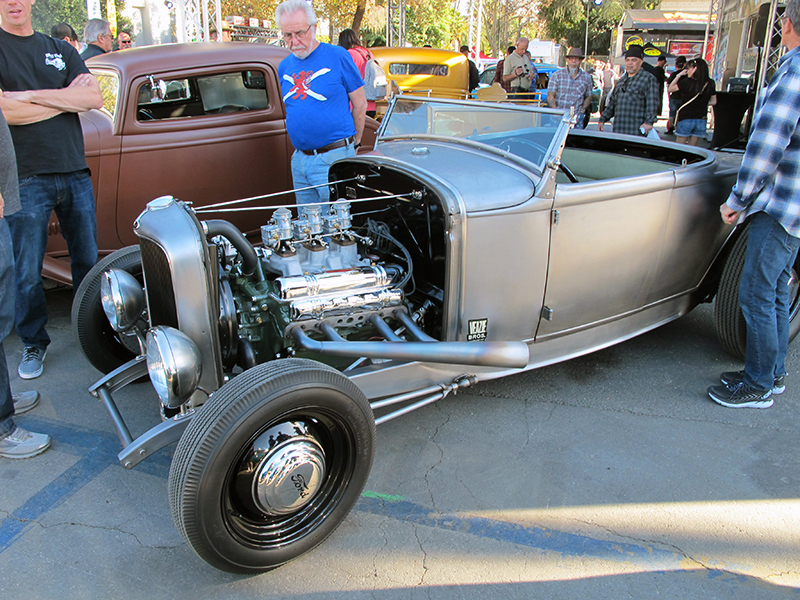 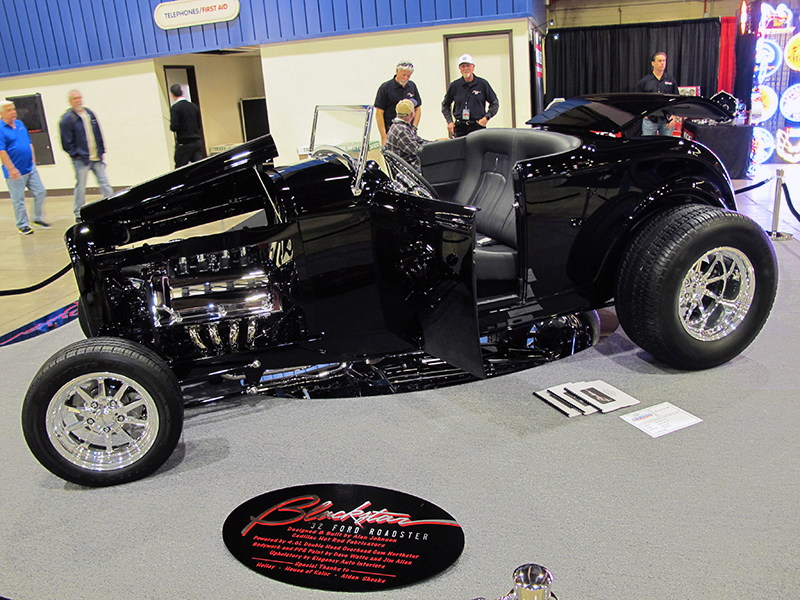 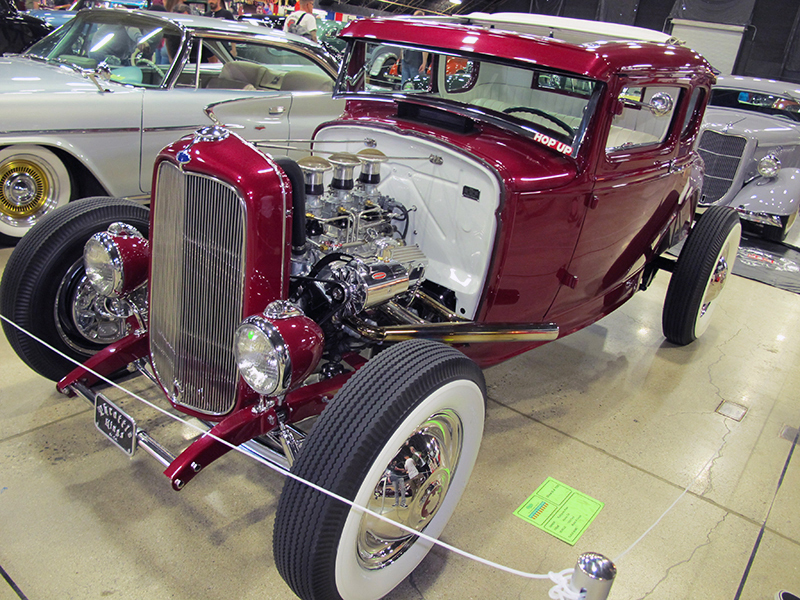 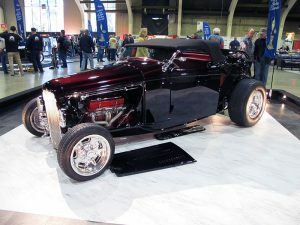 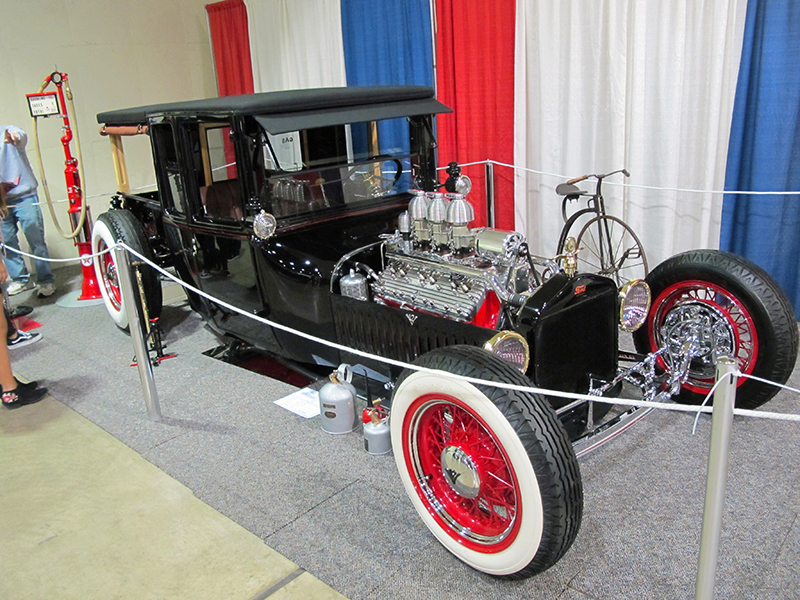 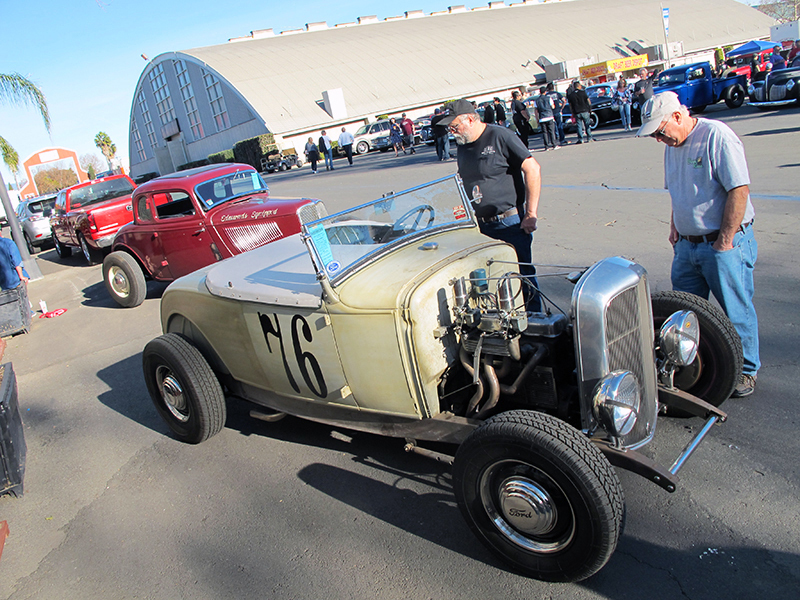 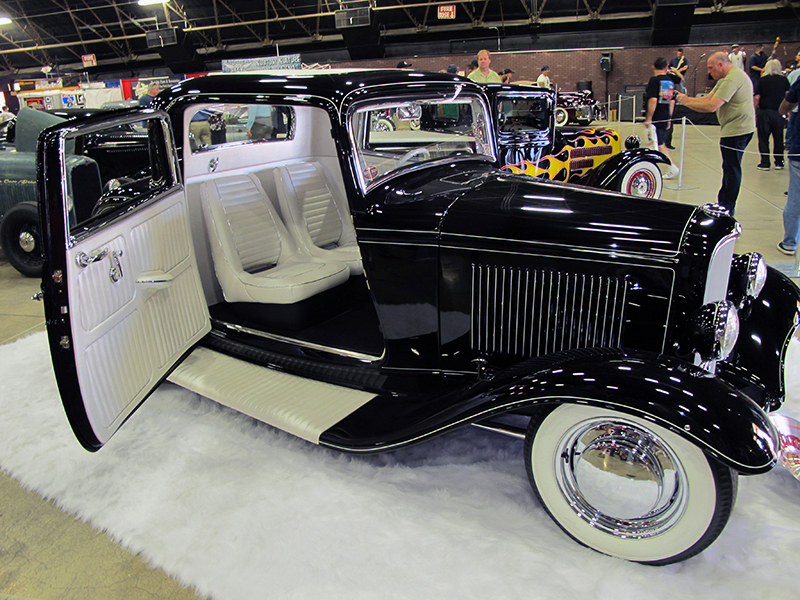 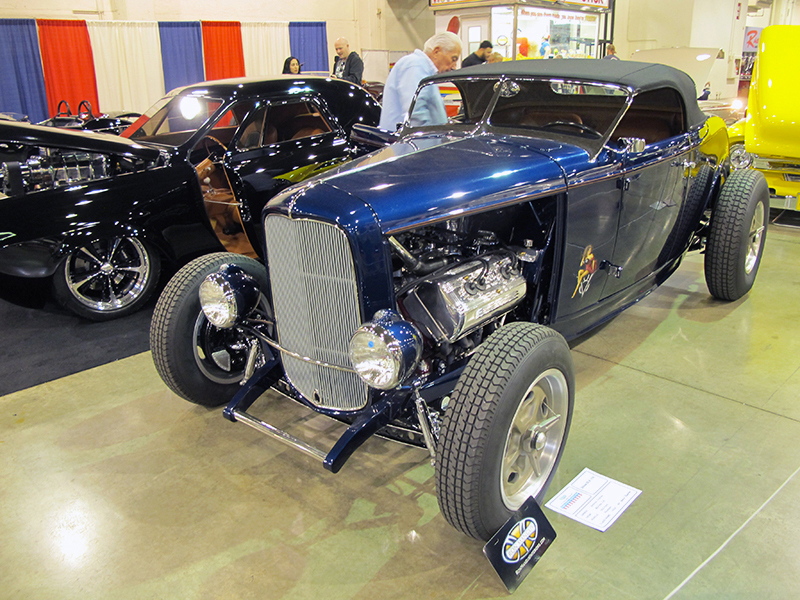 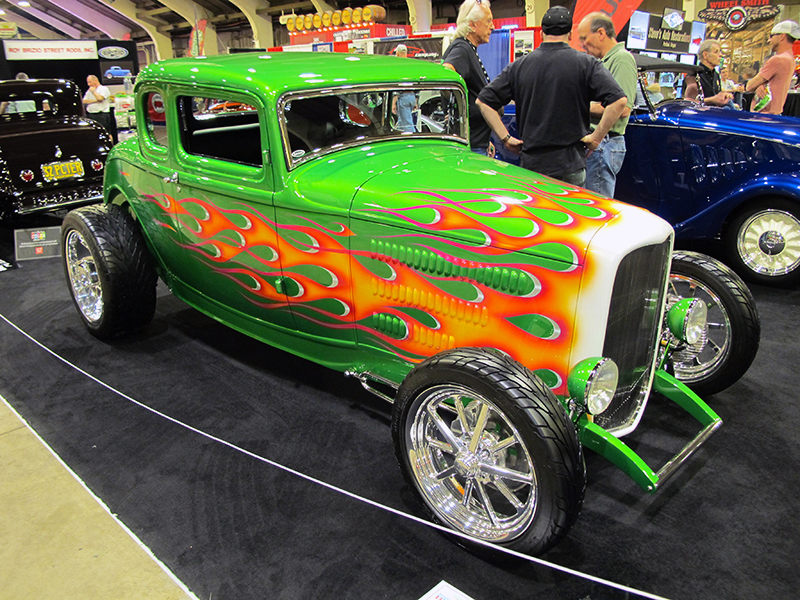 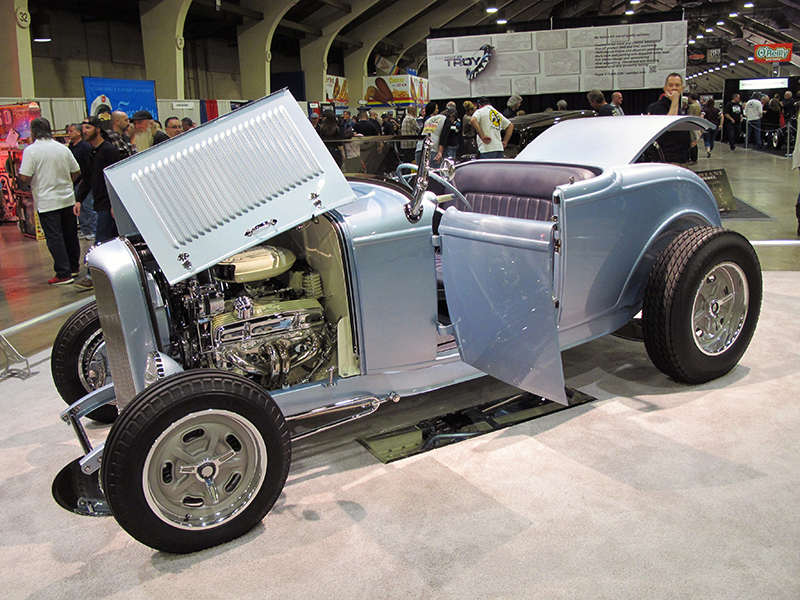 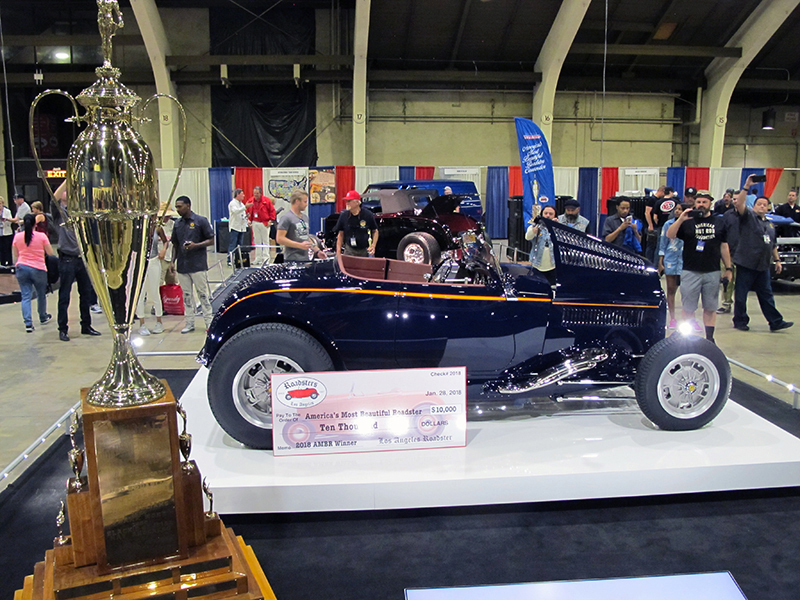 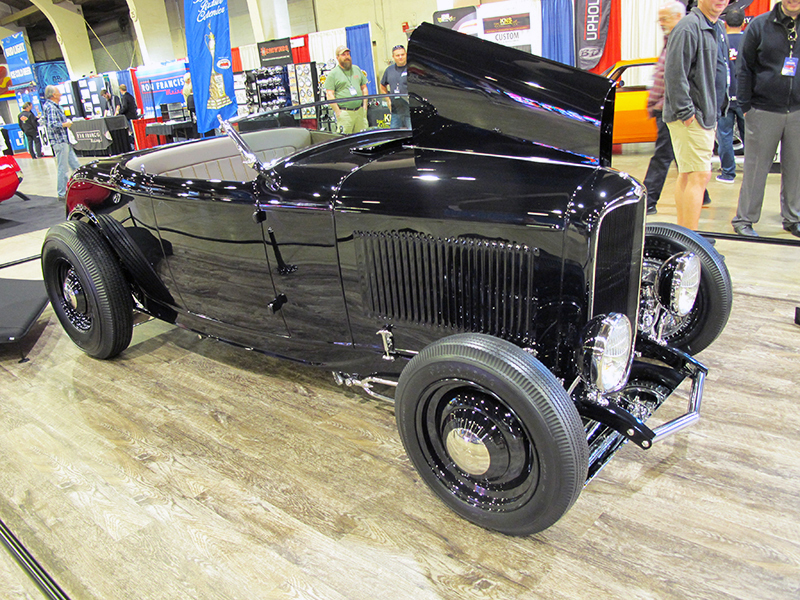 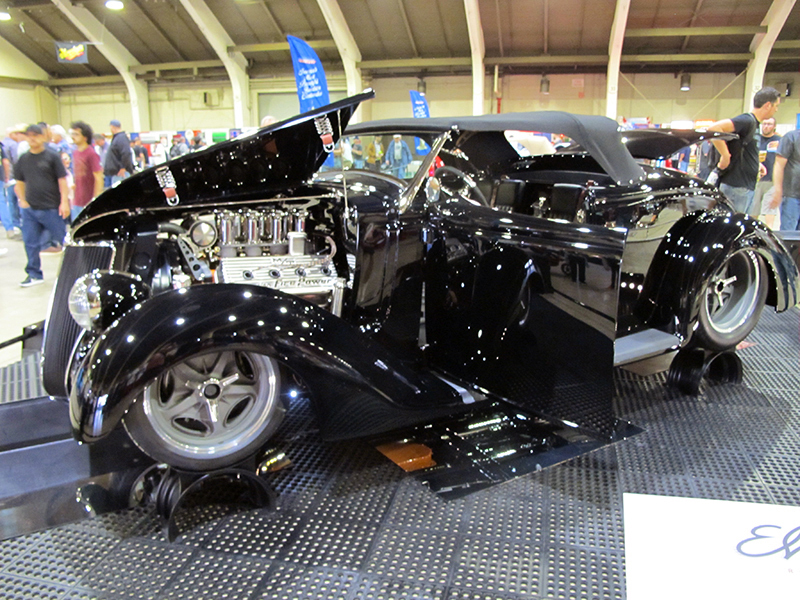 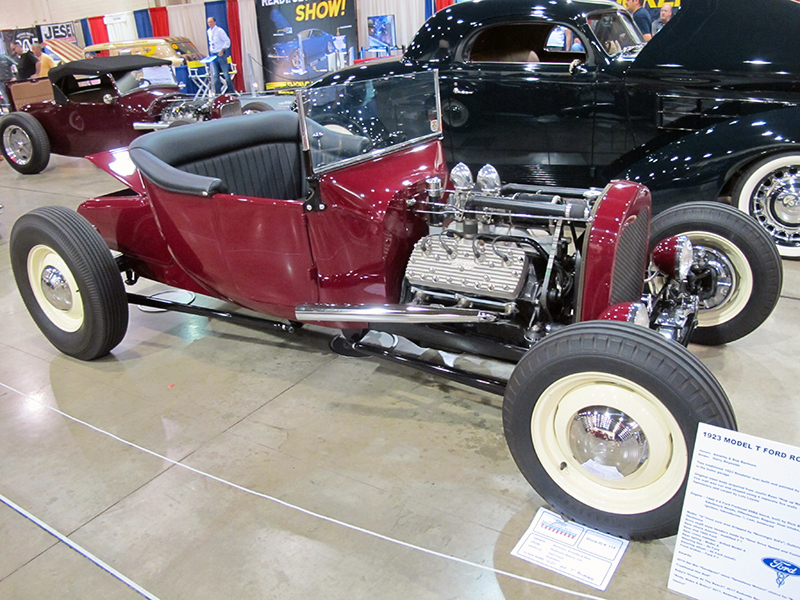 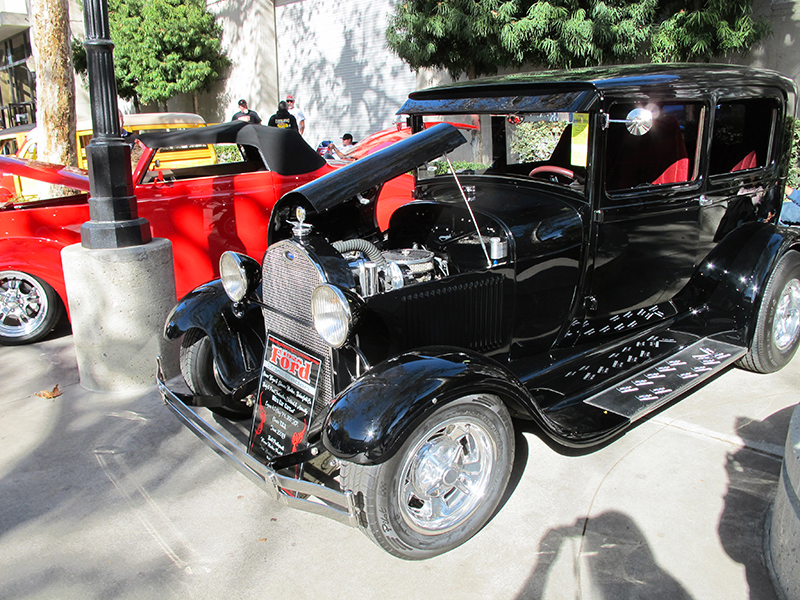 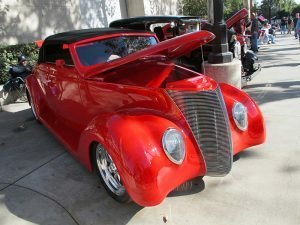 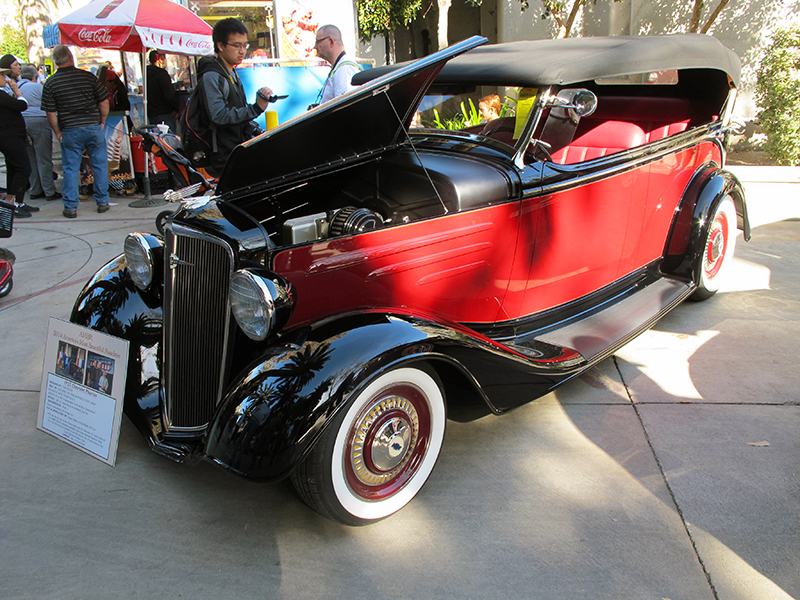 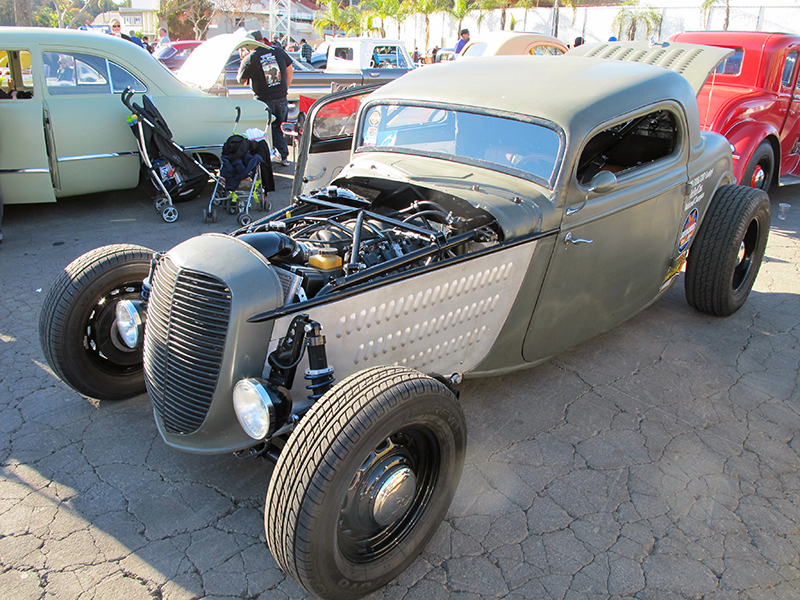 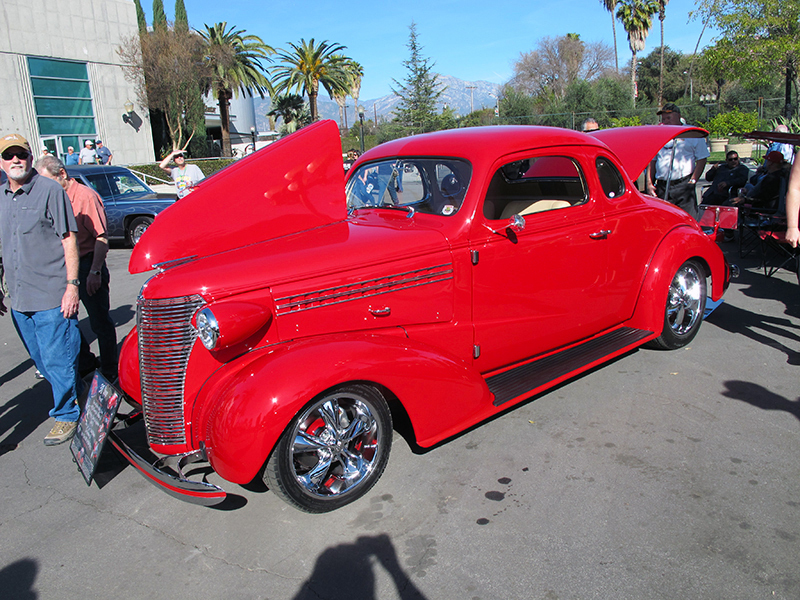 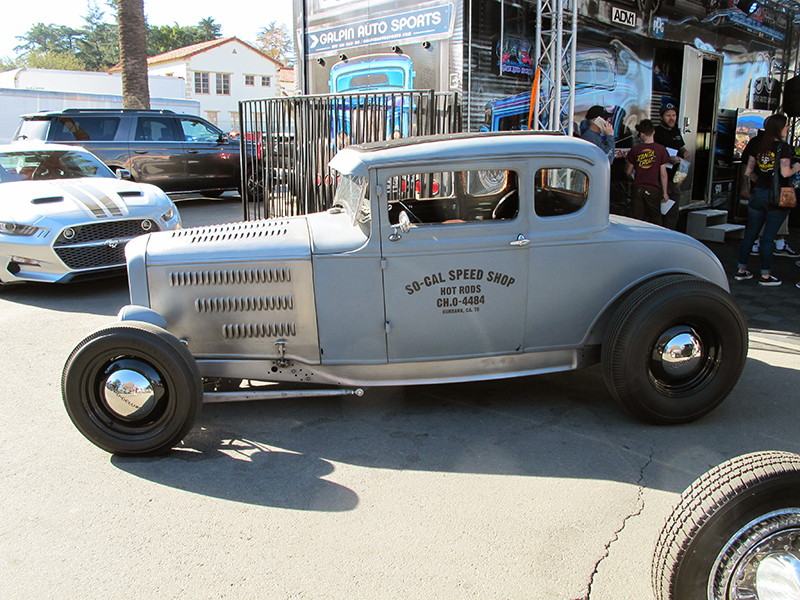 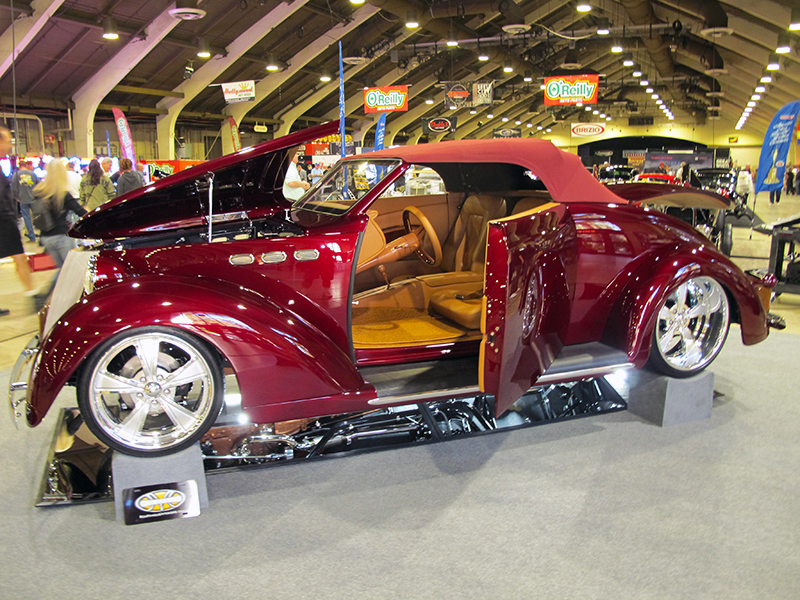 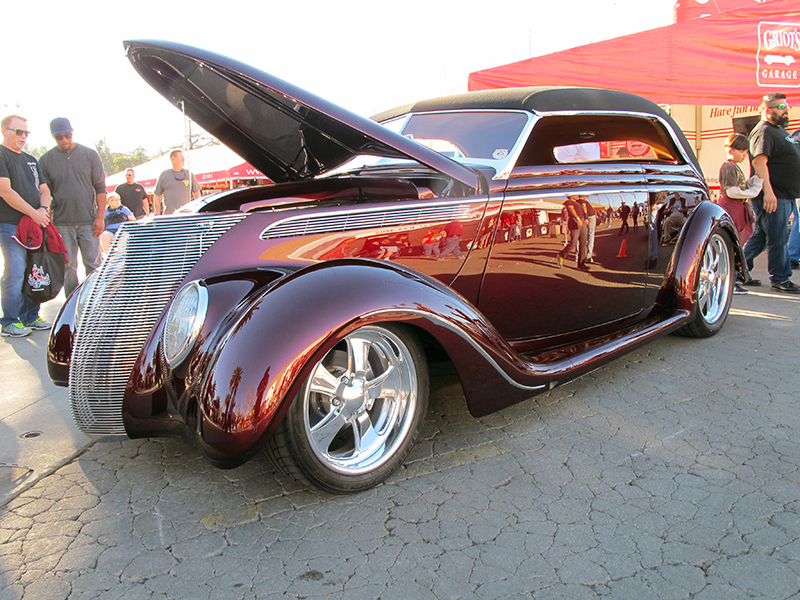 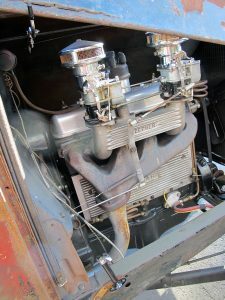 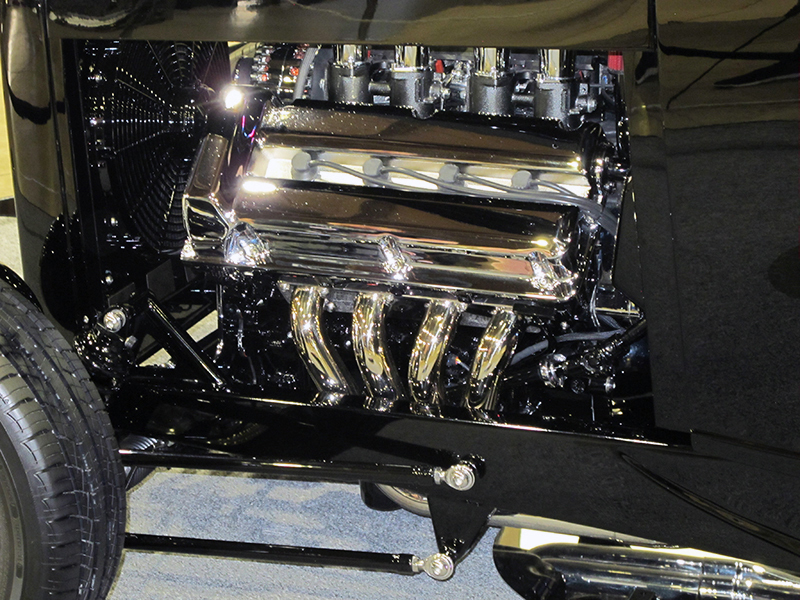 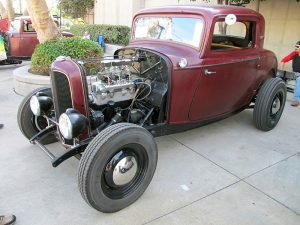 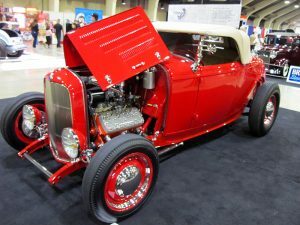 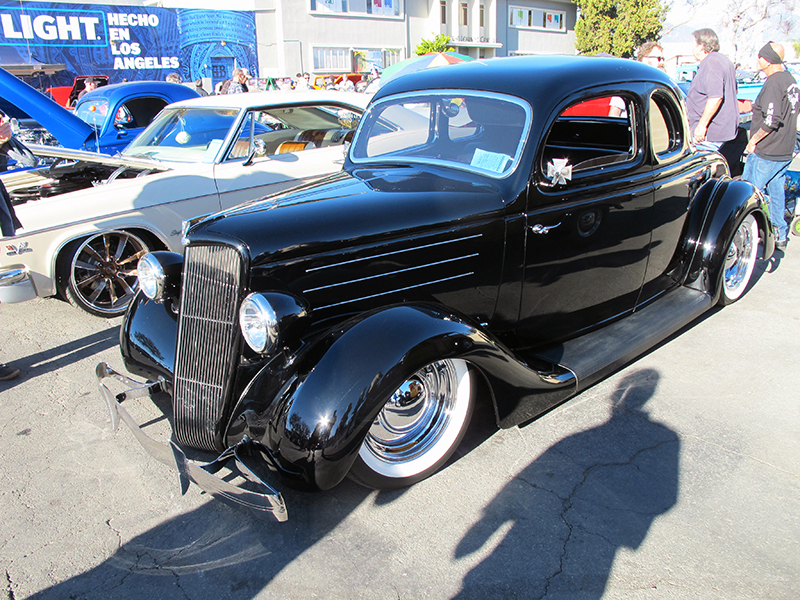 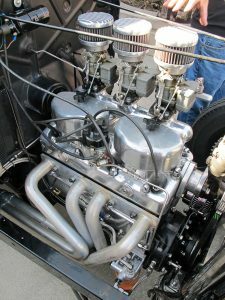 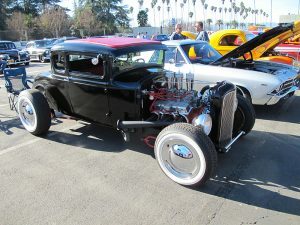 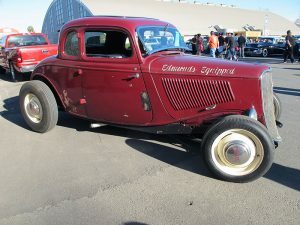 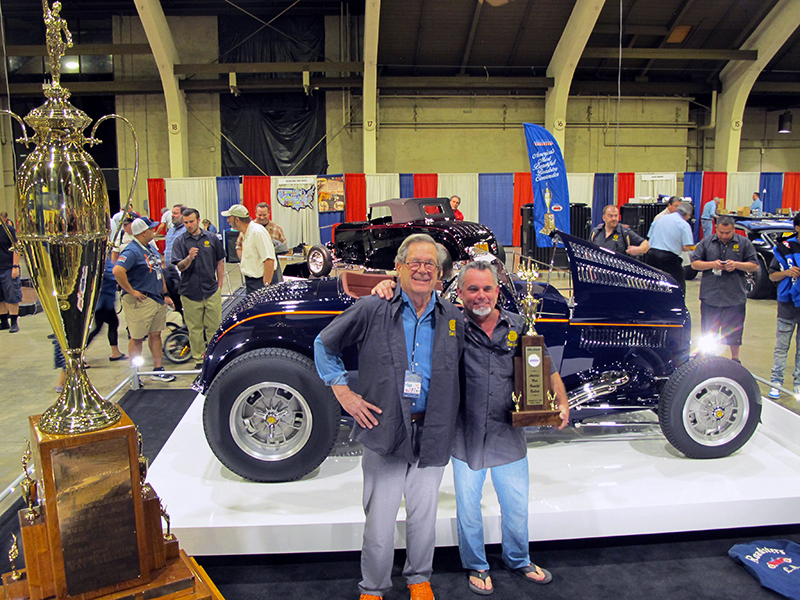 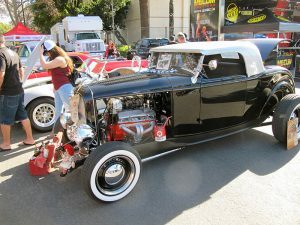 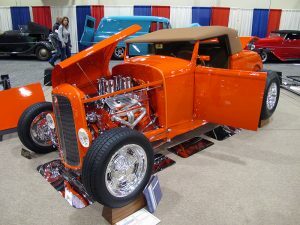 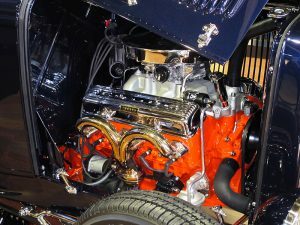 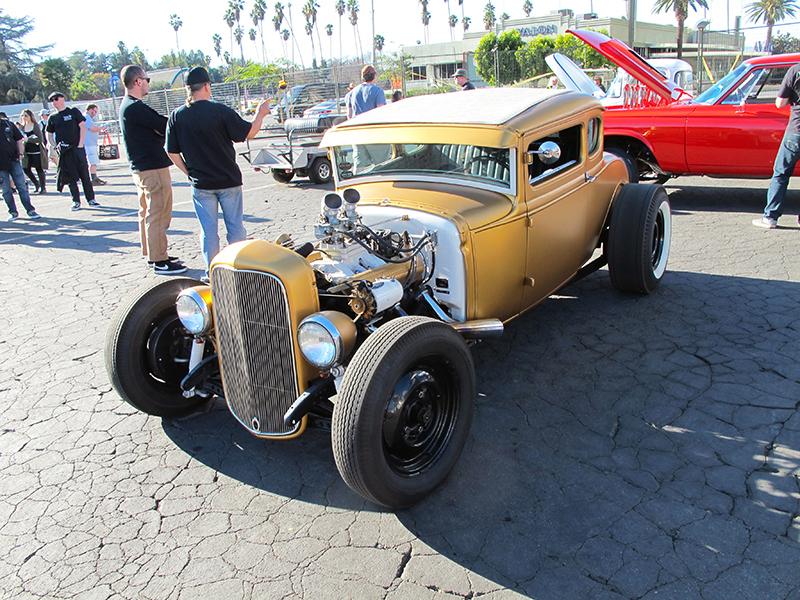 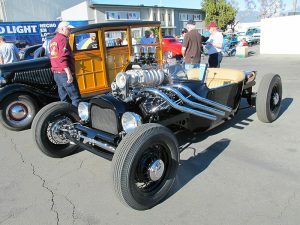 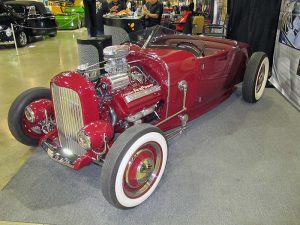 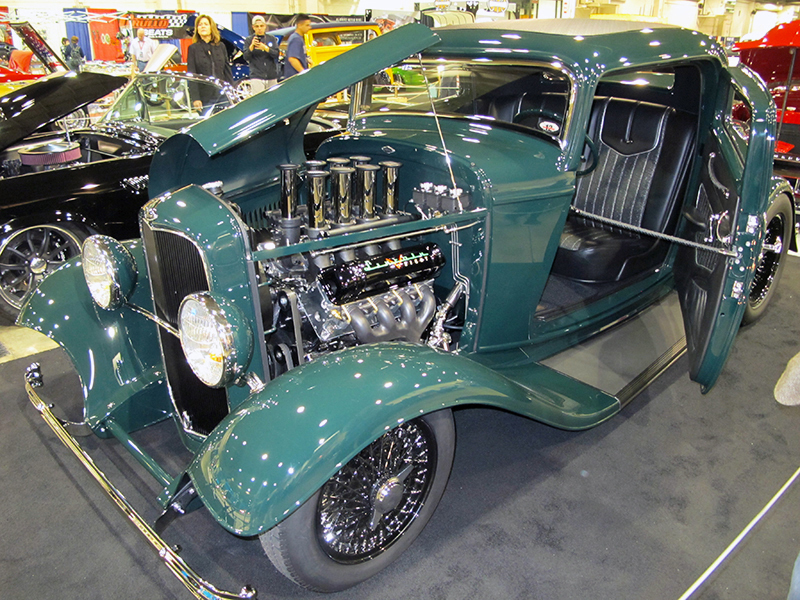 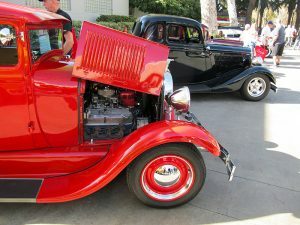 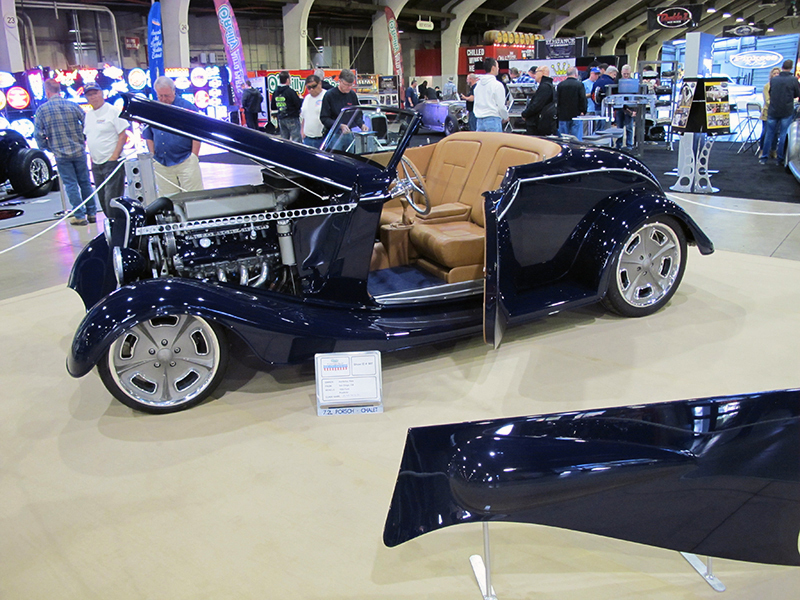 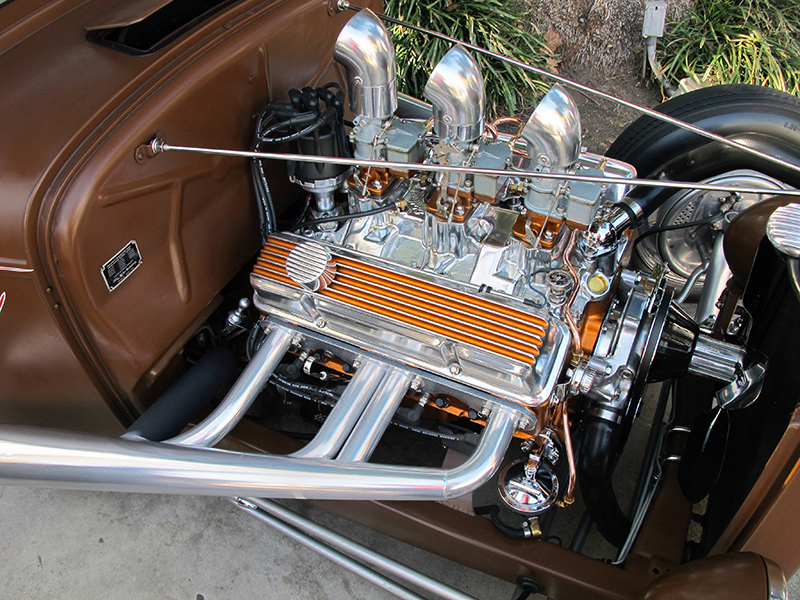 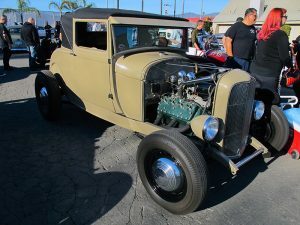 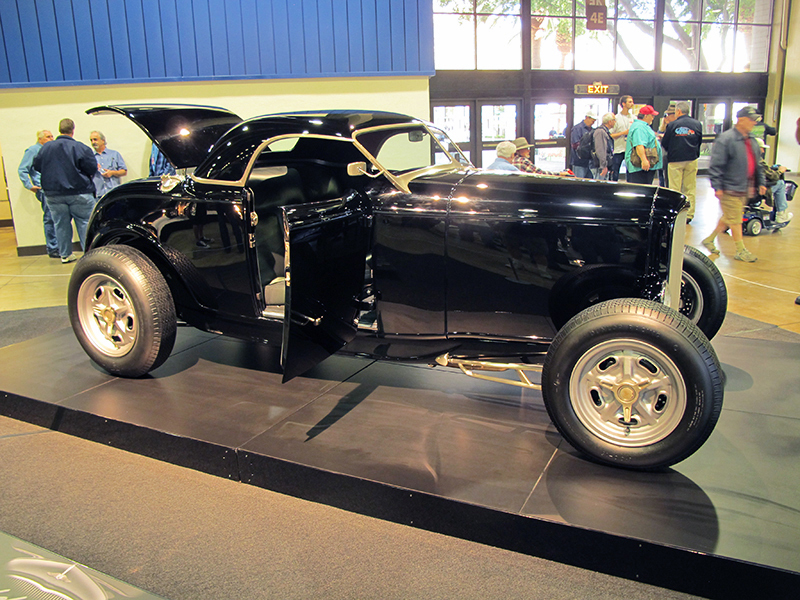 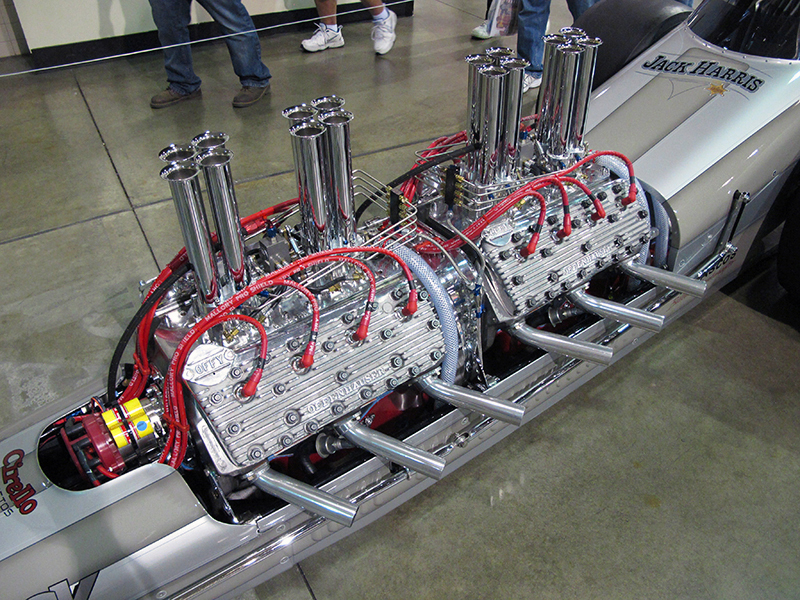 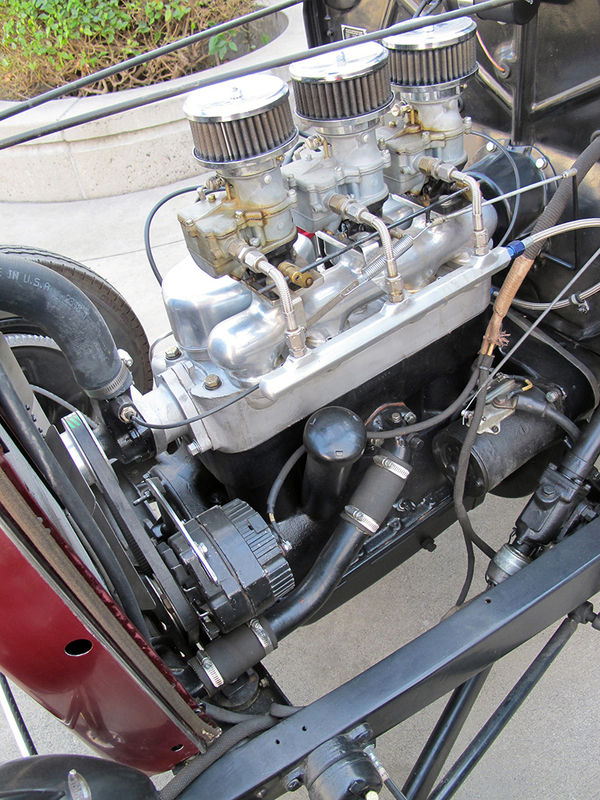 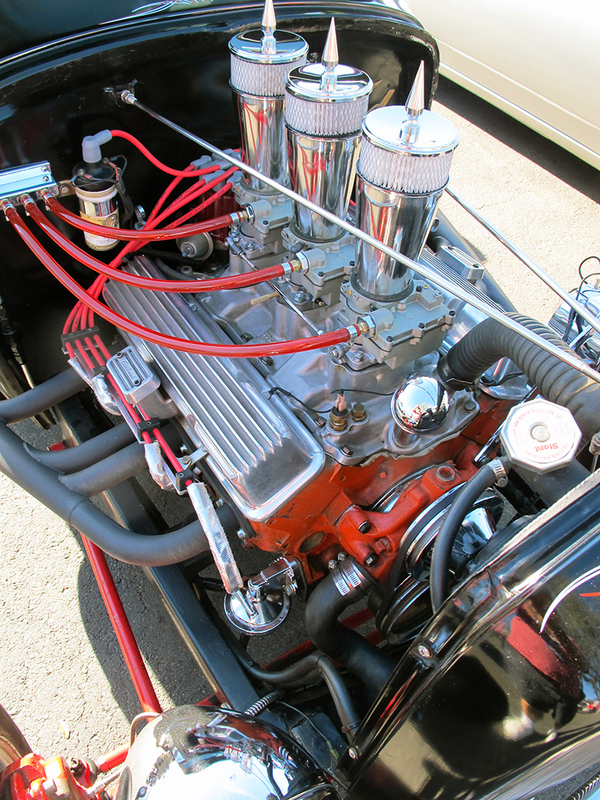 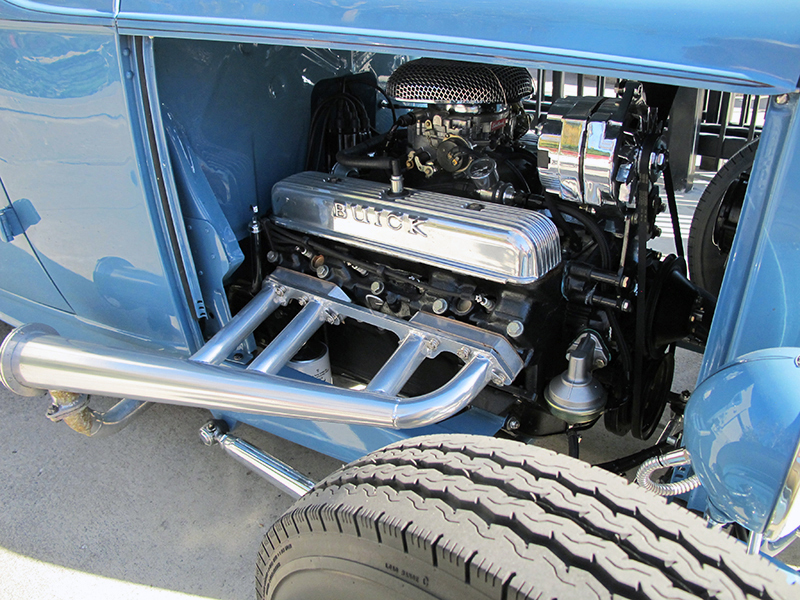 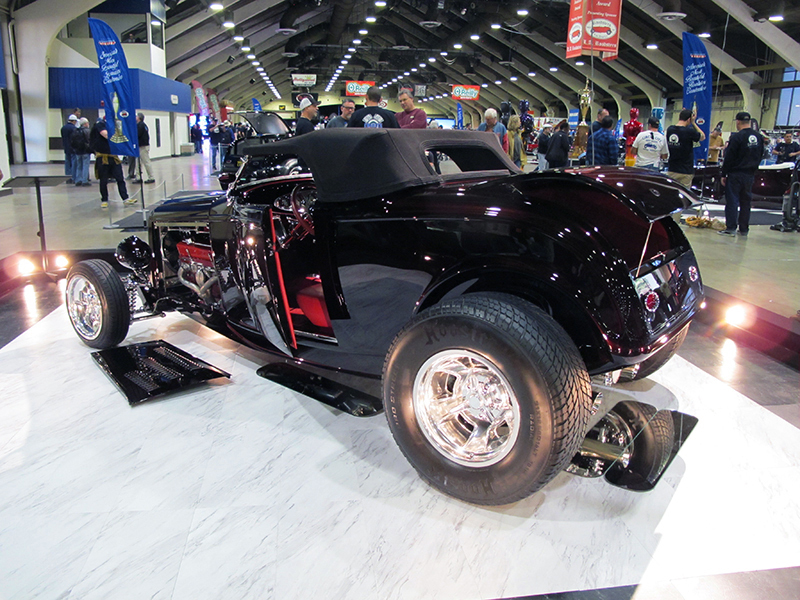 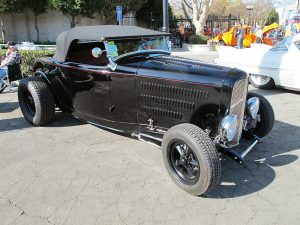 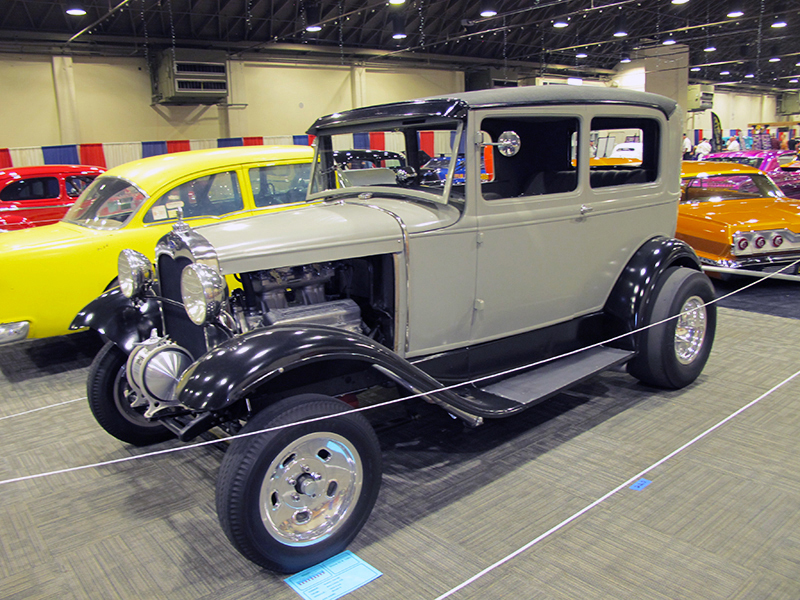 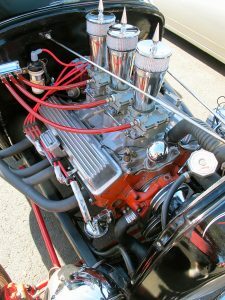 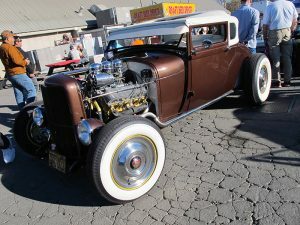 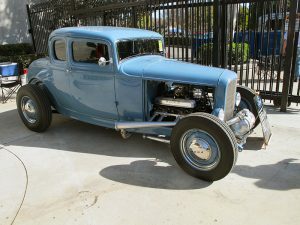 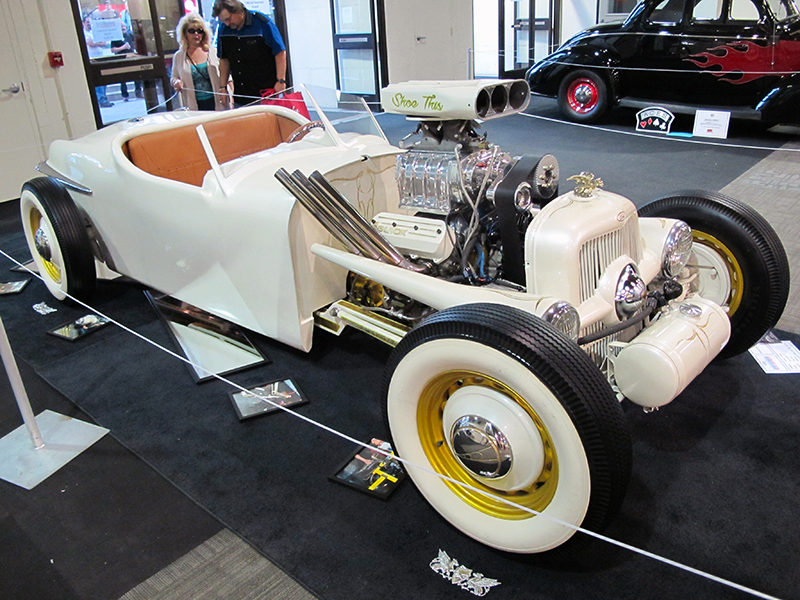 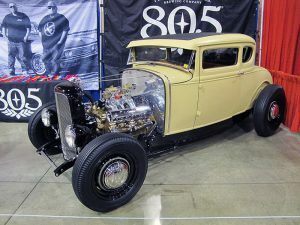 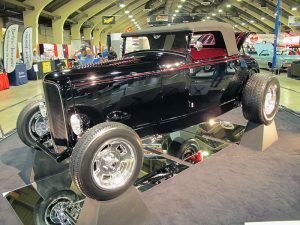 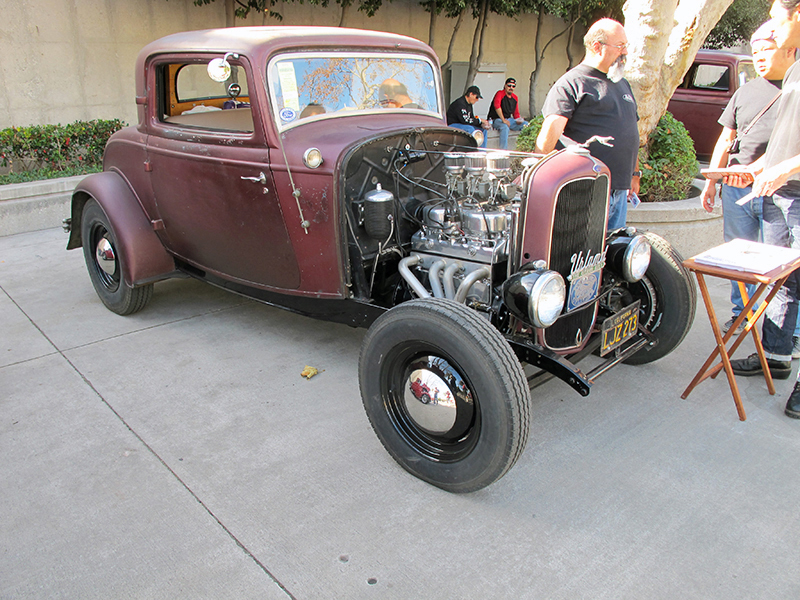 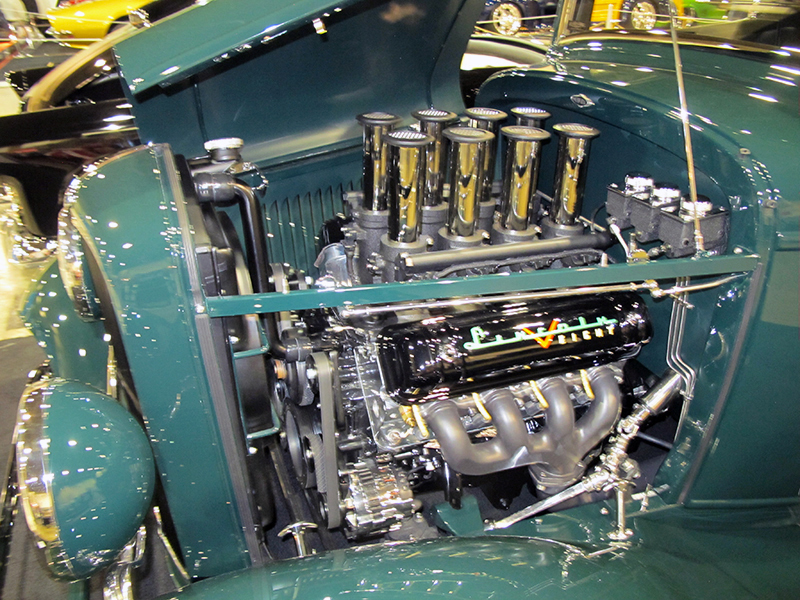 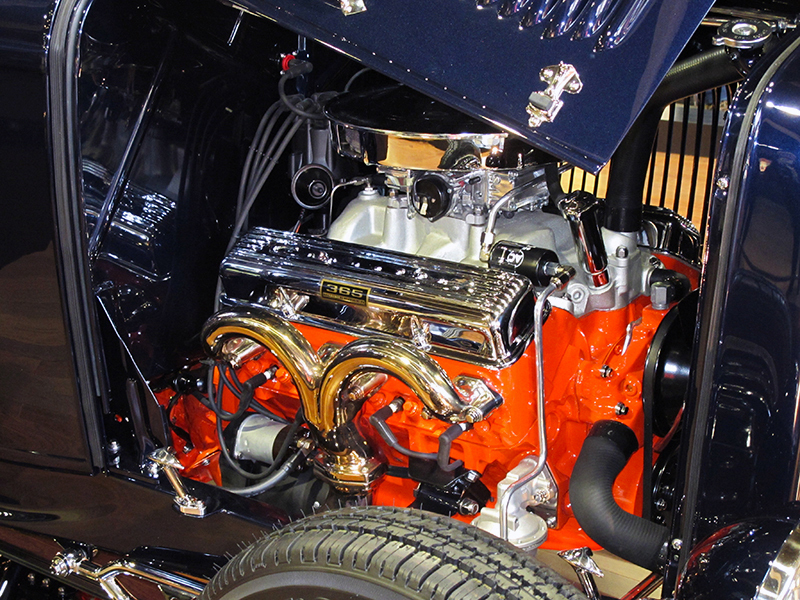 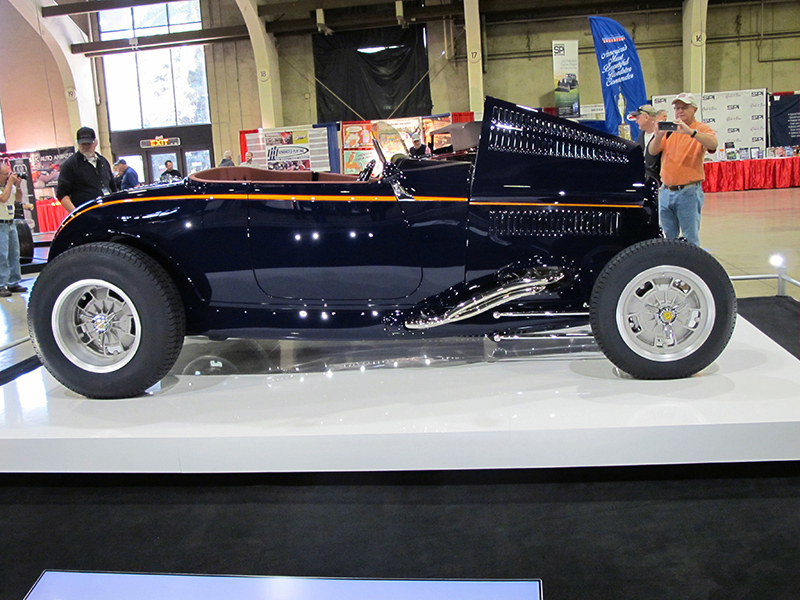 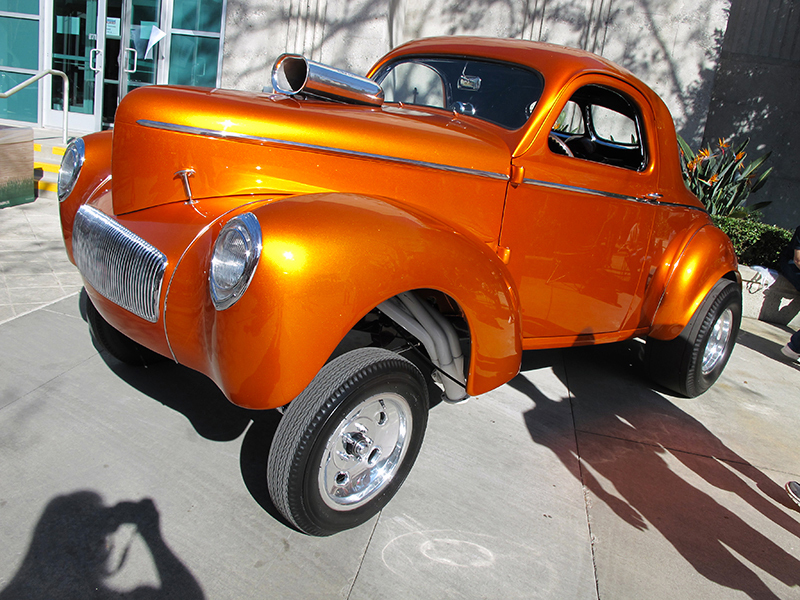 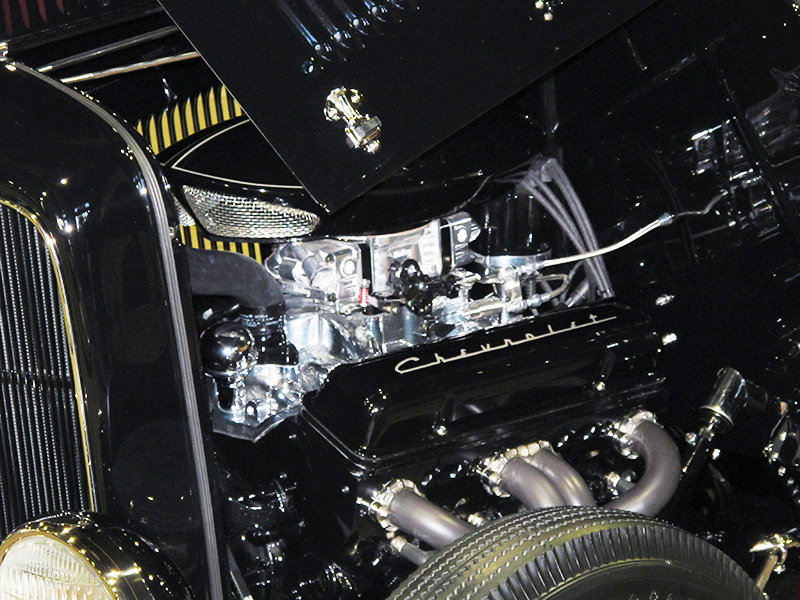 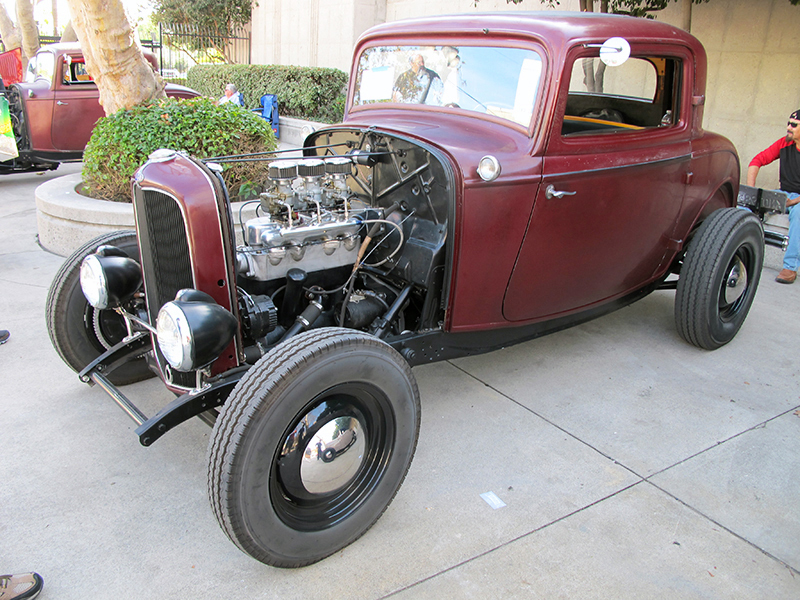 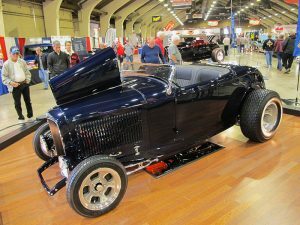 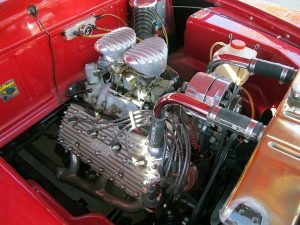 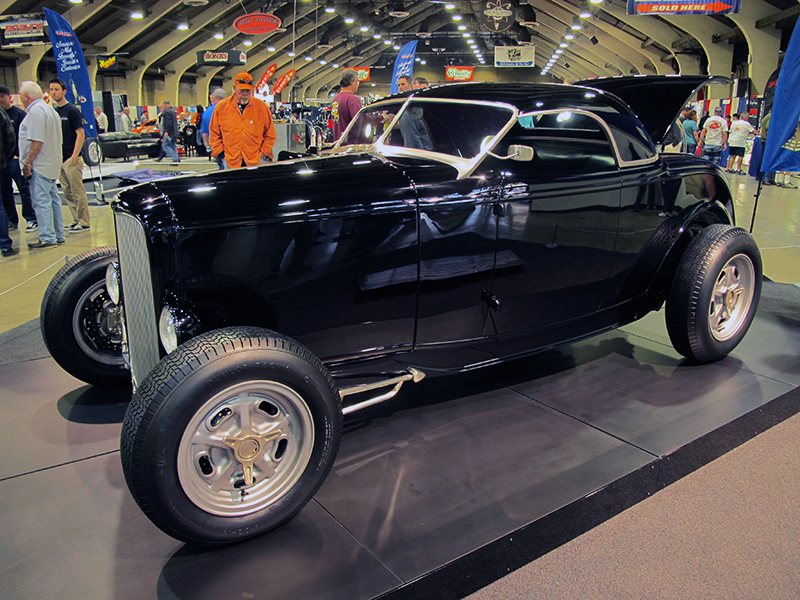 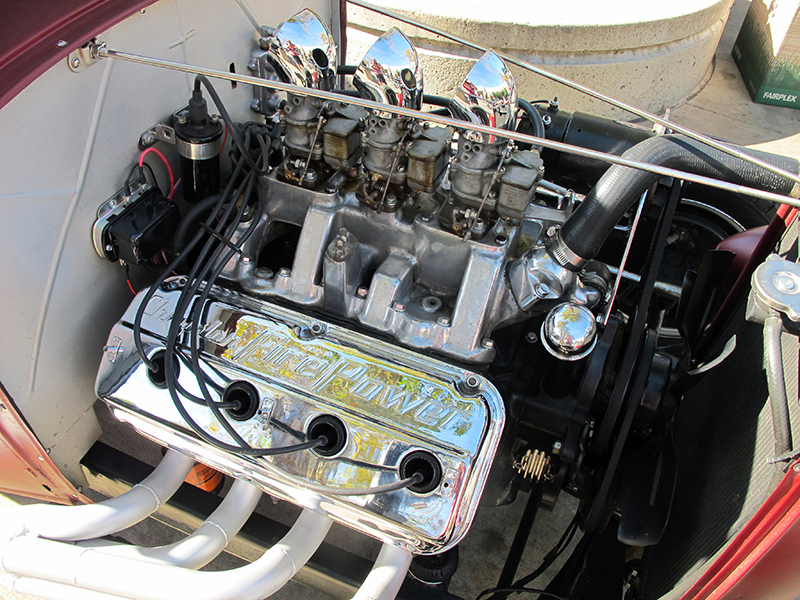 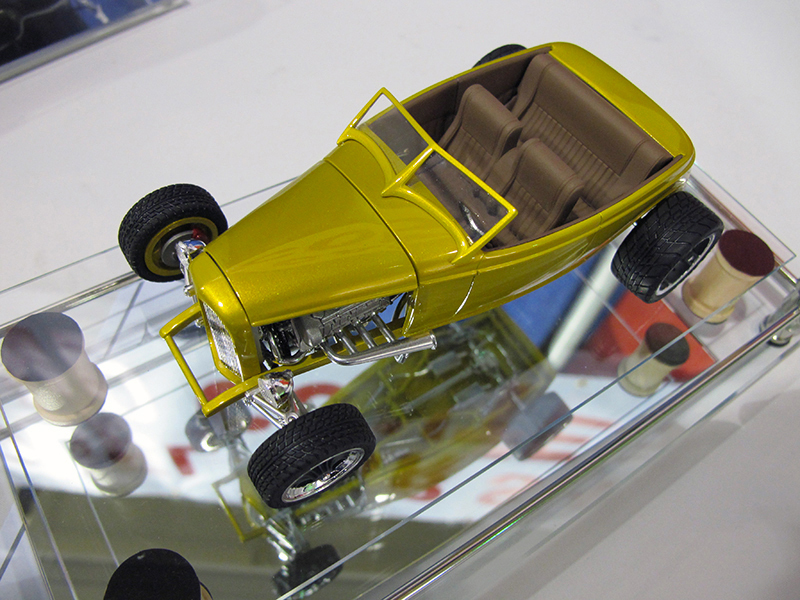 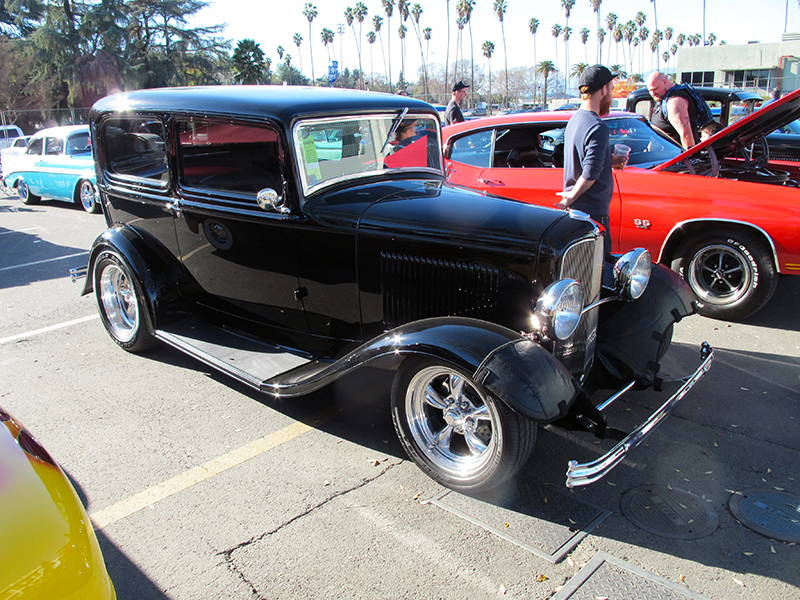 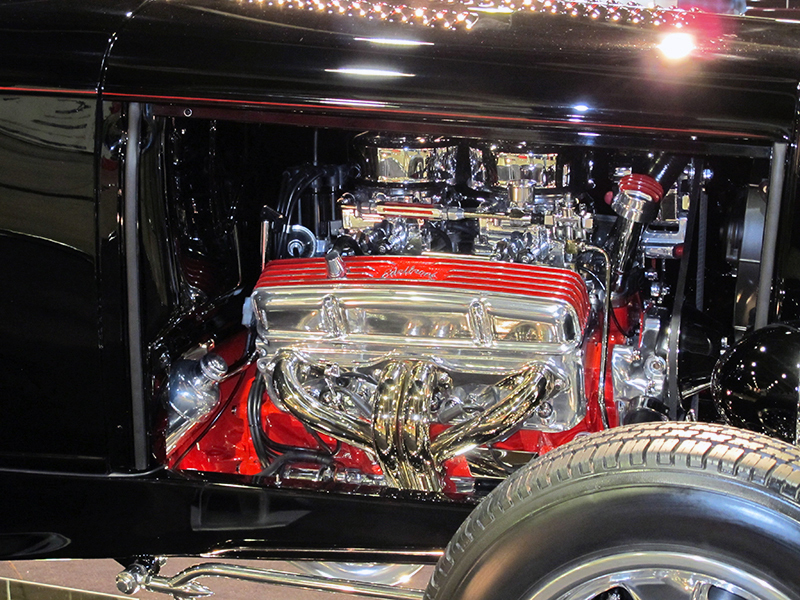 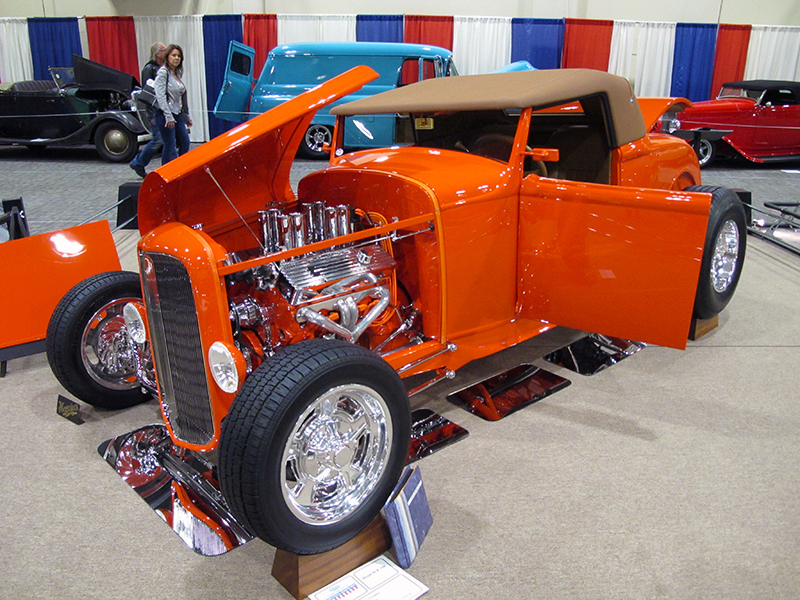 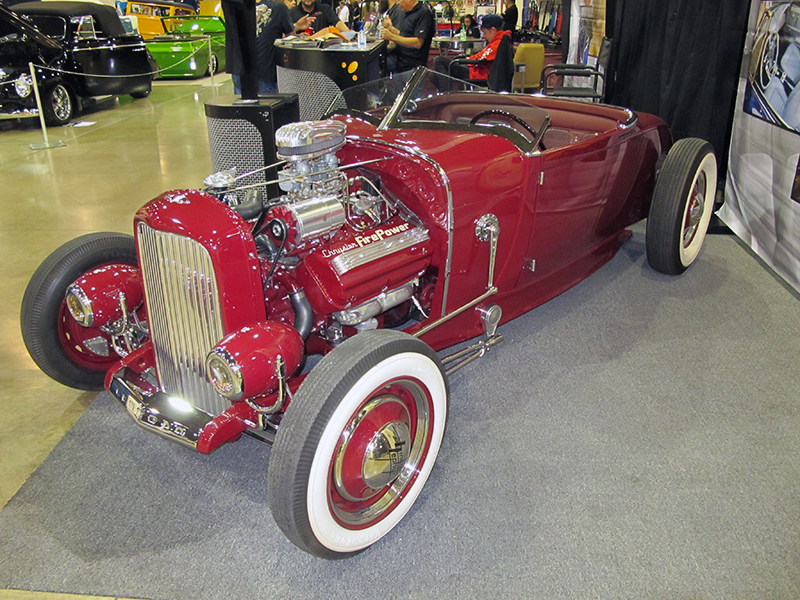 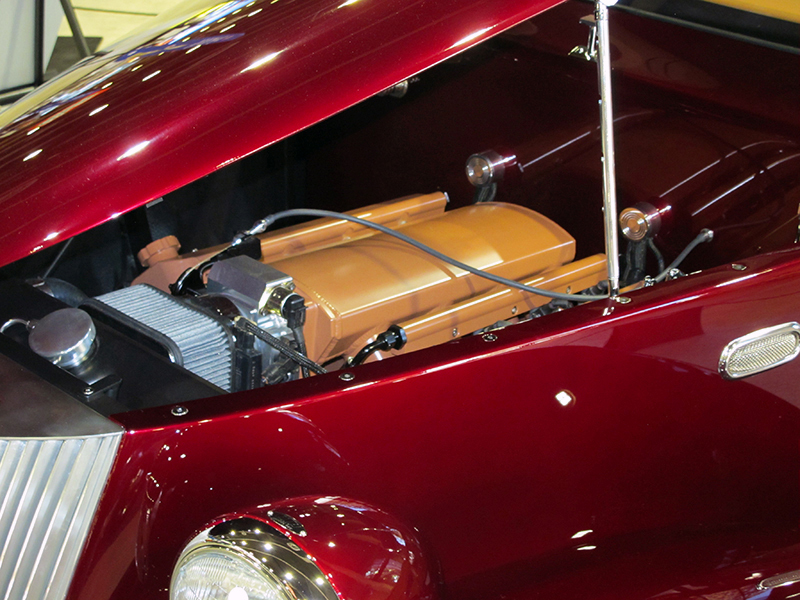 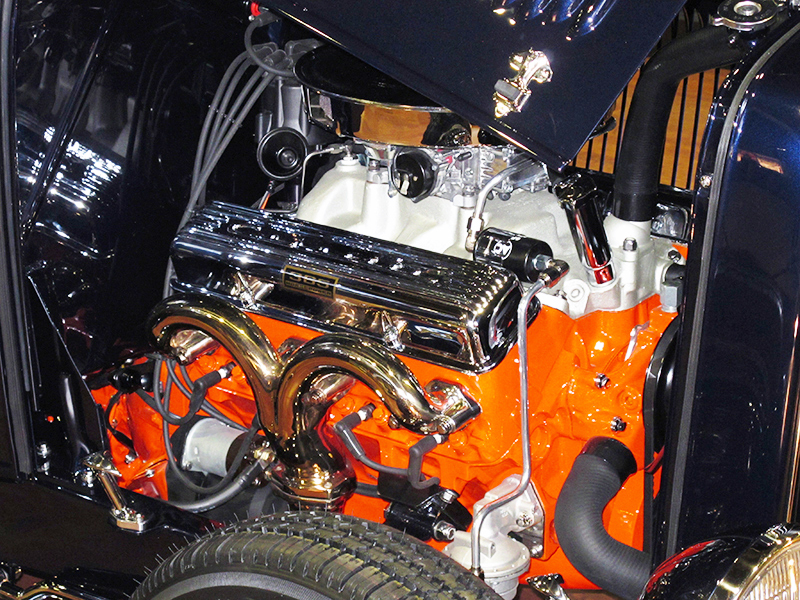 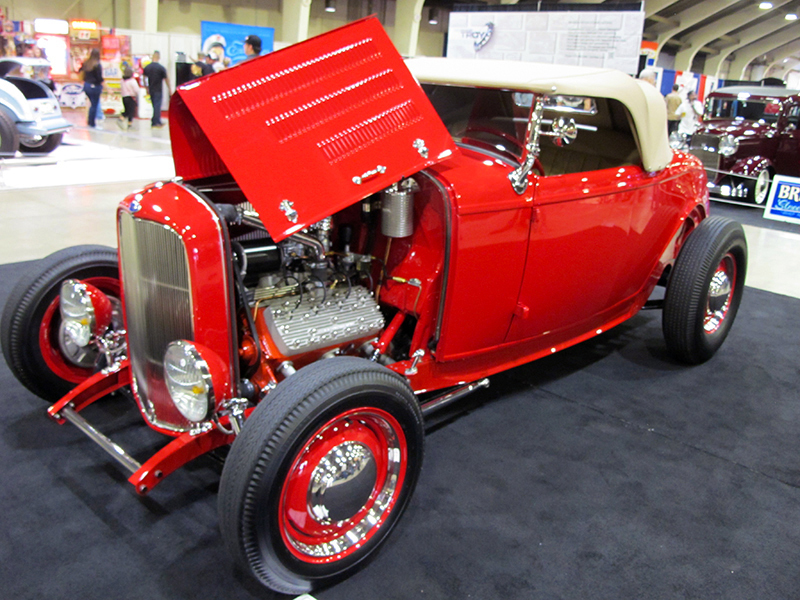 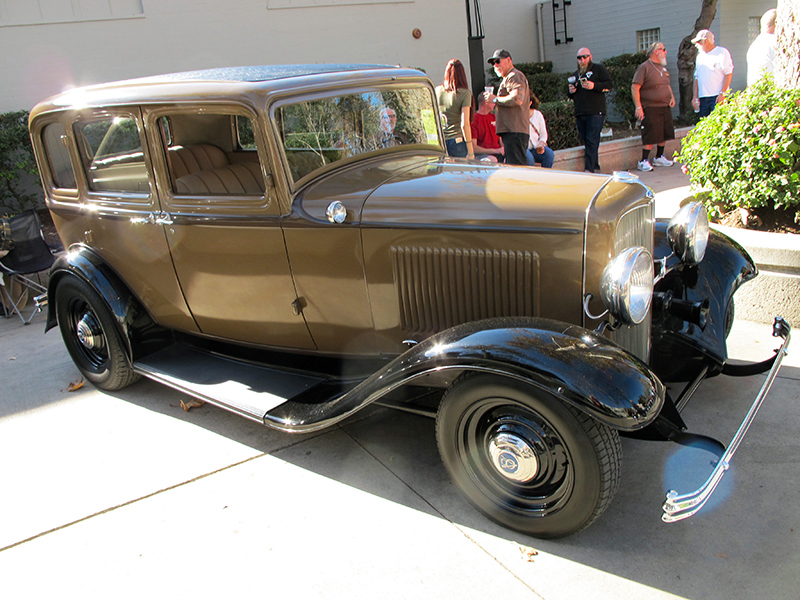 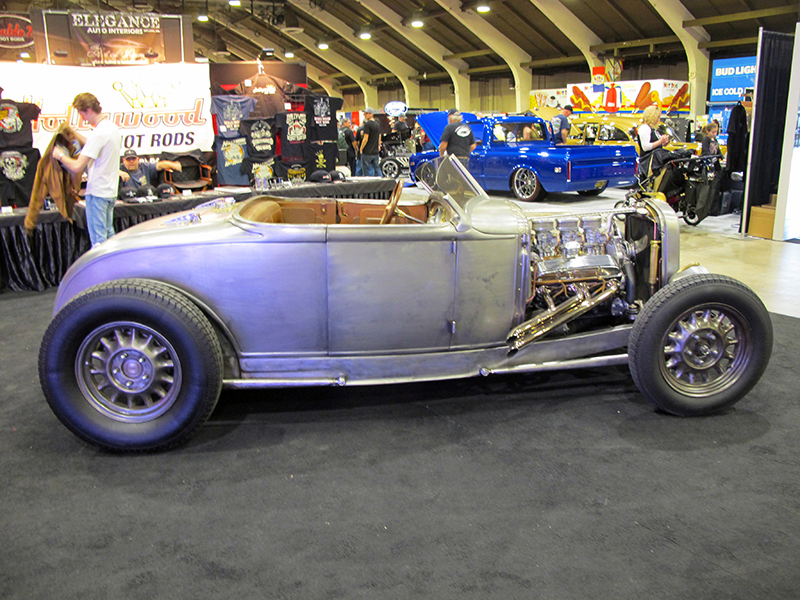 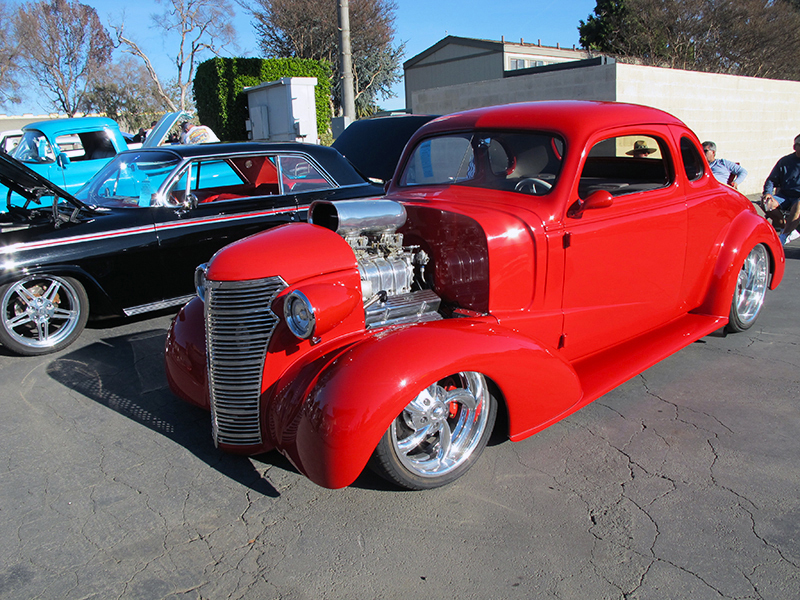 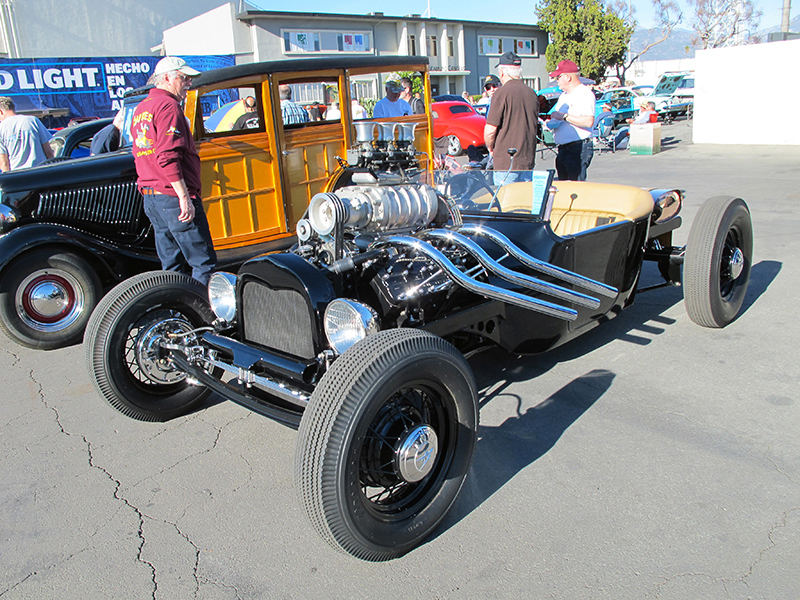 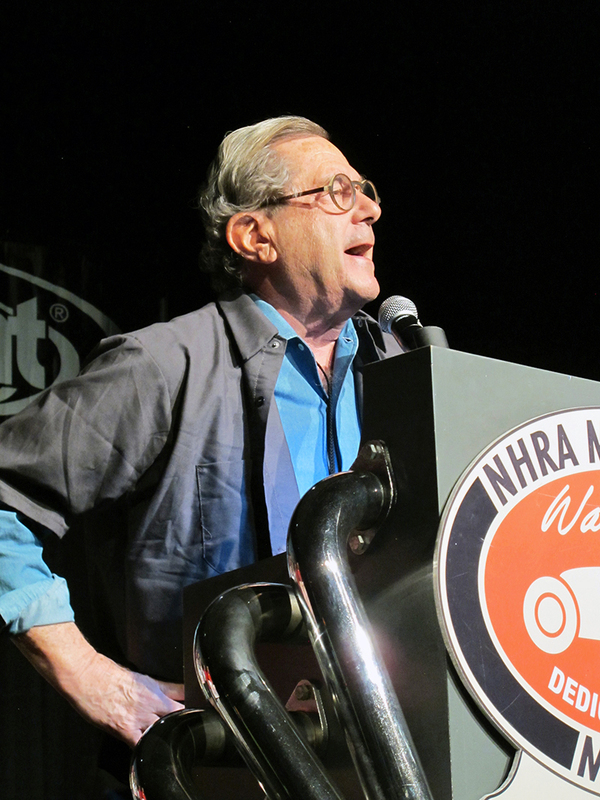 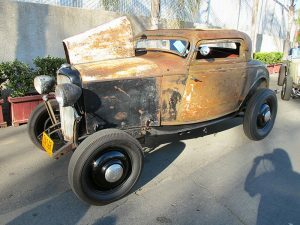 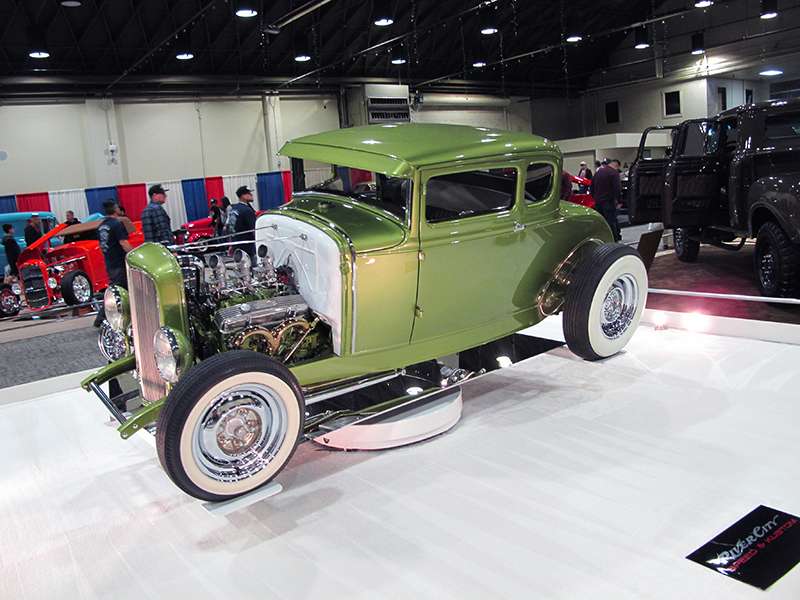 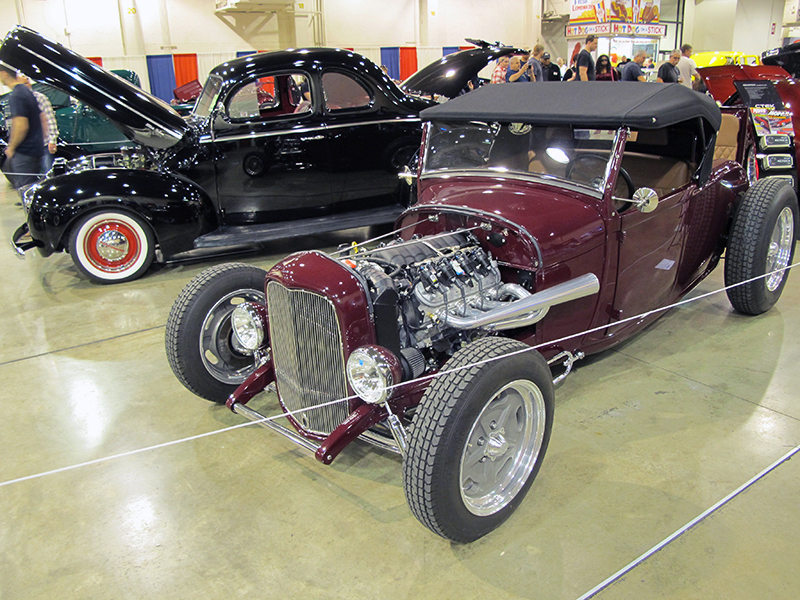 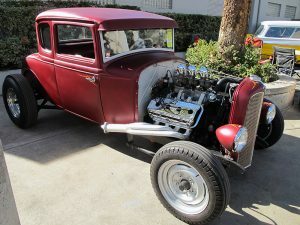 This year’s winner was the ’31 Ford Highboy built by Scott Bonowski and his great crew at Hot Rods and Hobbies in Signal Hill, California, for car owner Dave Martin. 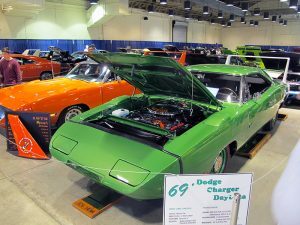 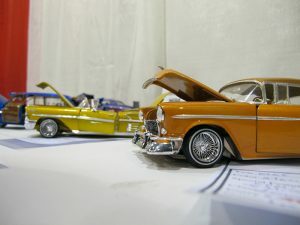 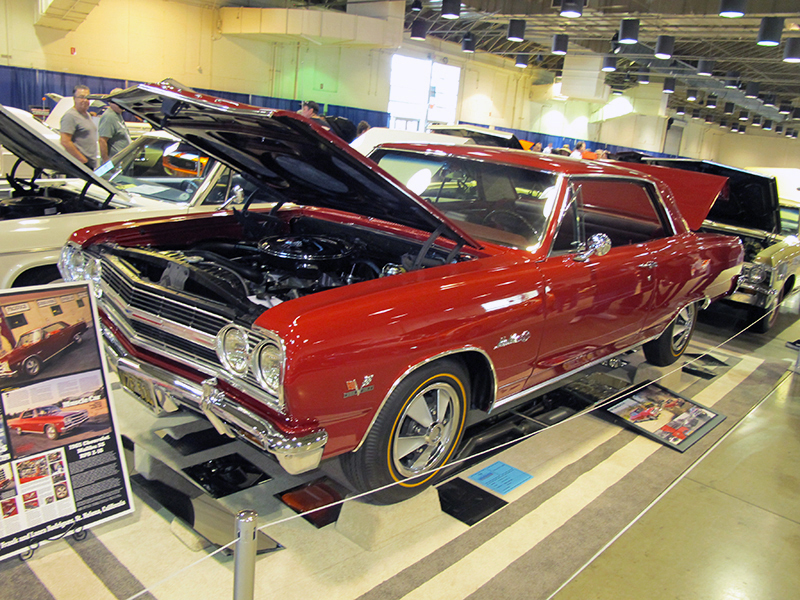 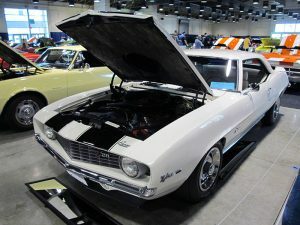 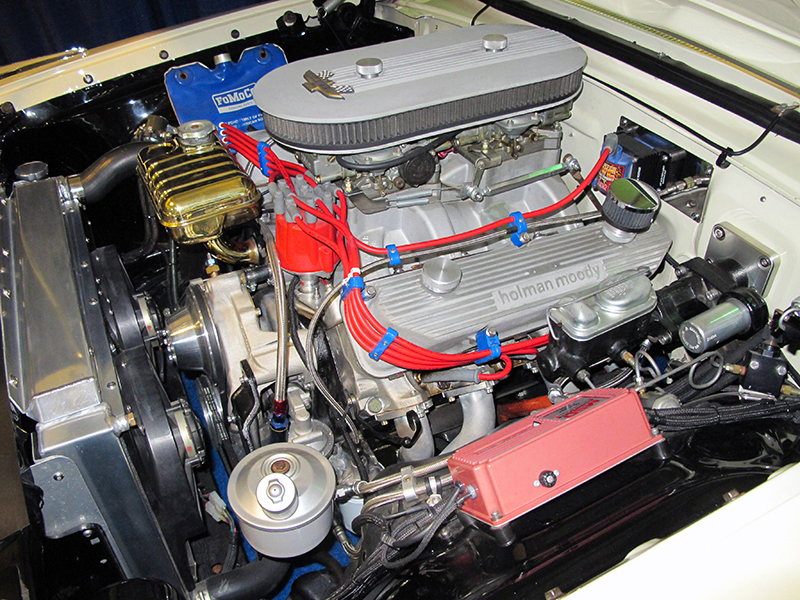 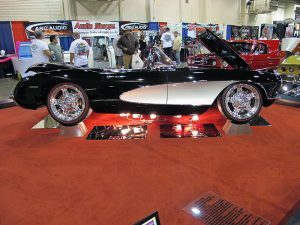 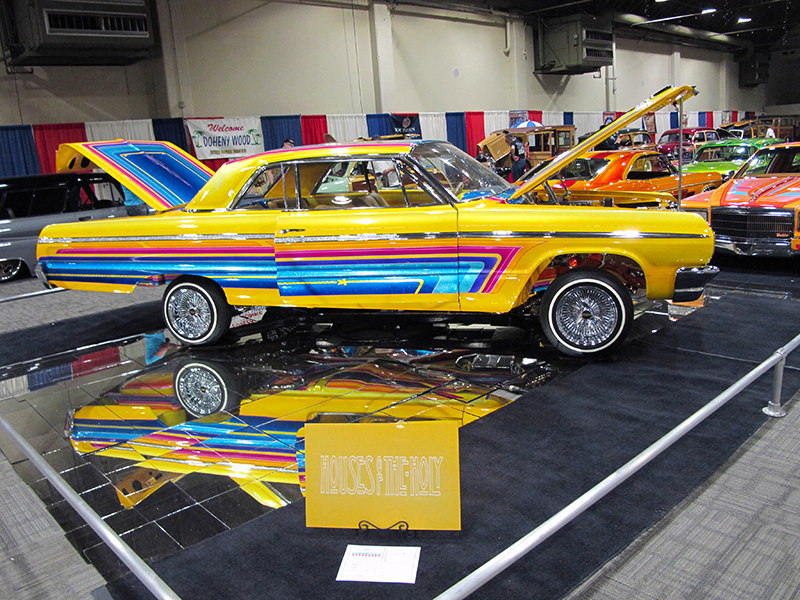 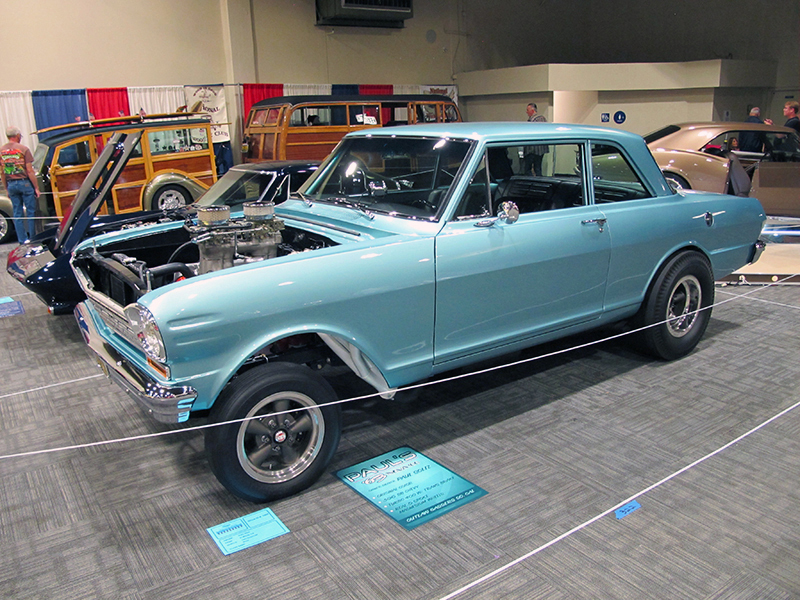 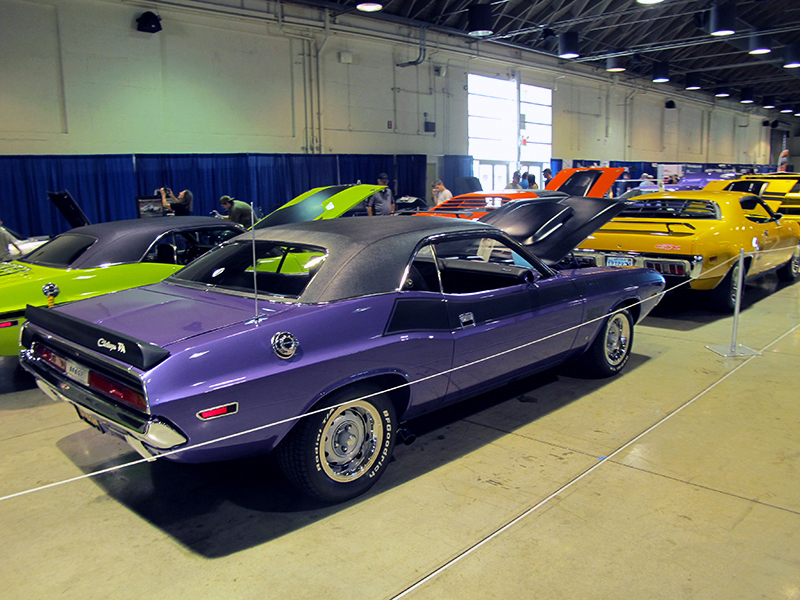 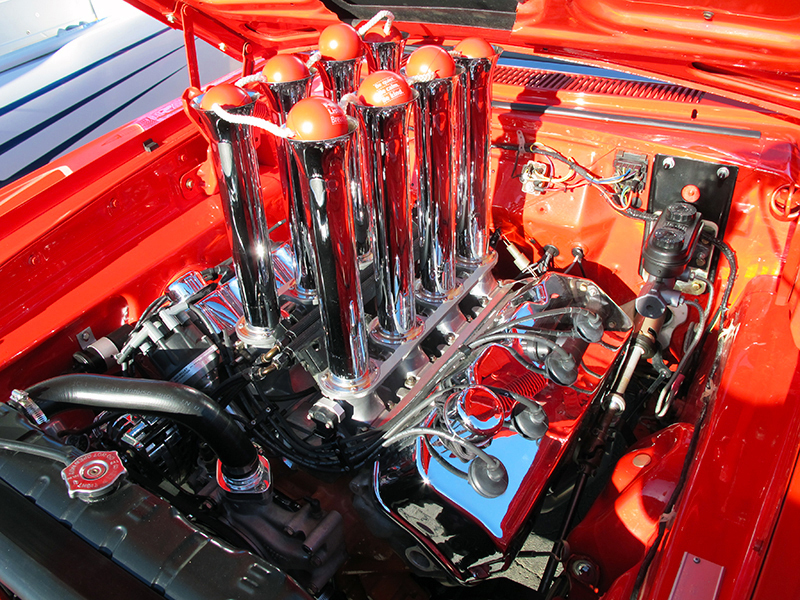 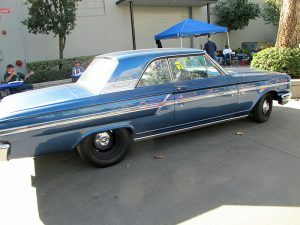 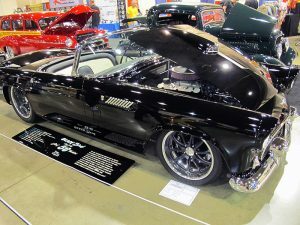 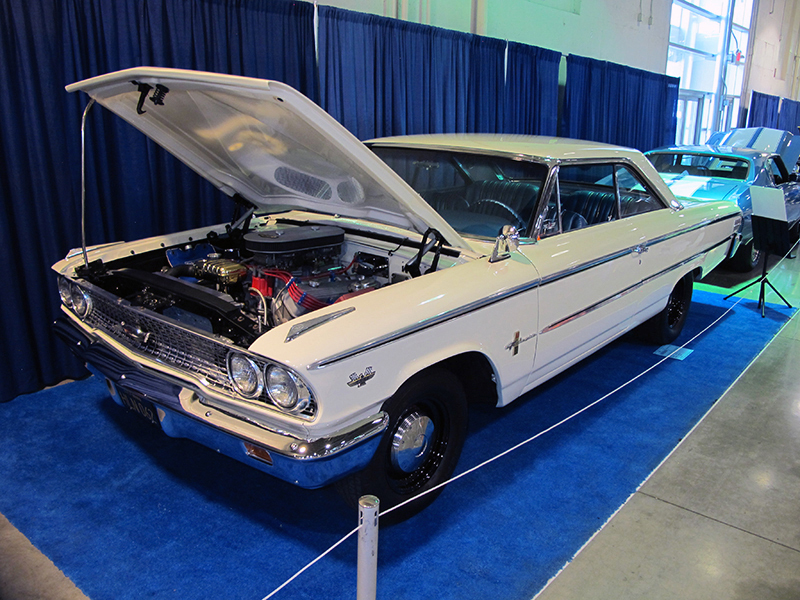 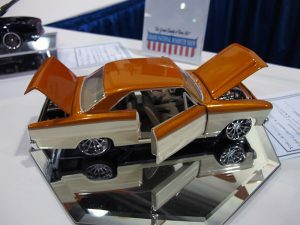 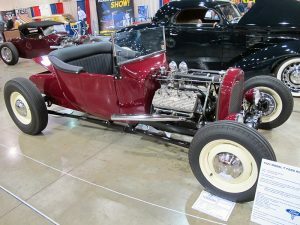 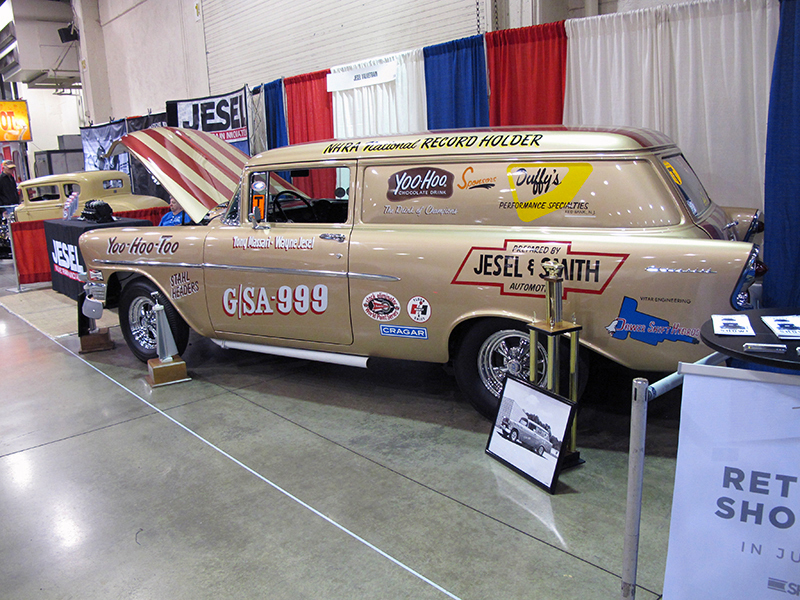 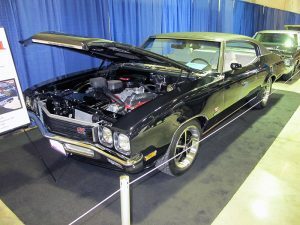 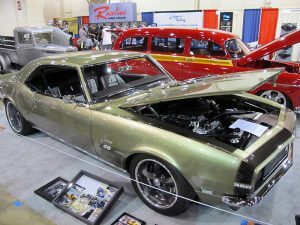 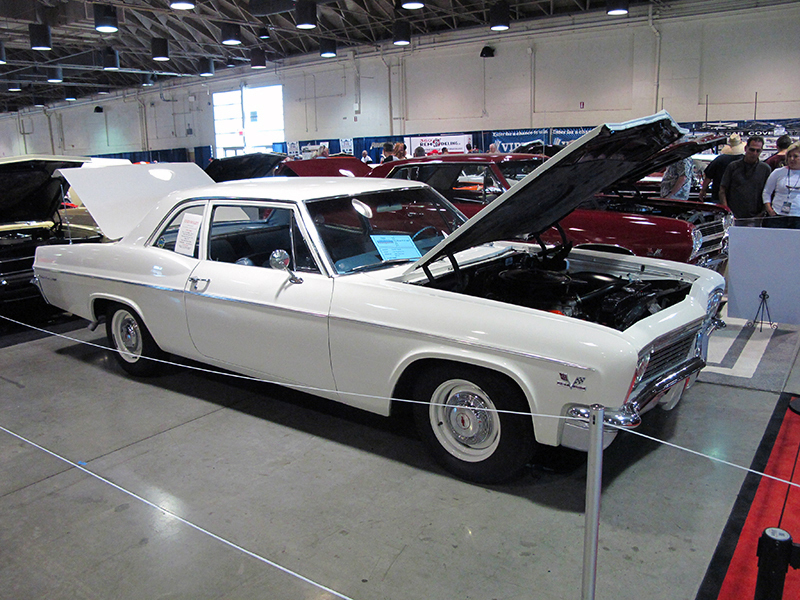 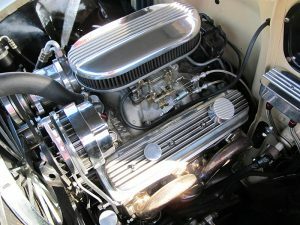 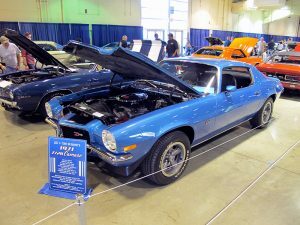 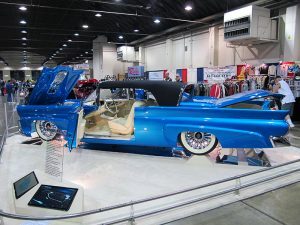 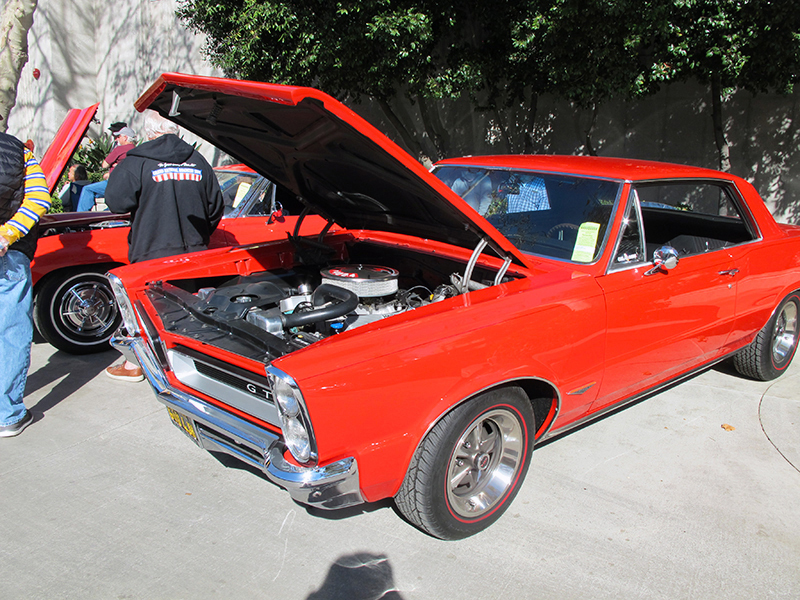 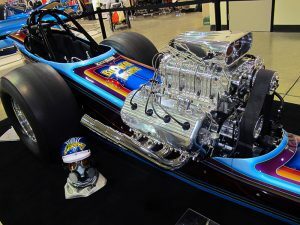 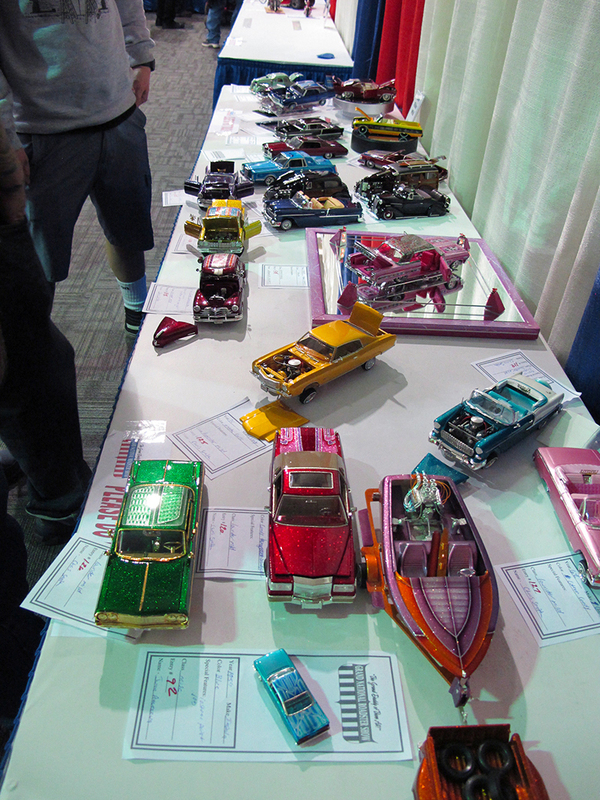 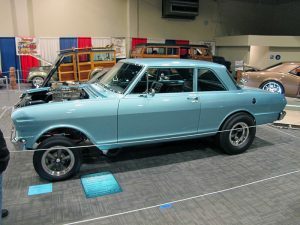 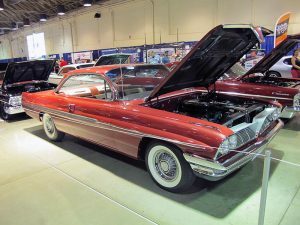 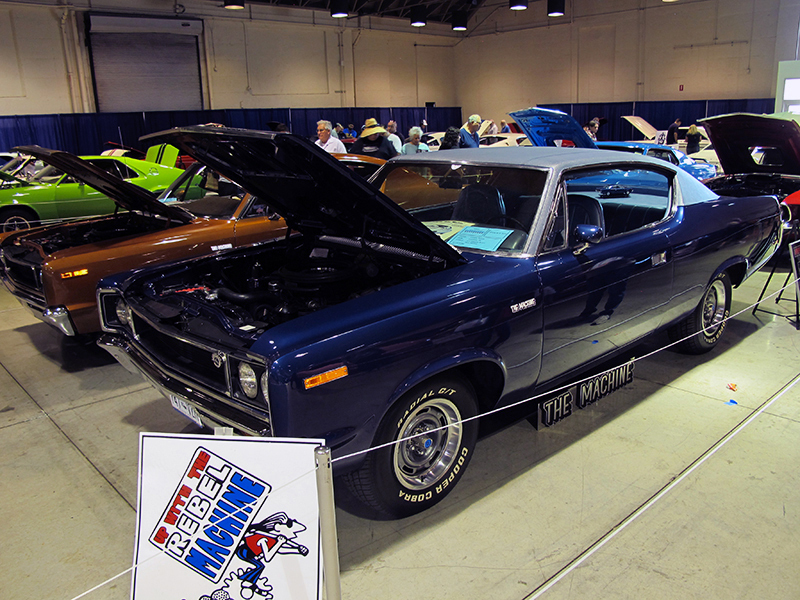 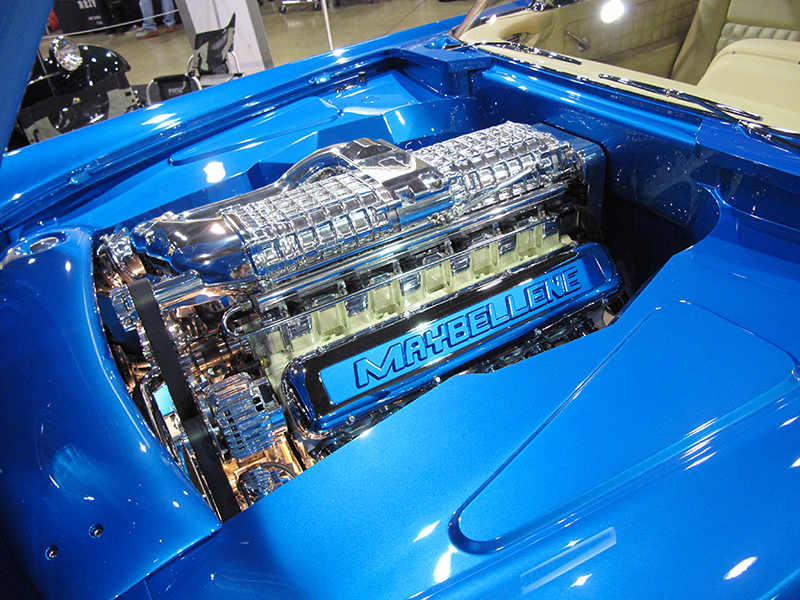 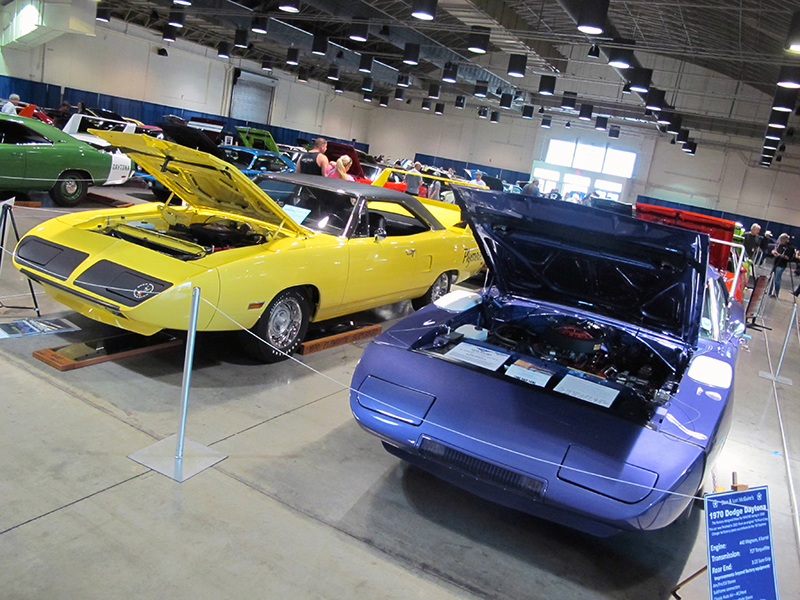 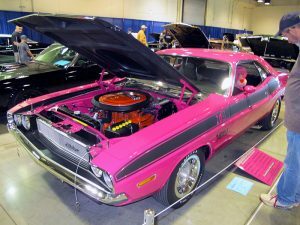 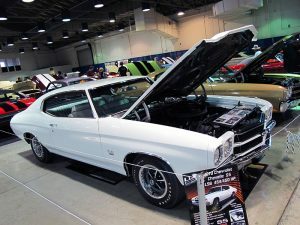 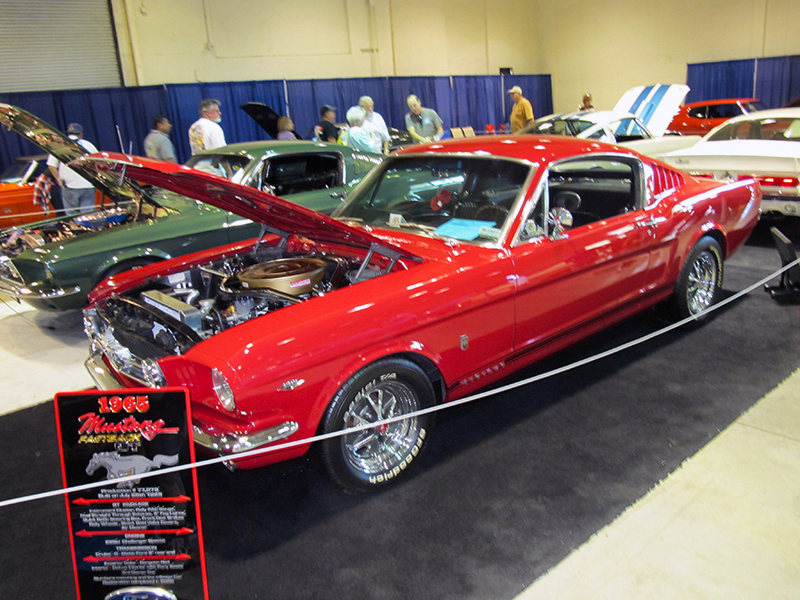 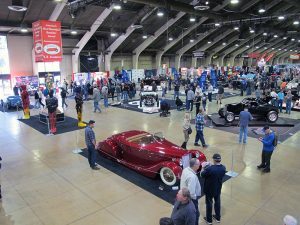 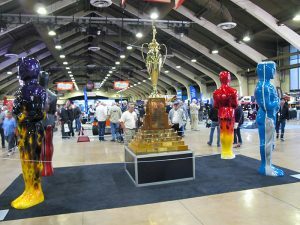 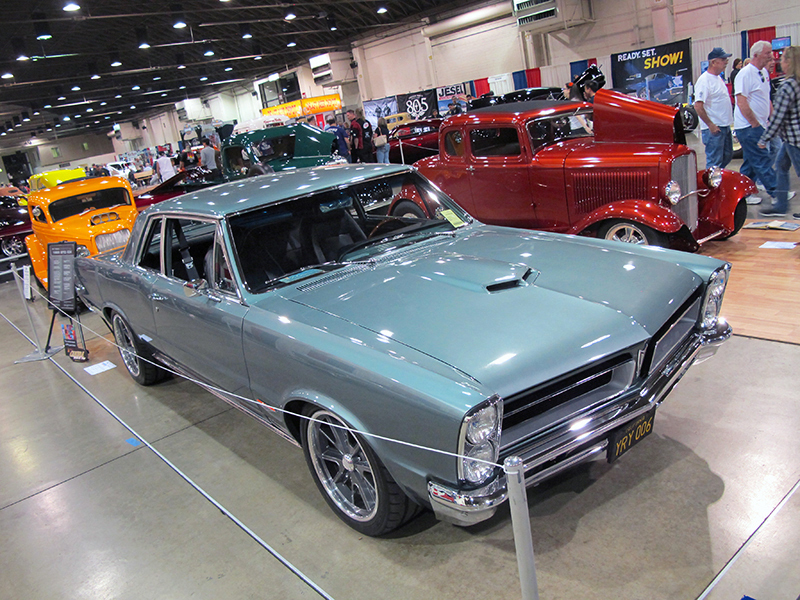 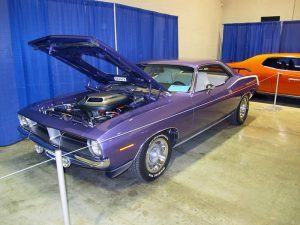 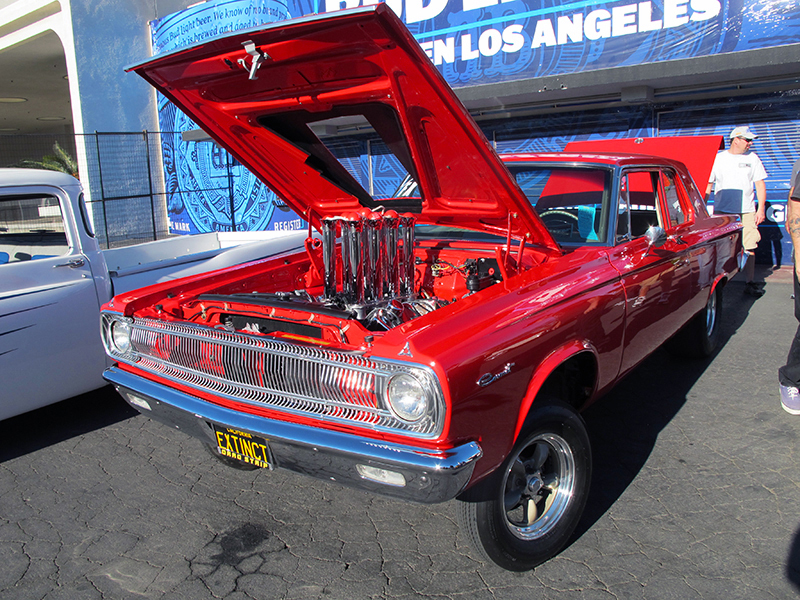 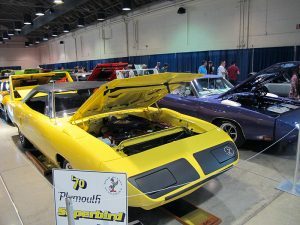 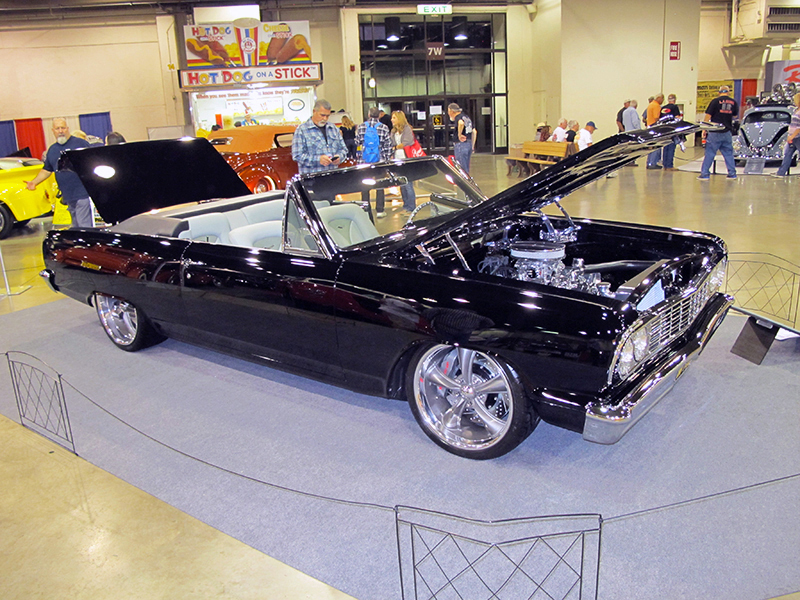 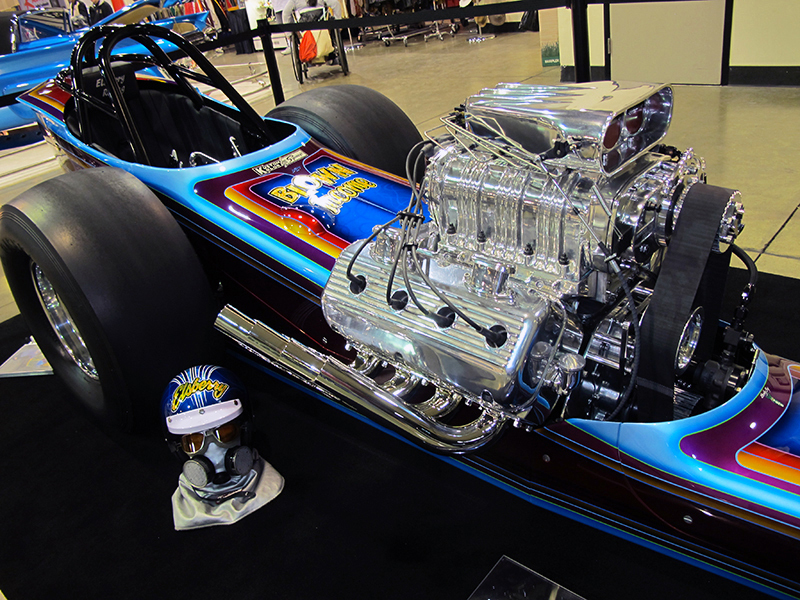 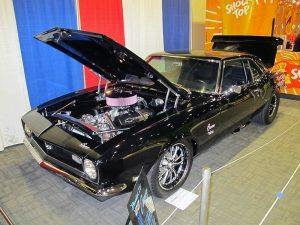 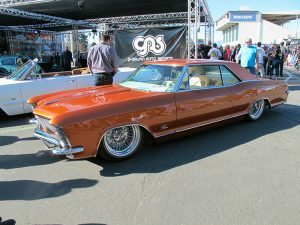 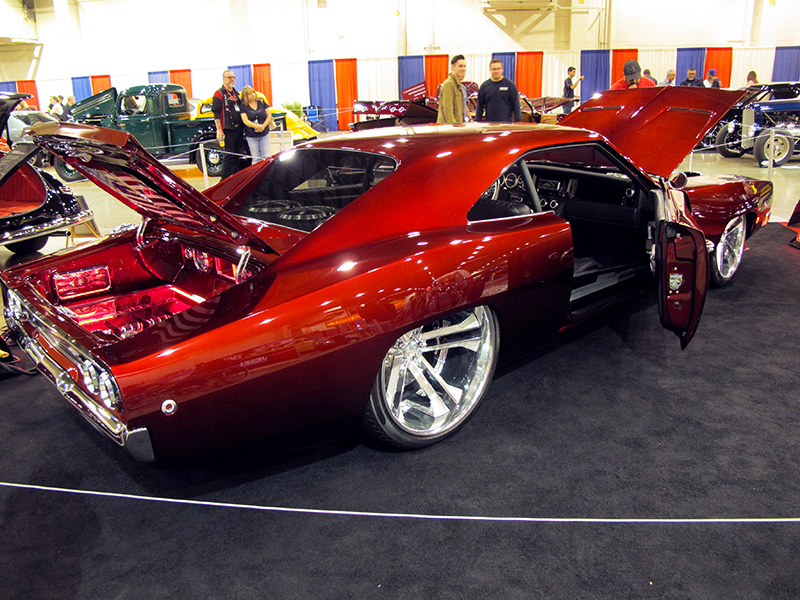 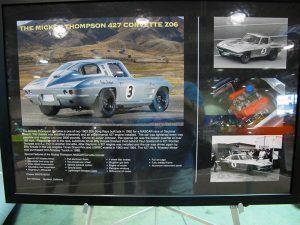 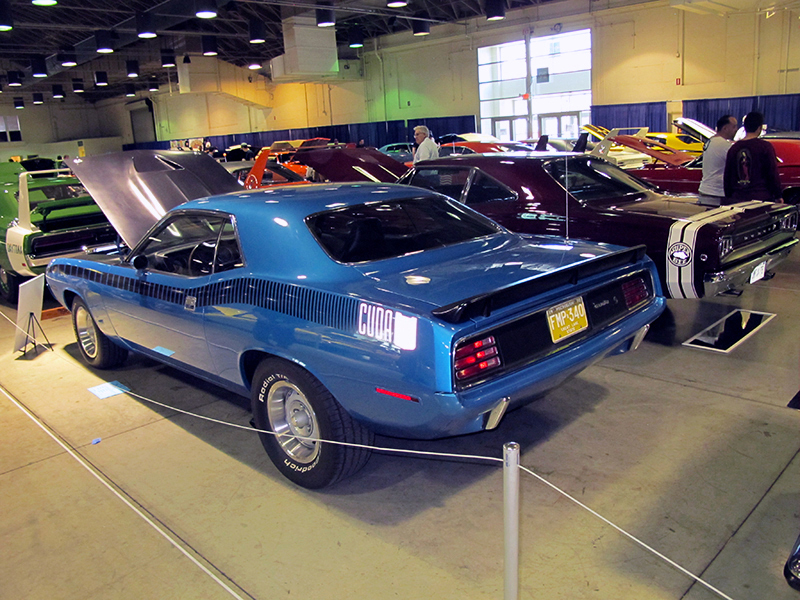 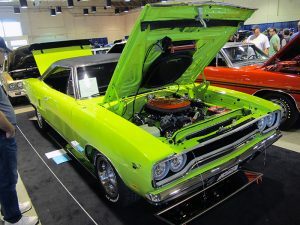 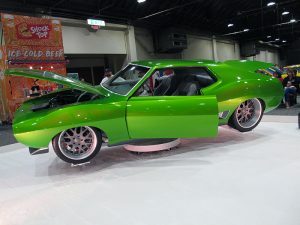 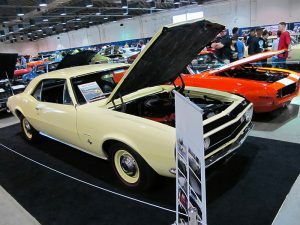 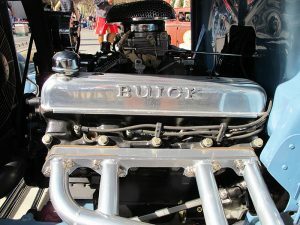 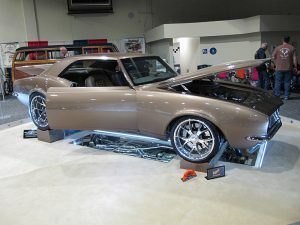 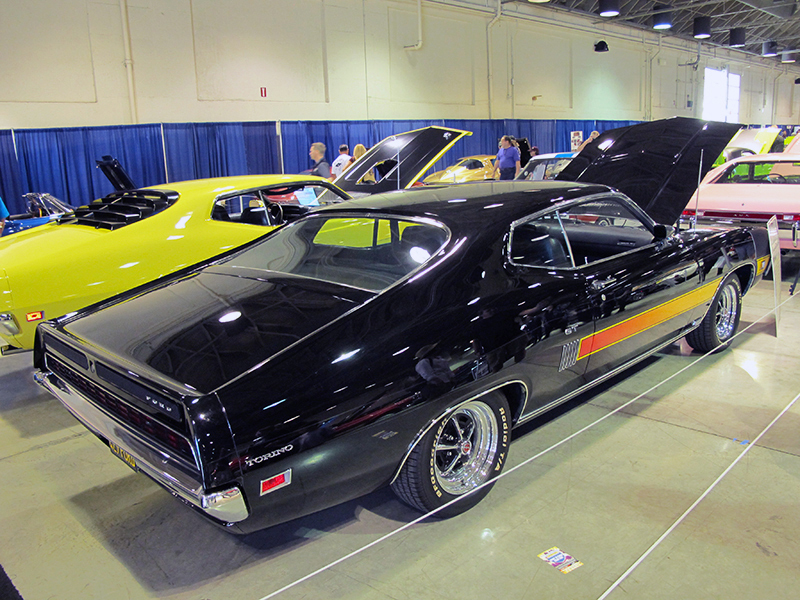 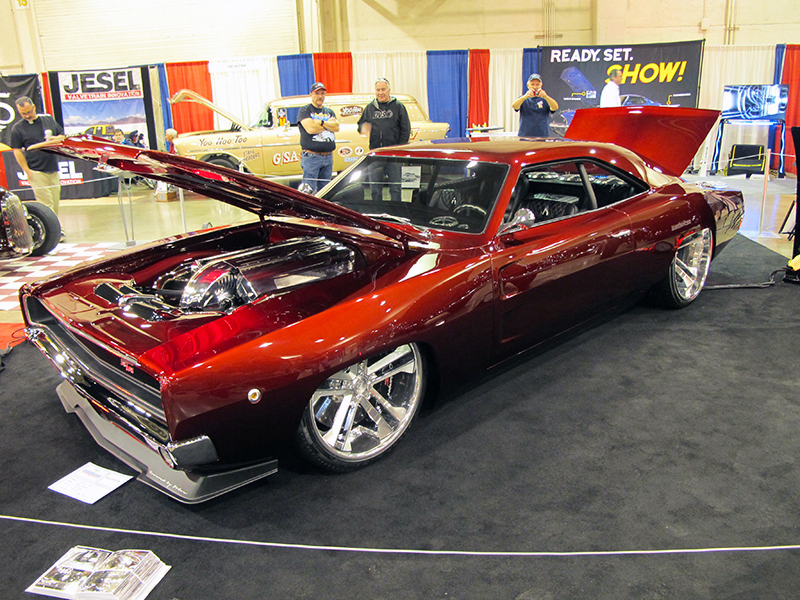 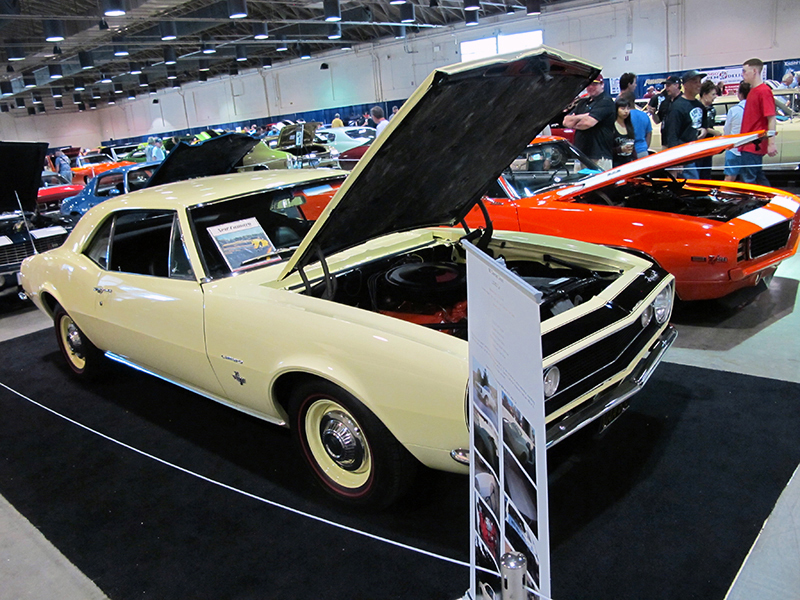 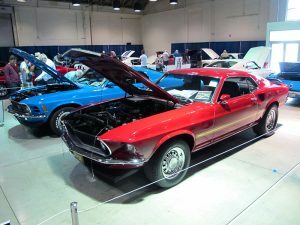 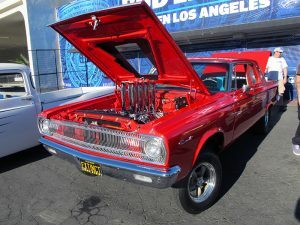 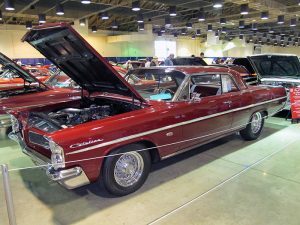 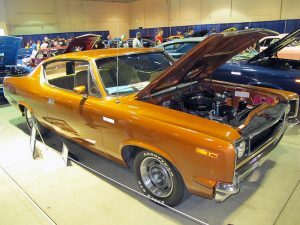 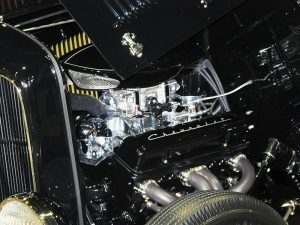 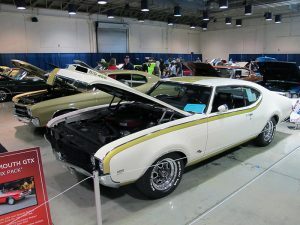 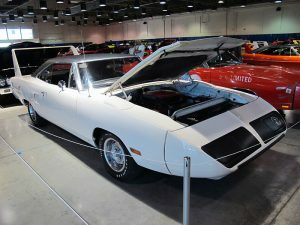 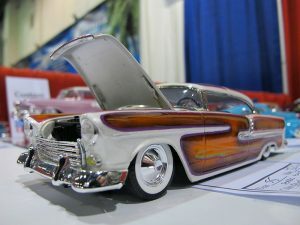 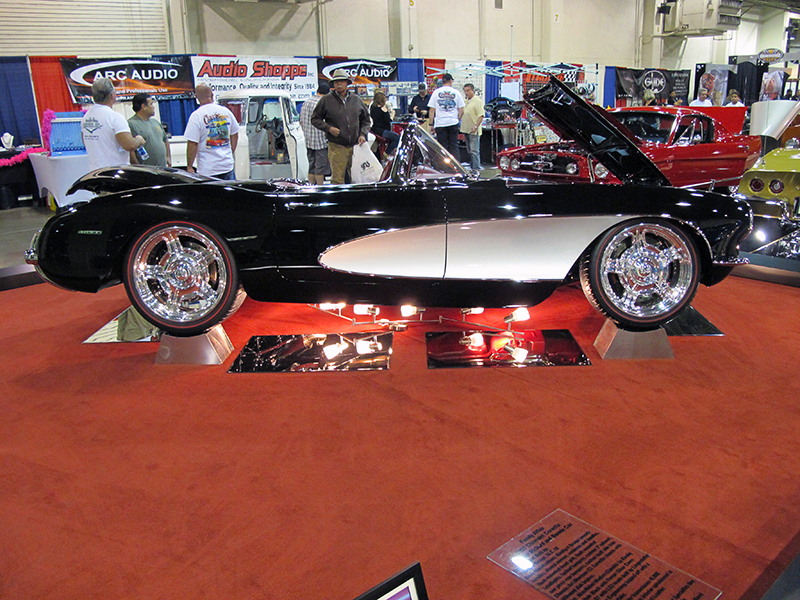 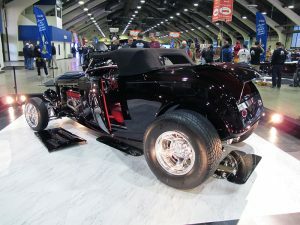 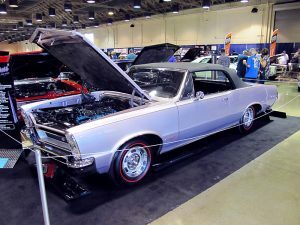 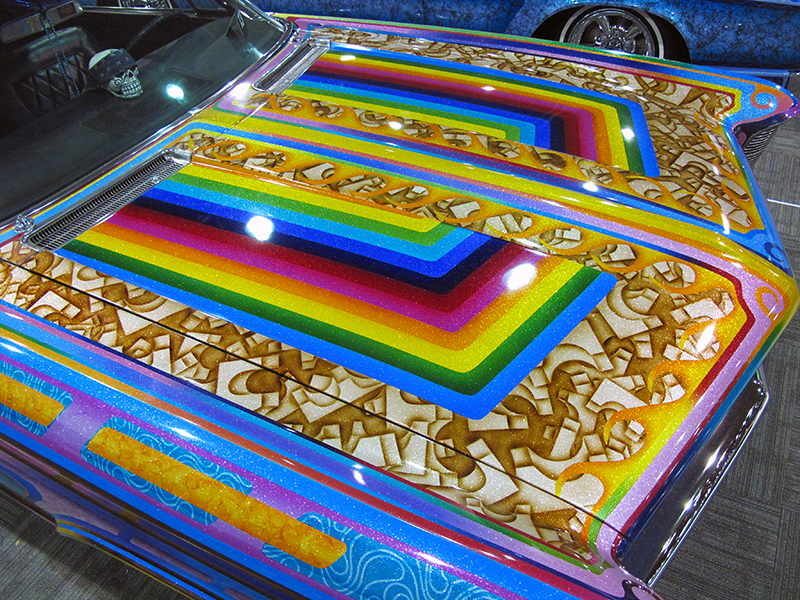 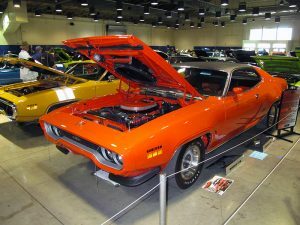 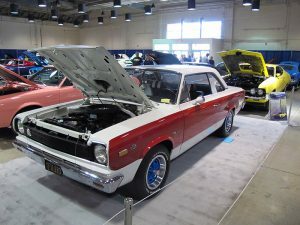 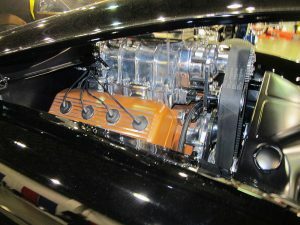 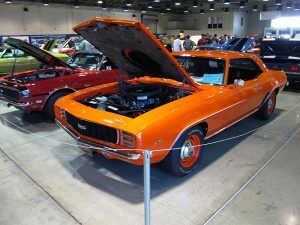 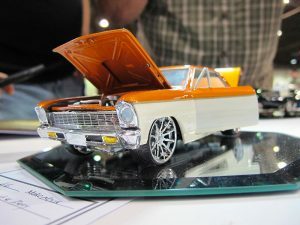 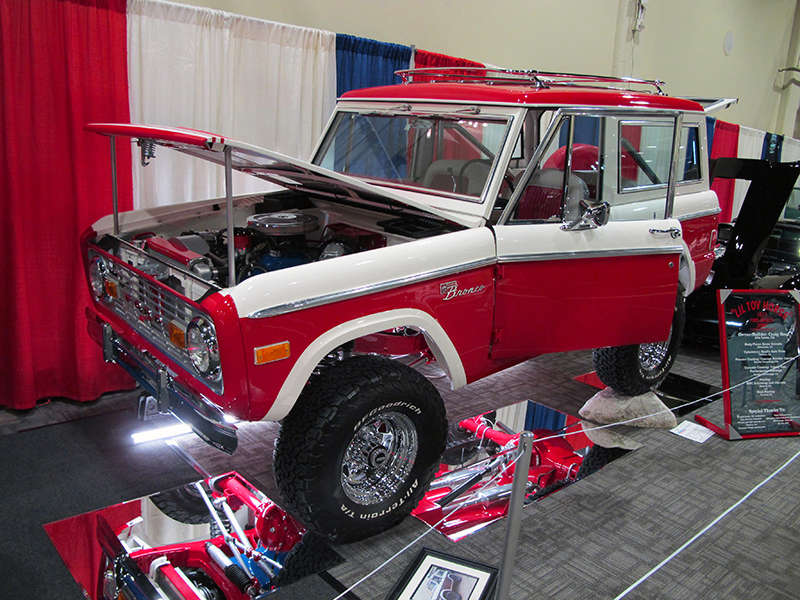 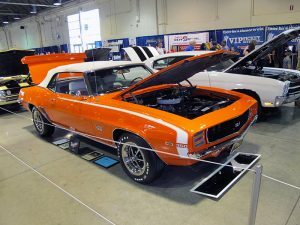 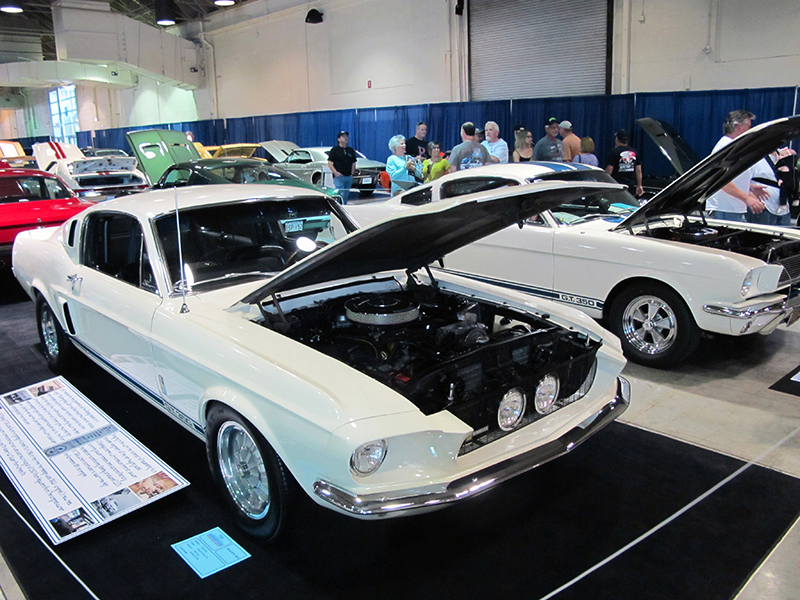 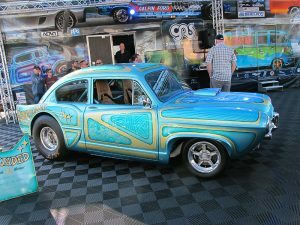 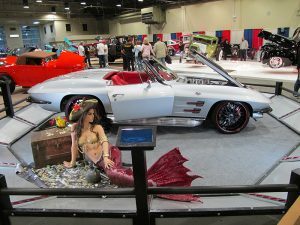 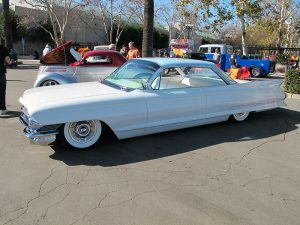 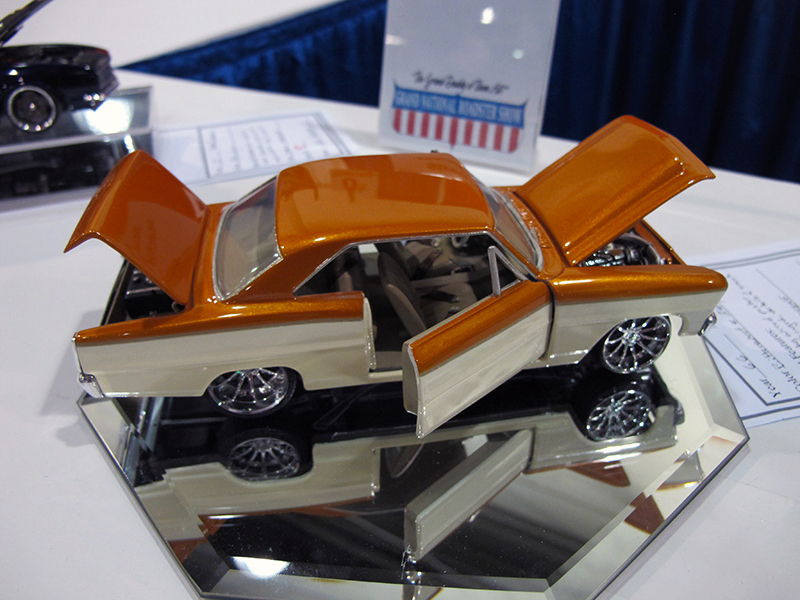 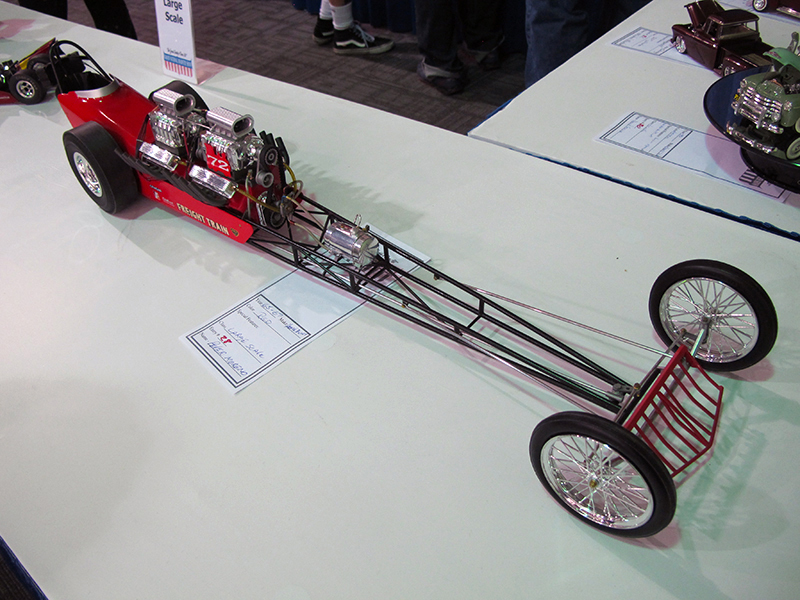 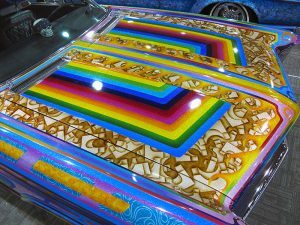 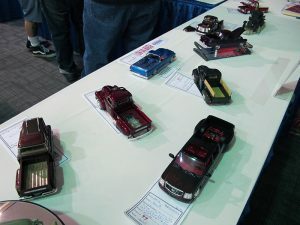 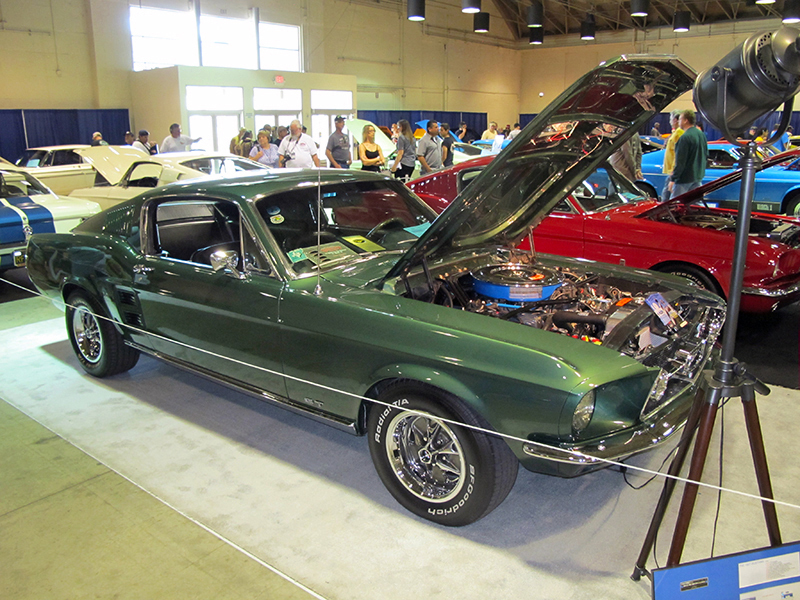 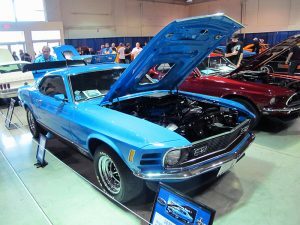 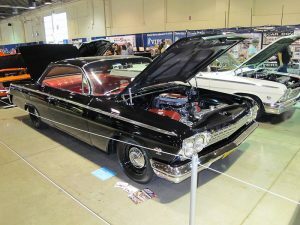 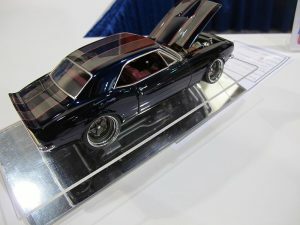 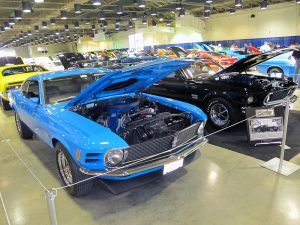 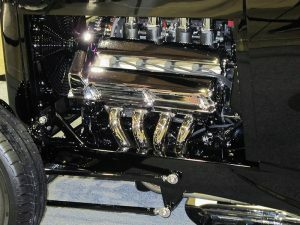 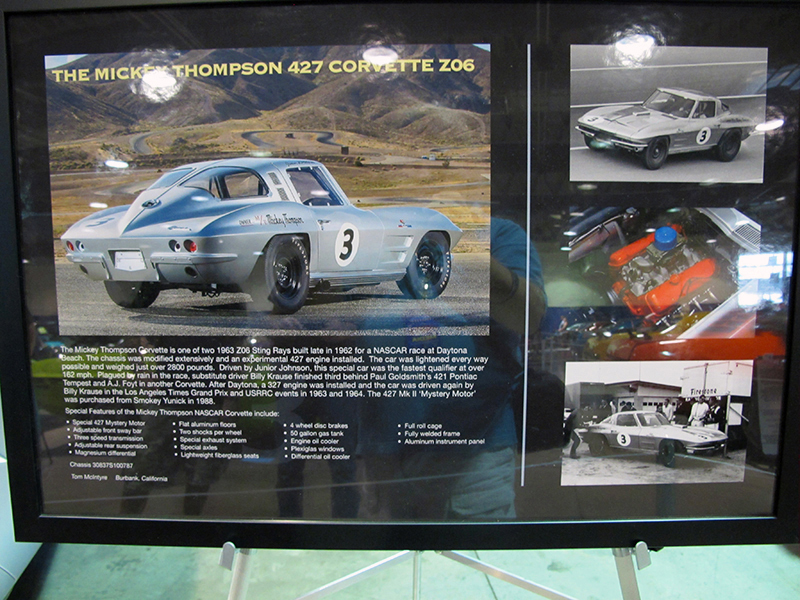 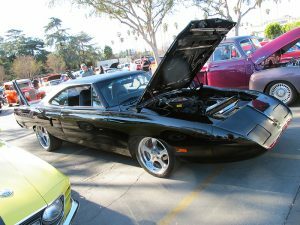 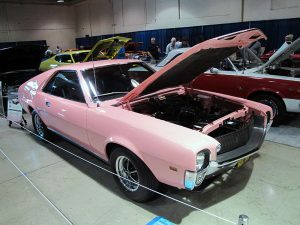 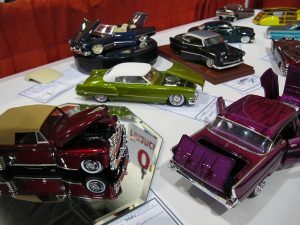 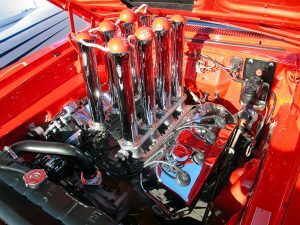 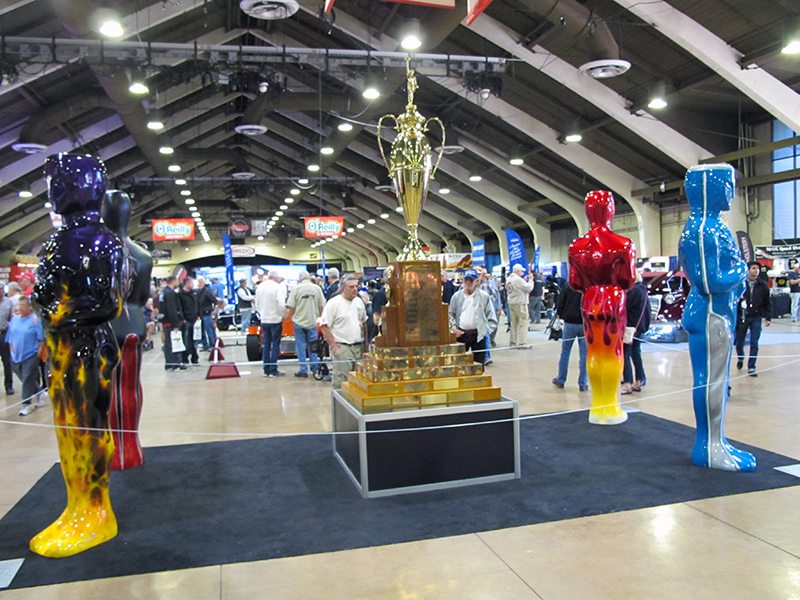 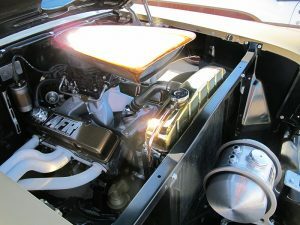 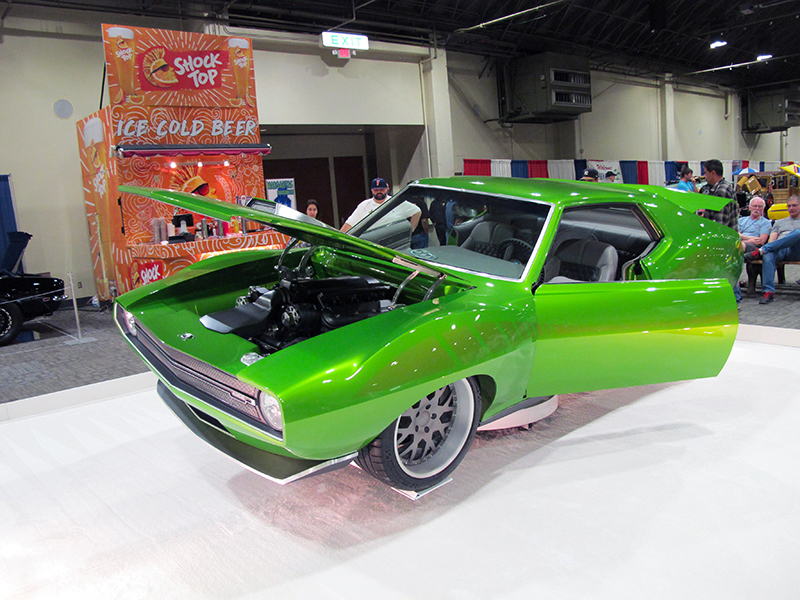 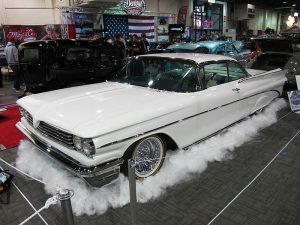 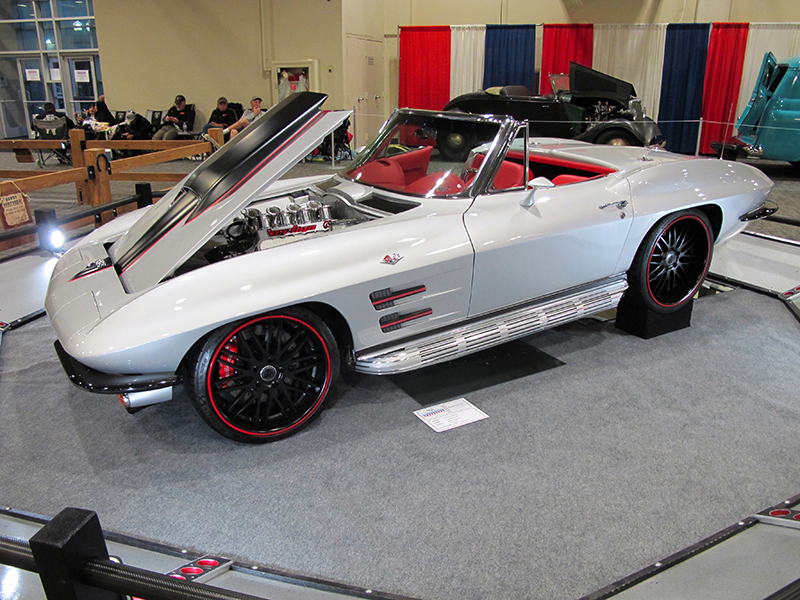 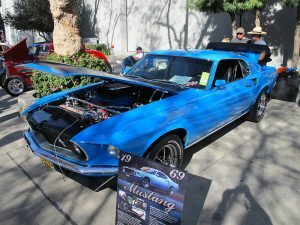 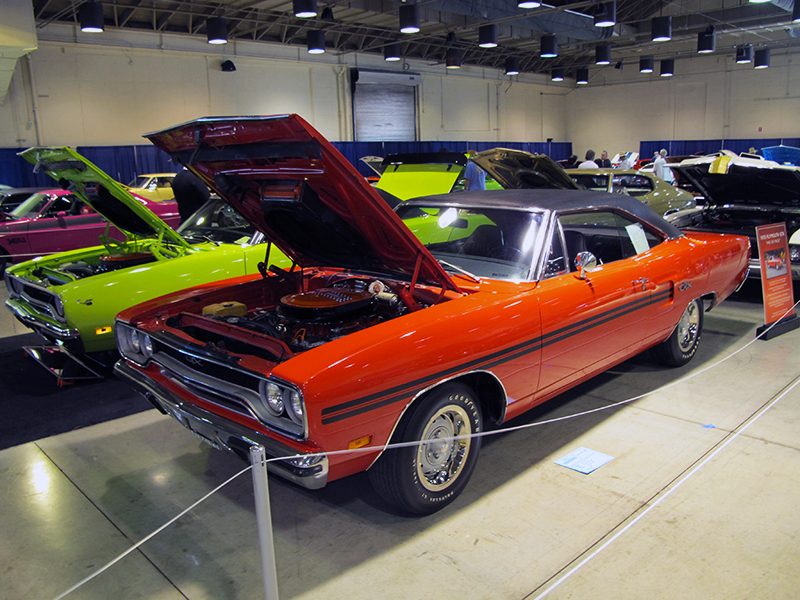 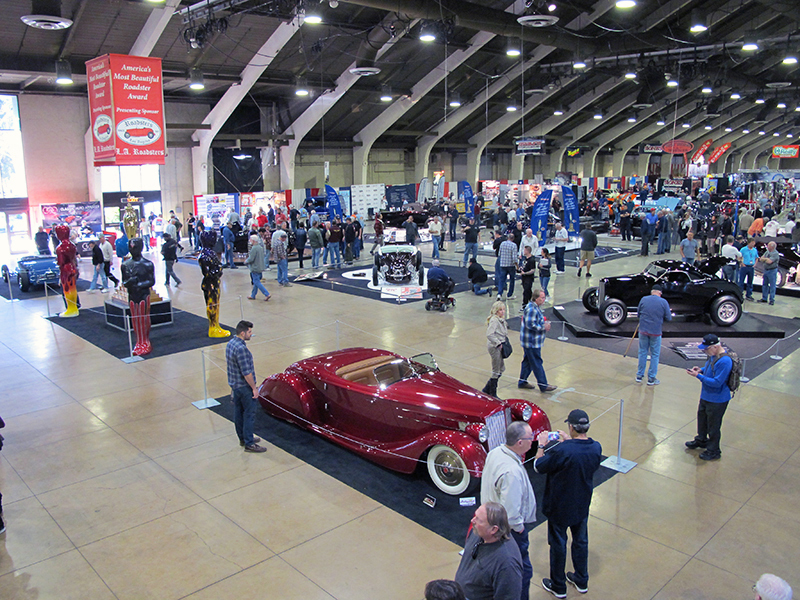 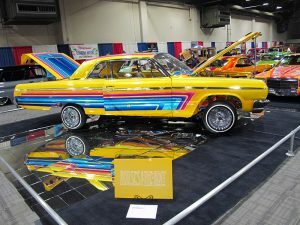 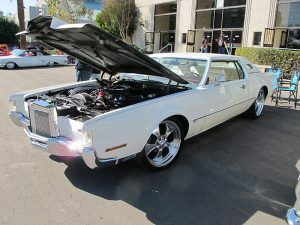 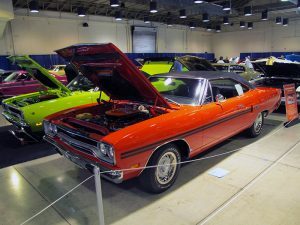 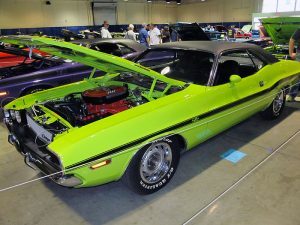 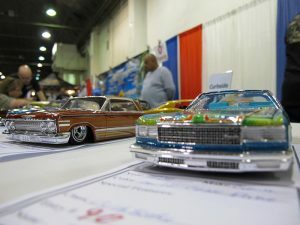 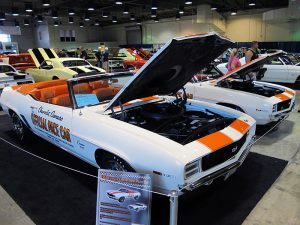 The Grand National Roadster Show also included a dedicated building which featured the best of the best in 60’s era Muscle Cars. 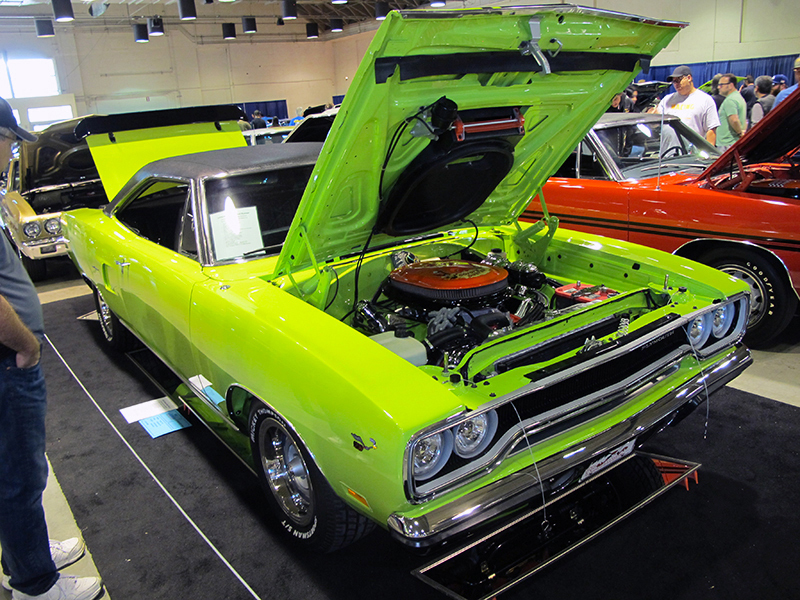 You couldn’t swing a cat without hitting Winged Mopars. 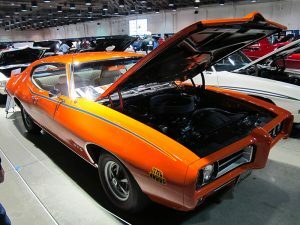 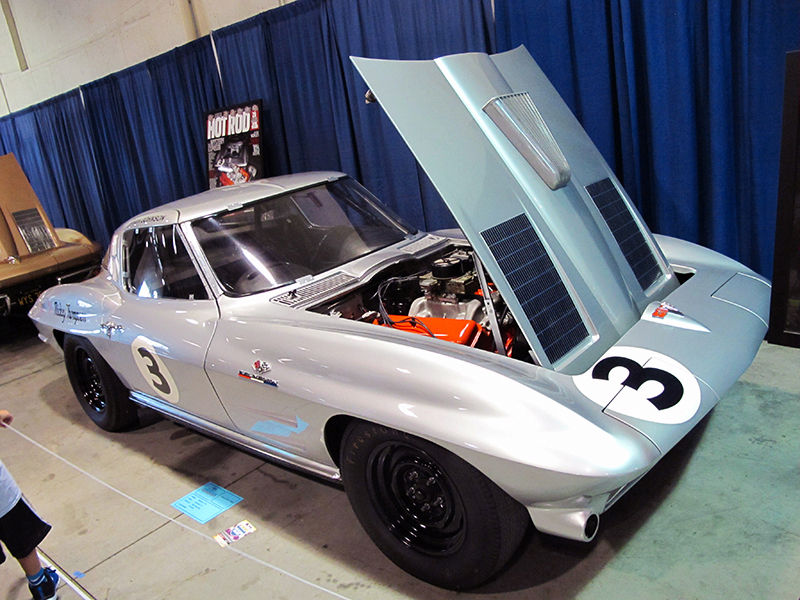 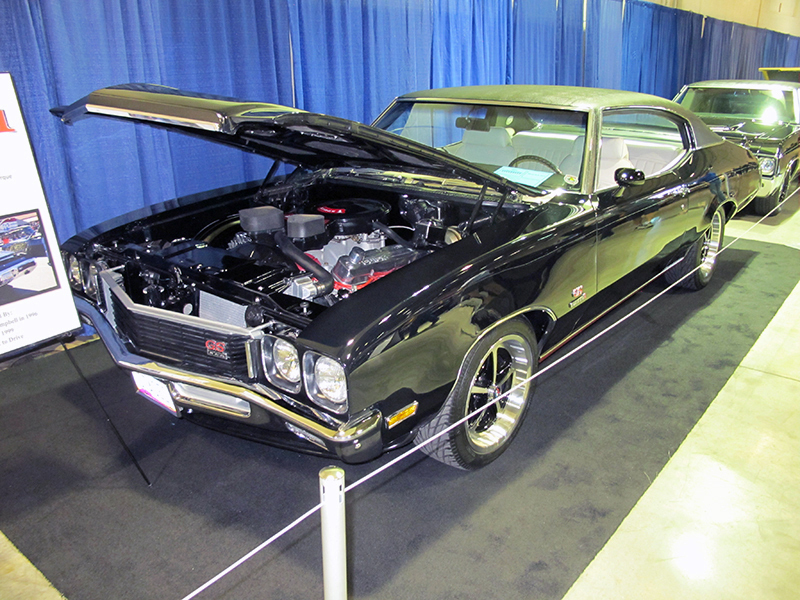 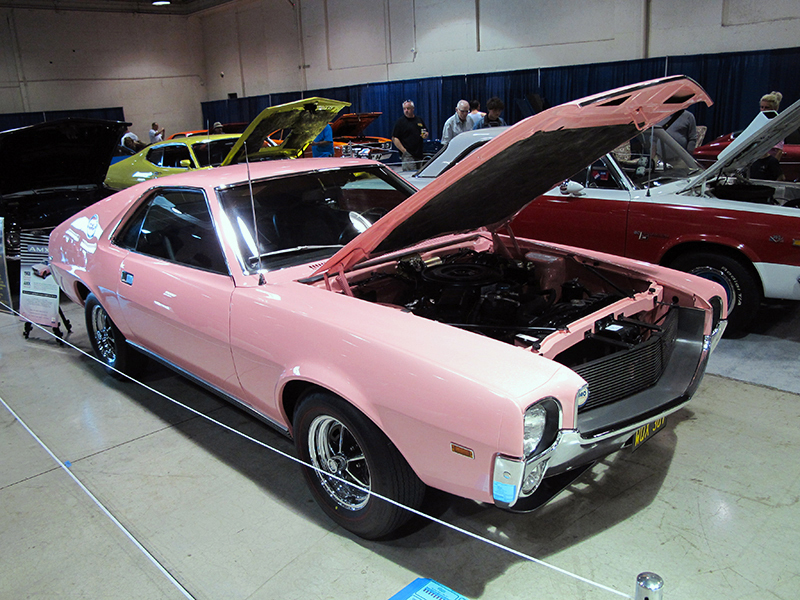 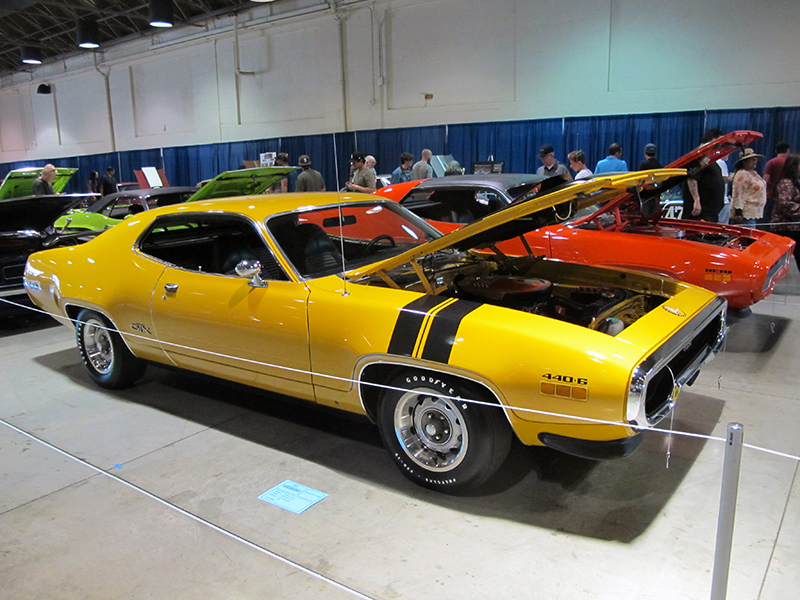 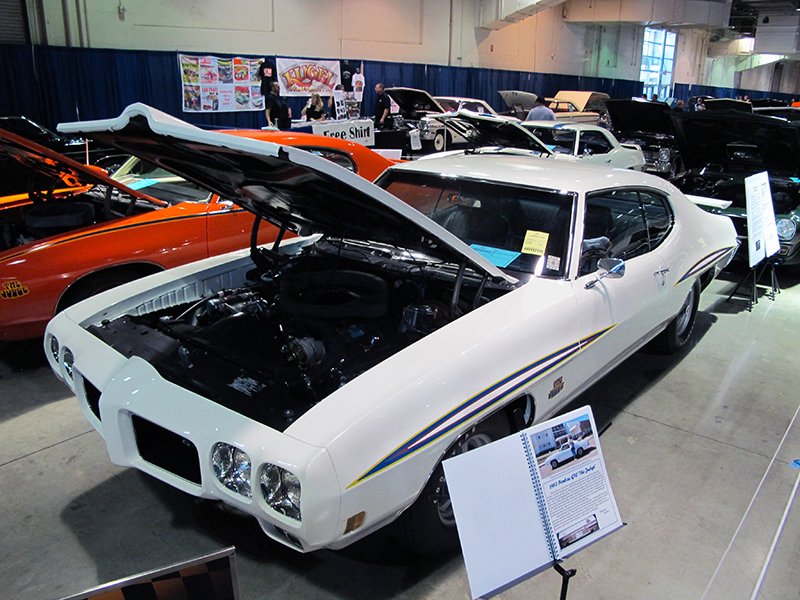 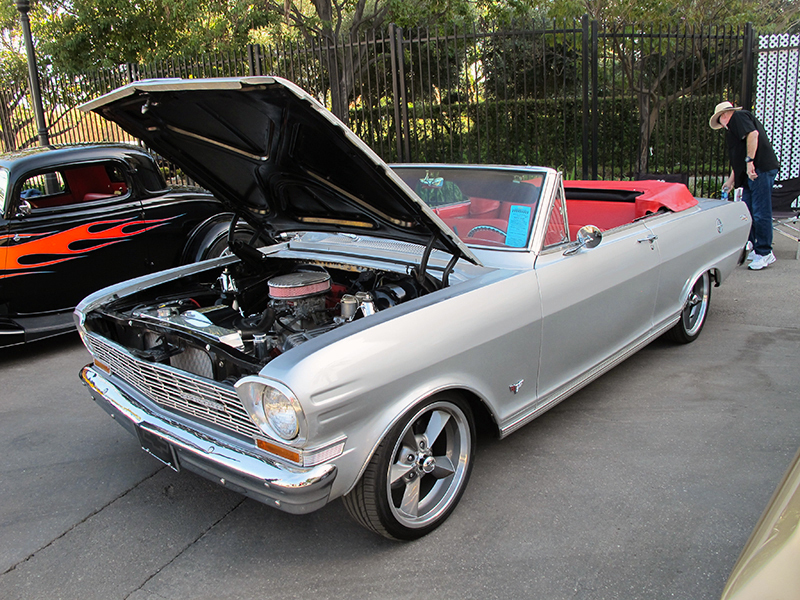 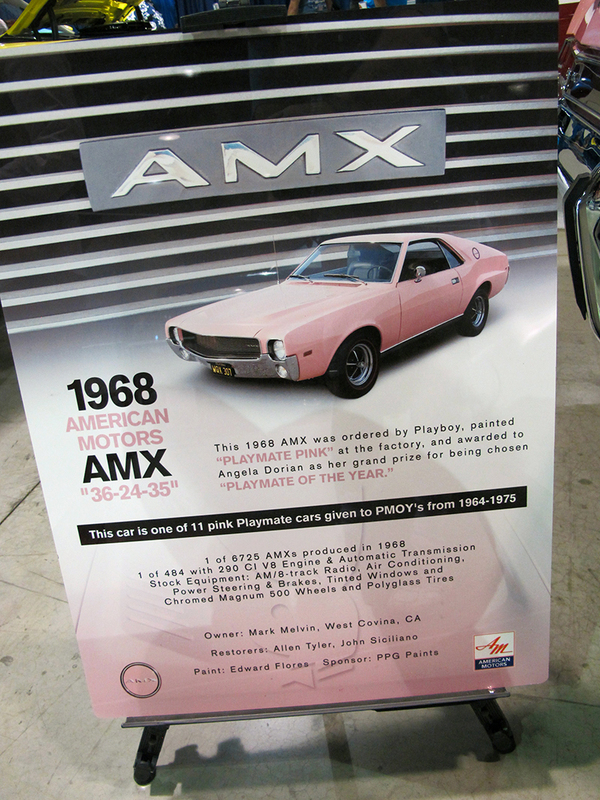 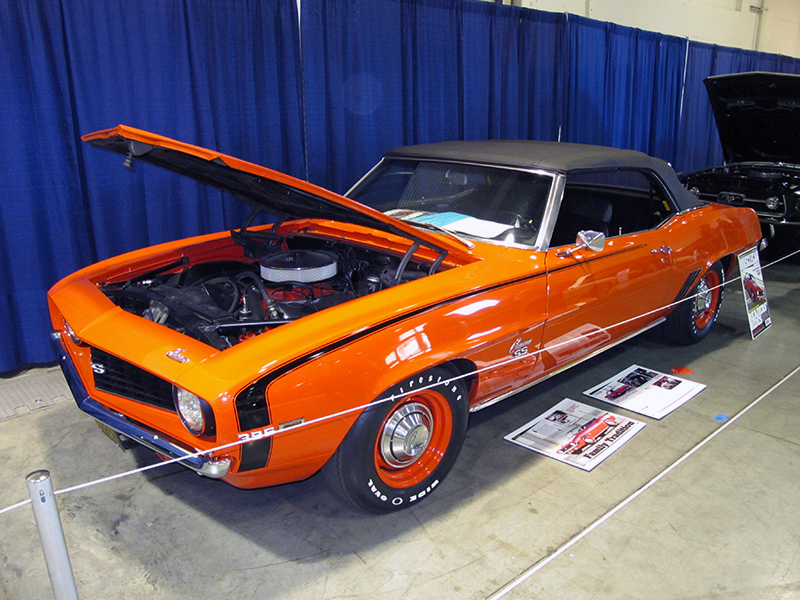 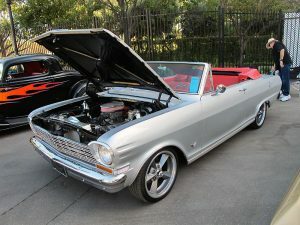 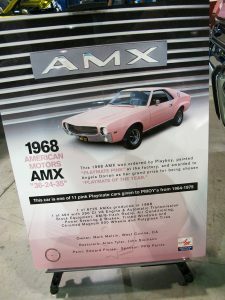 GTOs, Boss Mustangs, Chevelles, Camaros, and even a few very rare “Machines” from American Motors. You couldn’t walk through the building without thinking of the millions of dollars worth of Hemis, LS6’s, and 429’s sitting around. 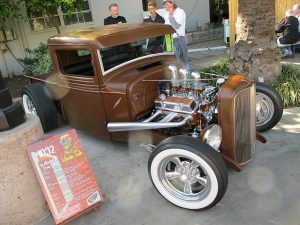 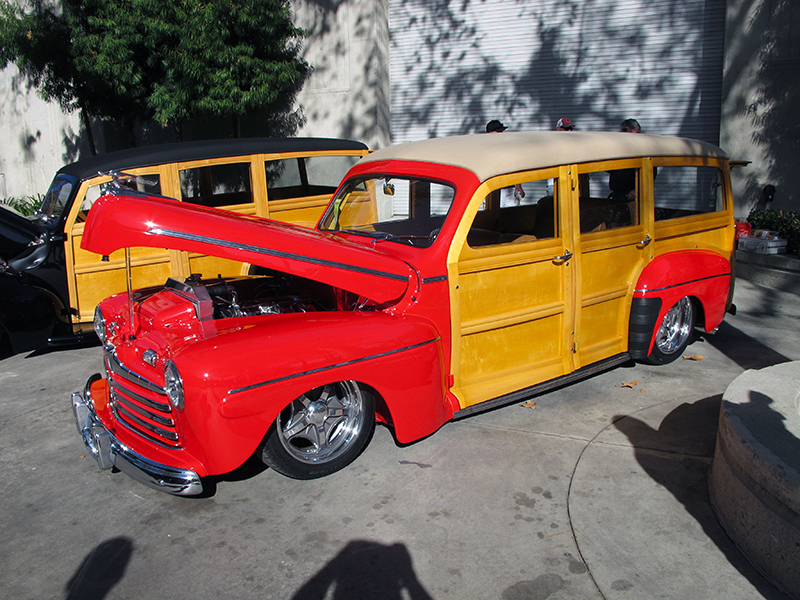 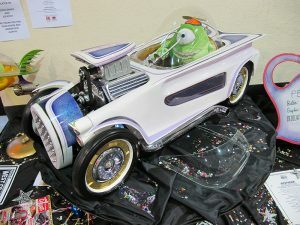 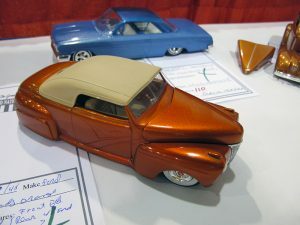 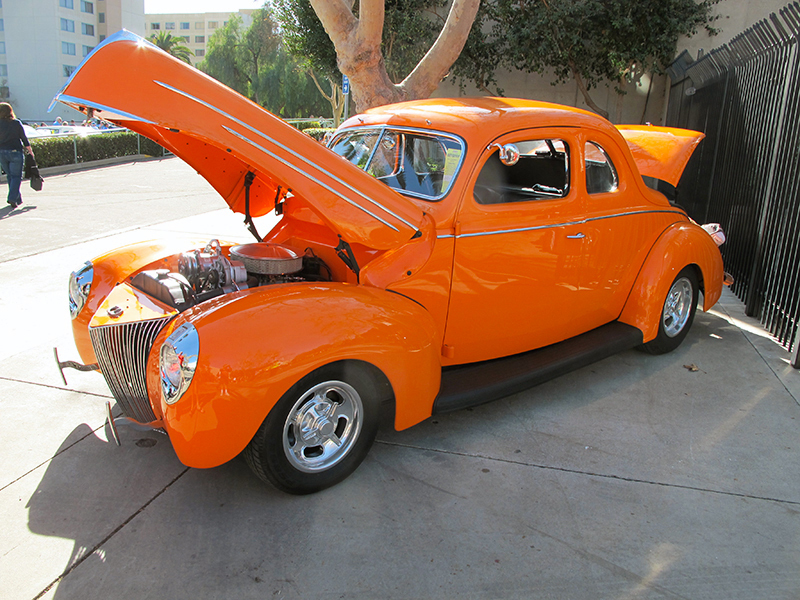 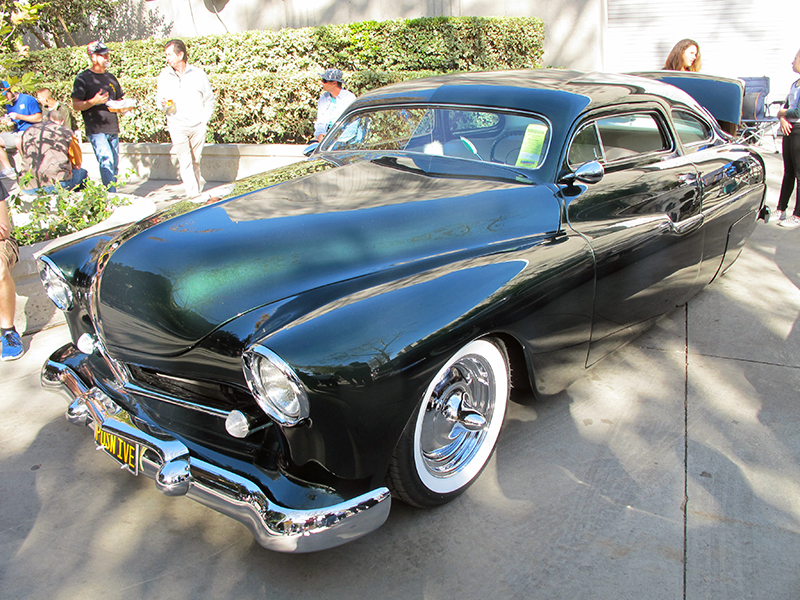 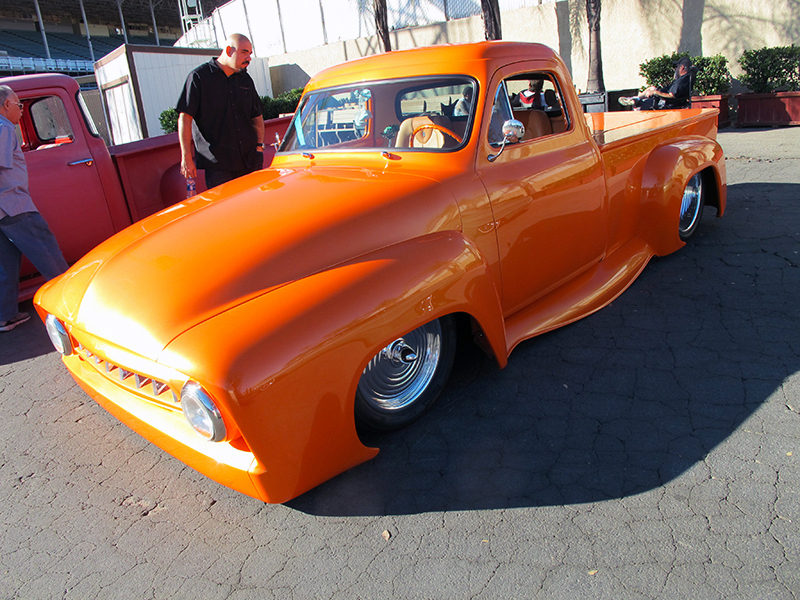 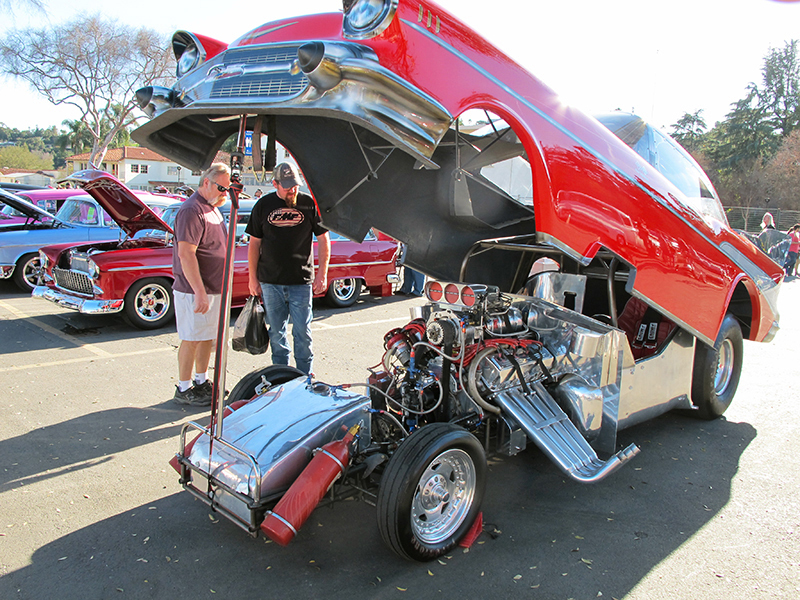 Truly an outside-the-box treat for what is normally a custom car and hot rod event. 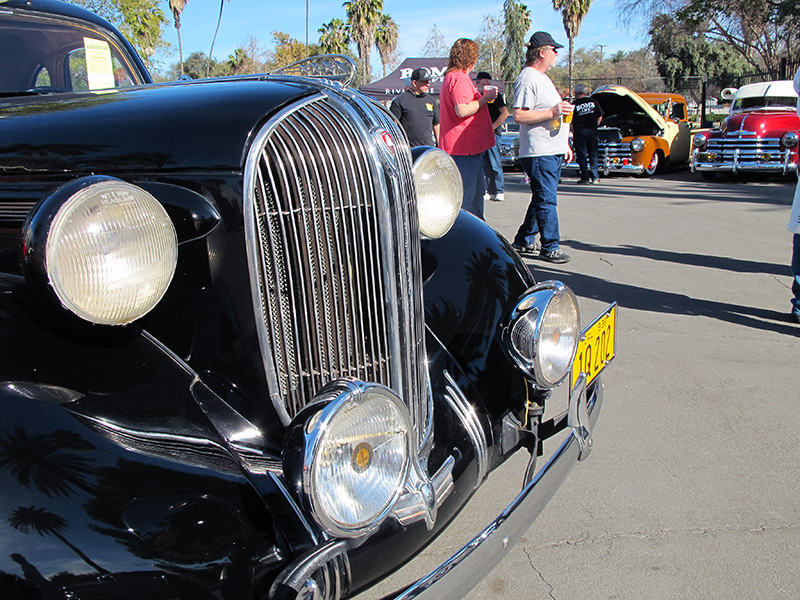 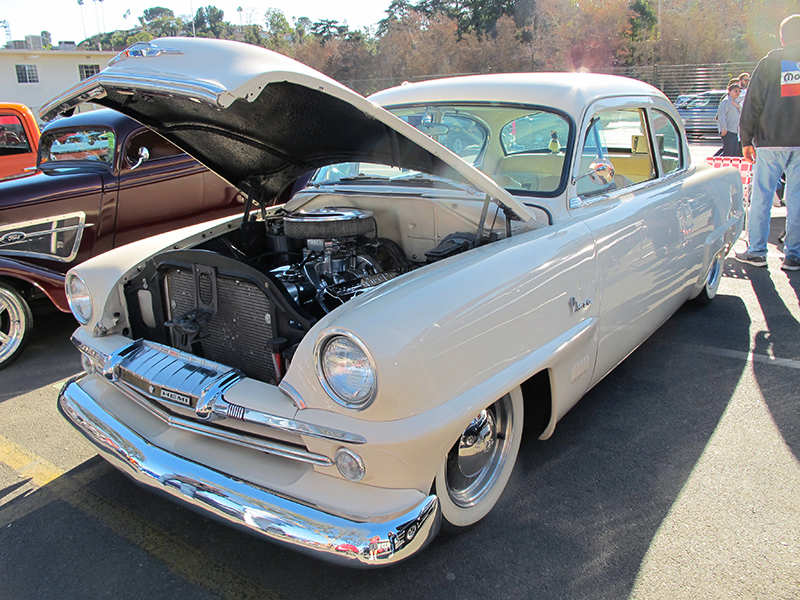 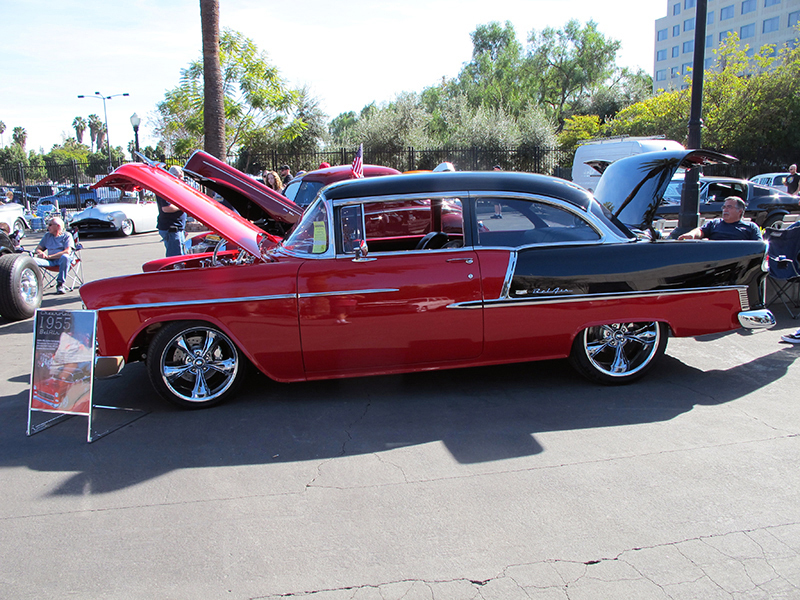 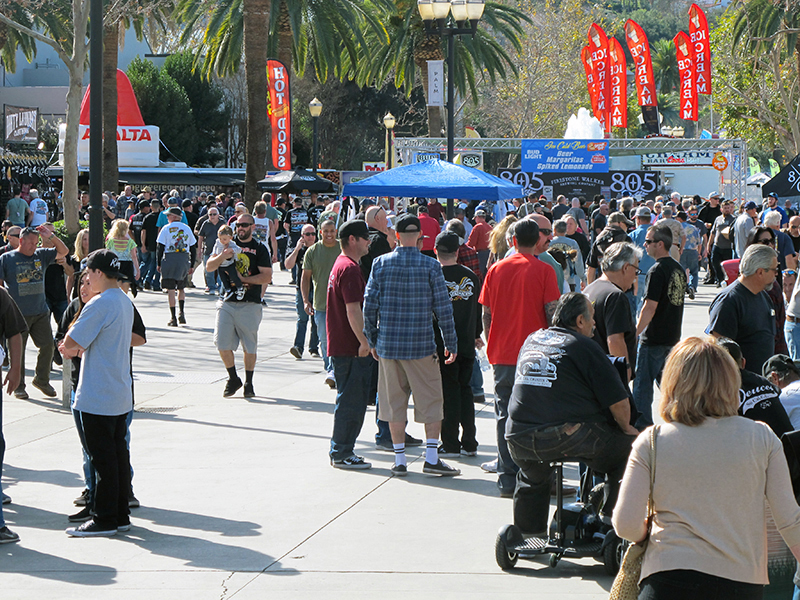 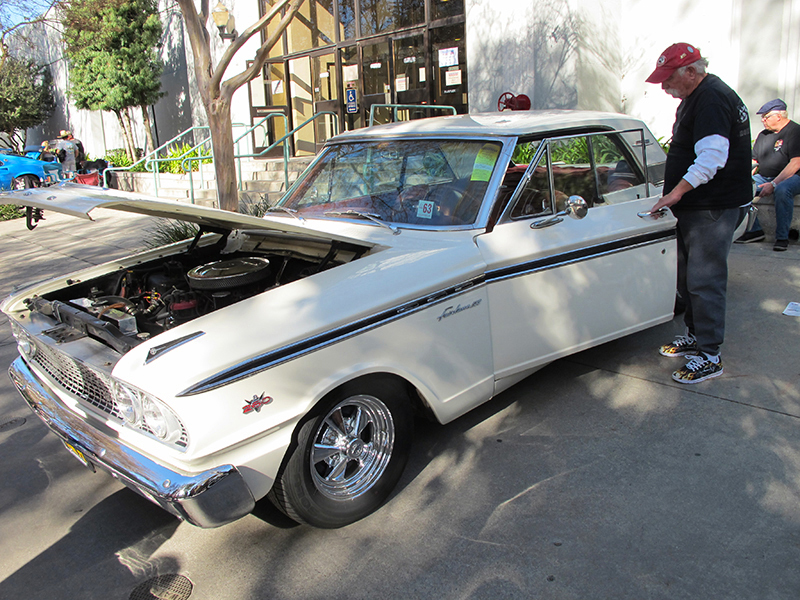 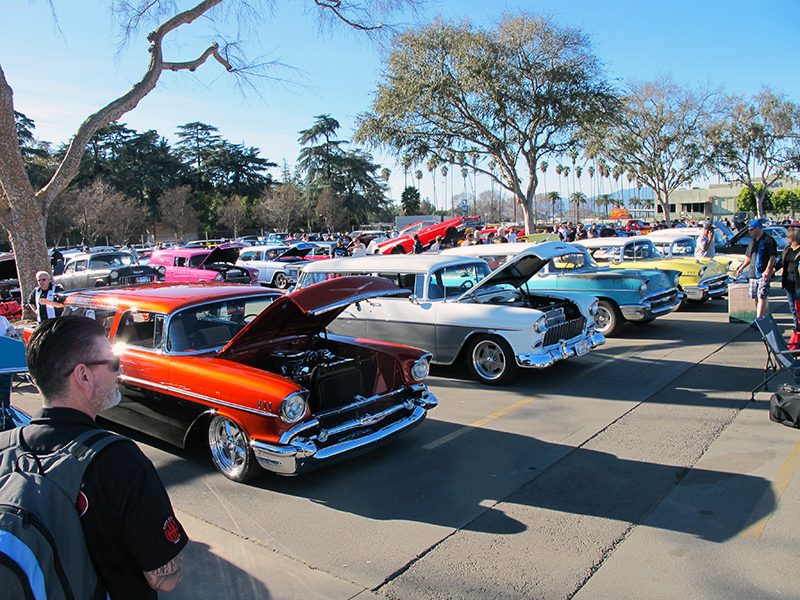 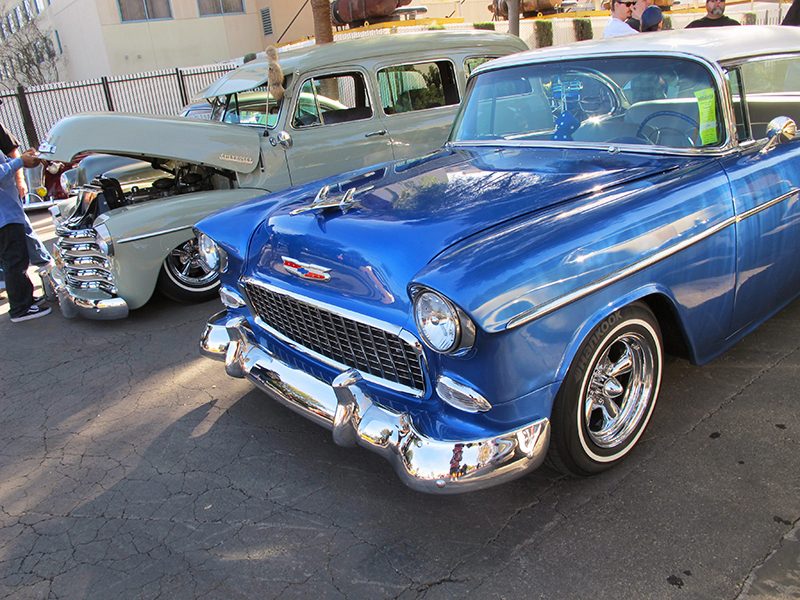 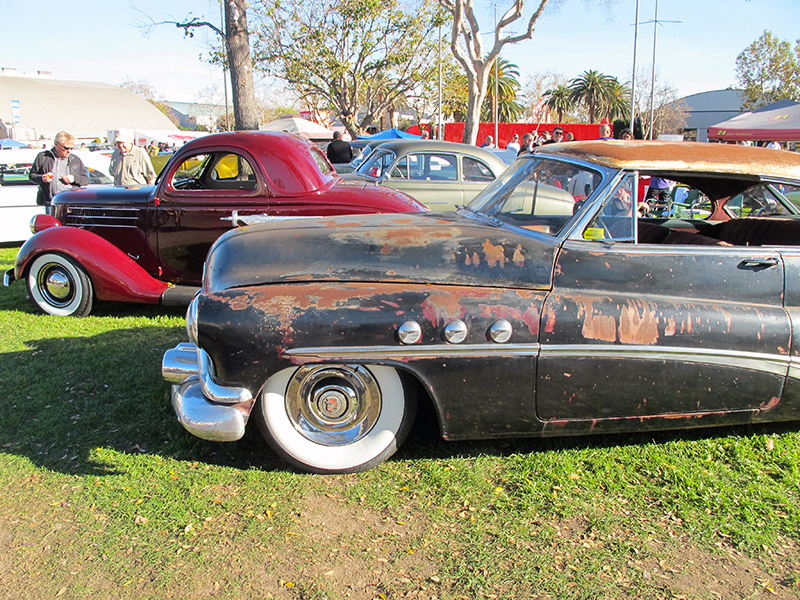 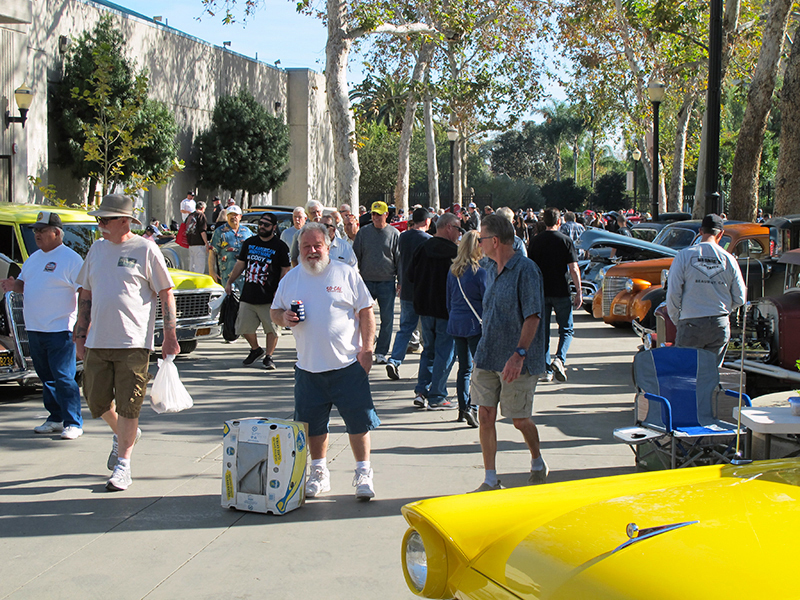 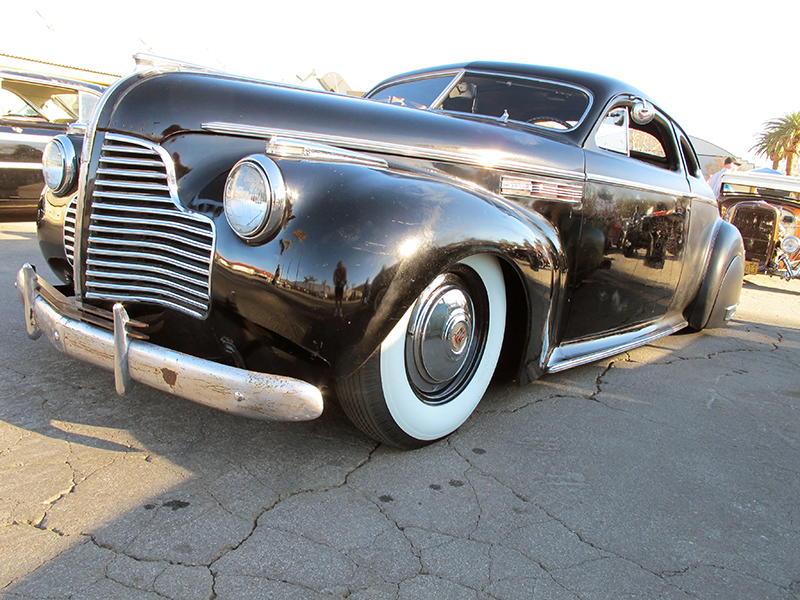 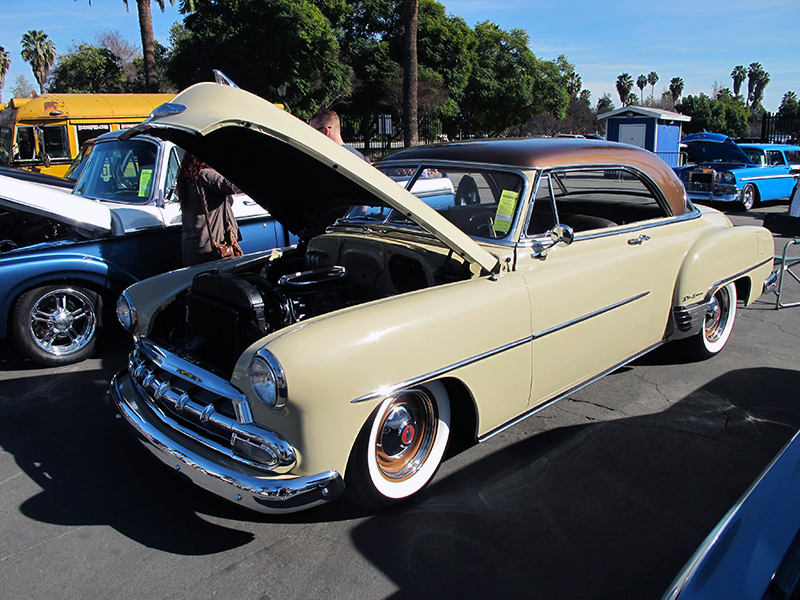 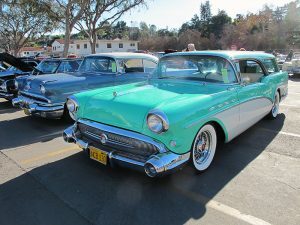 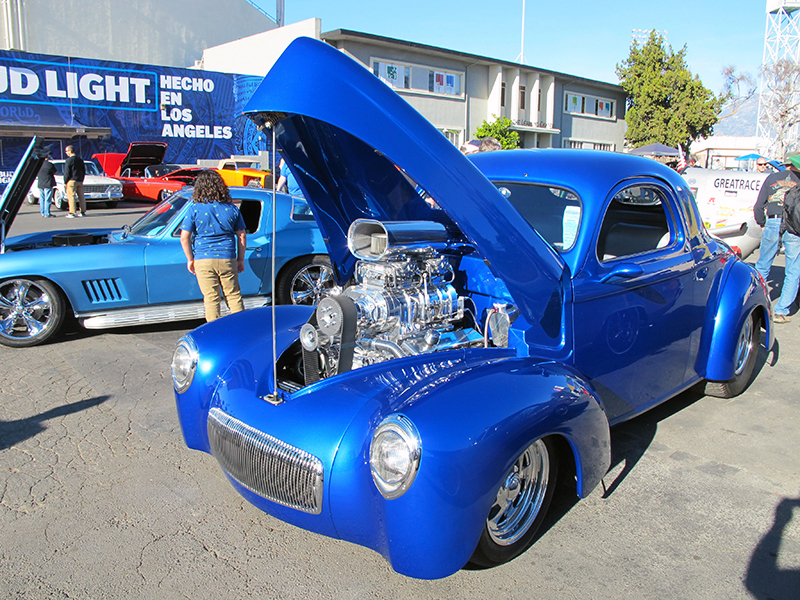 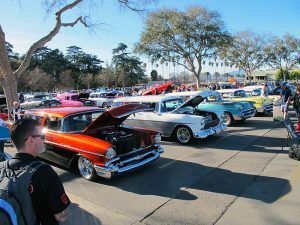 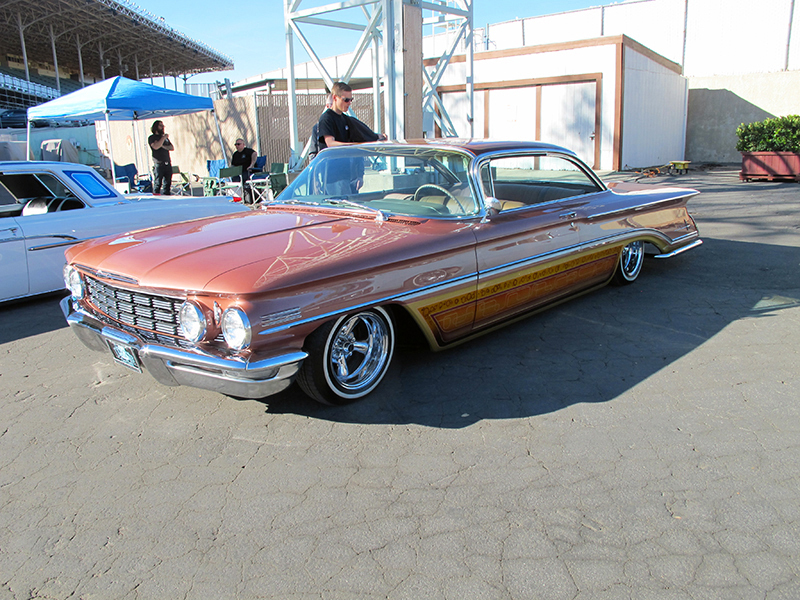 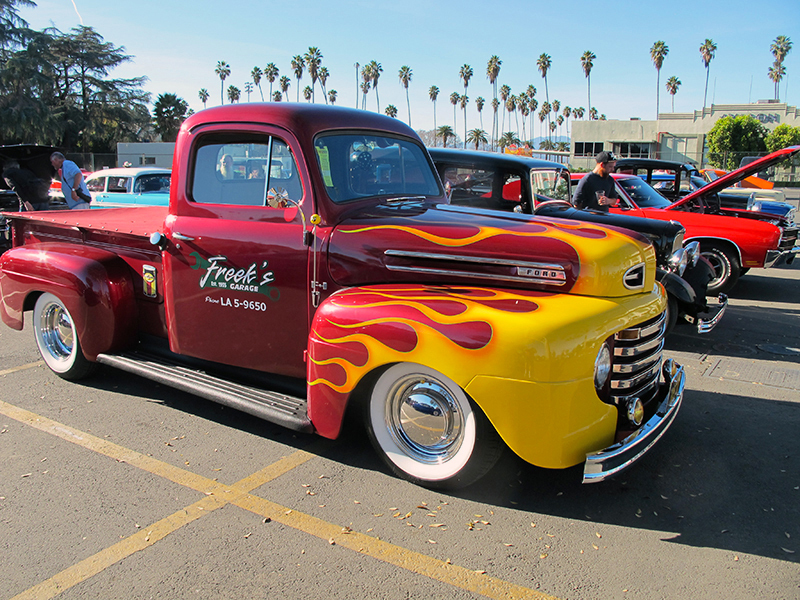 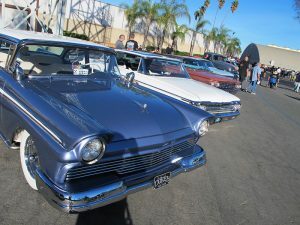 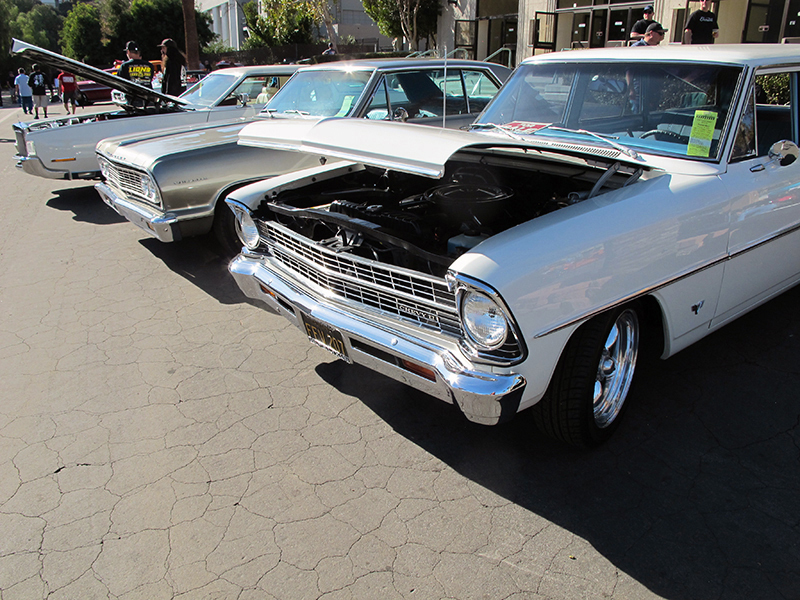 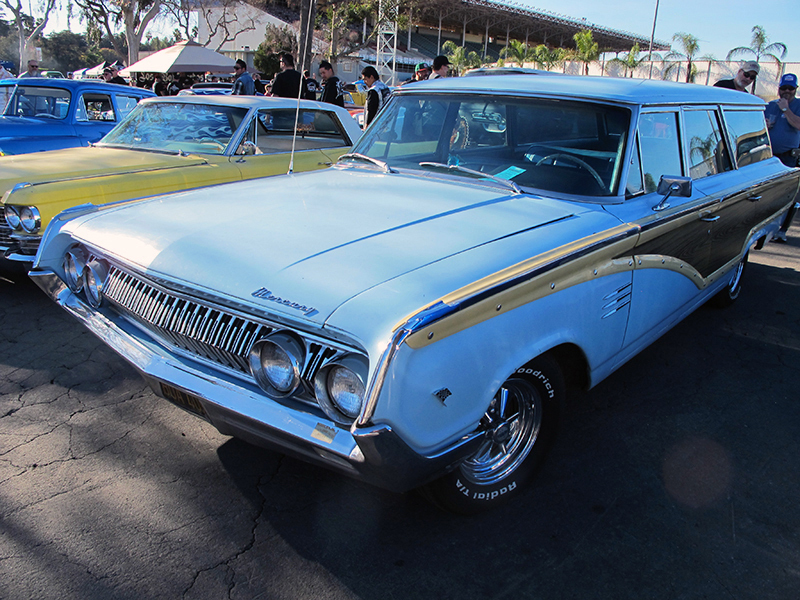 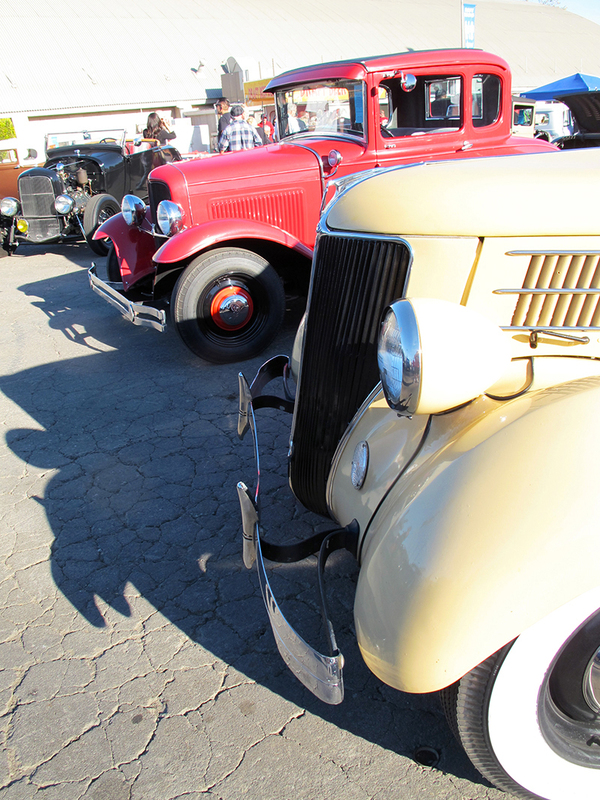 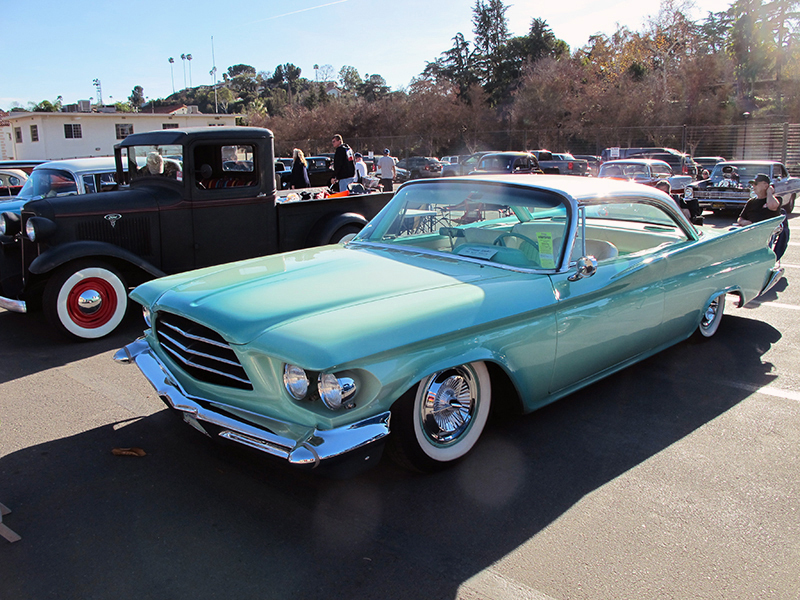 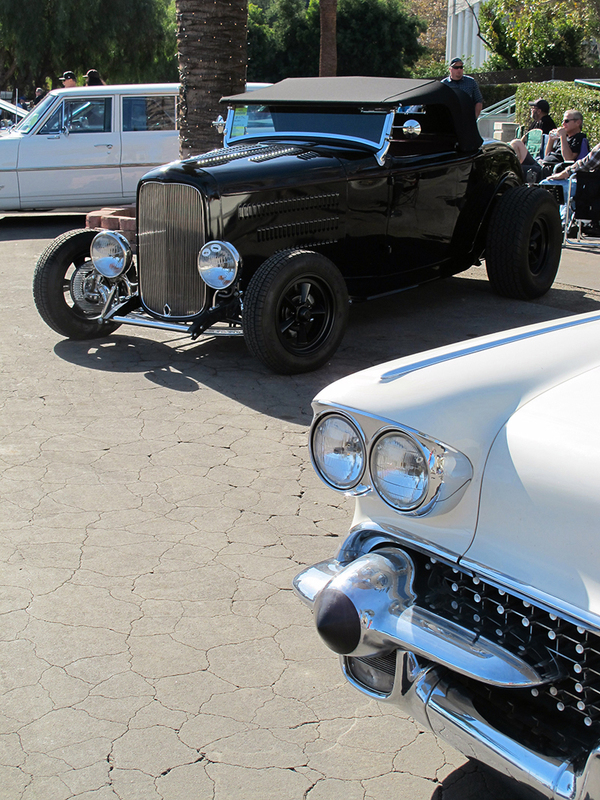 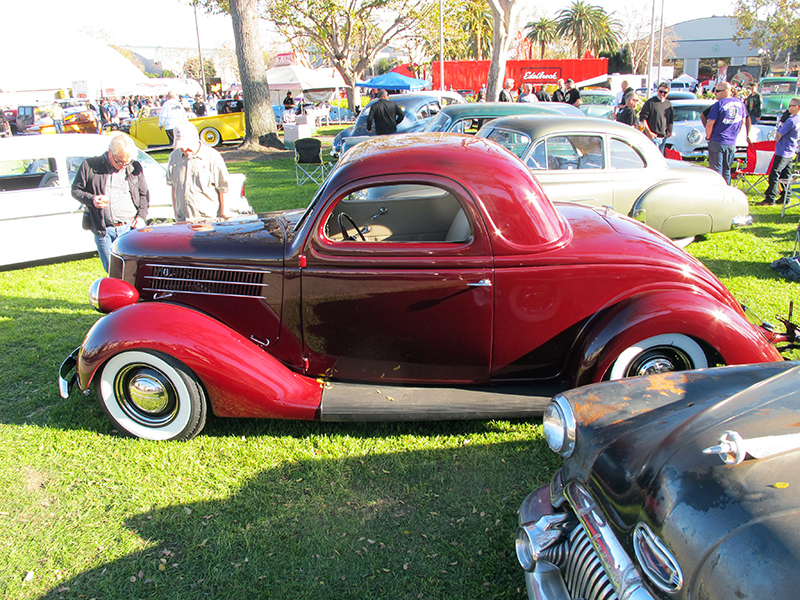 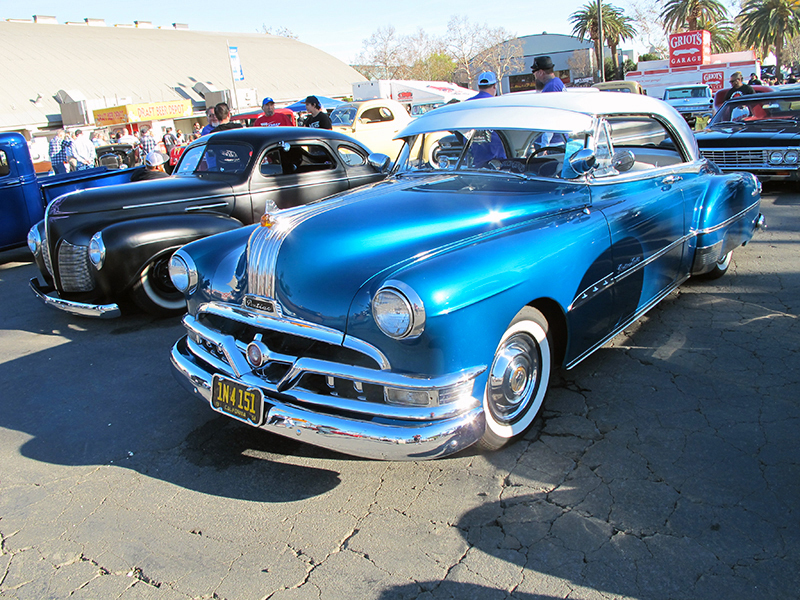 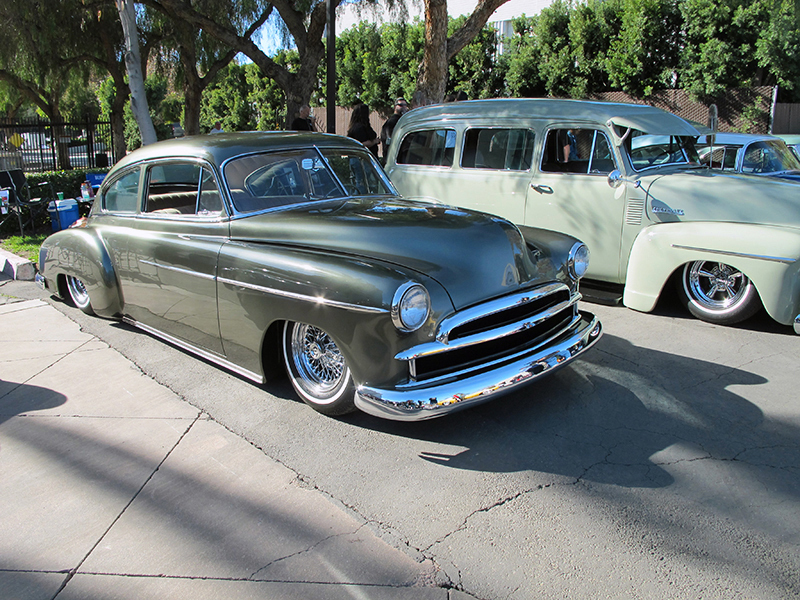 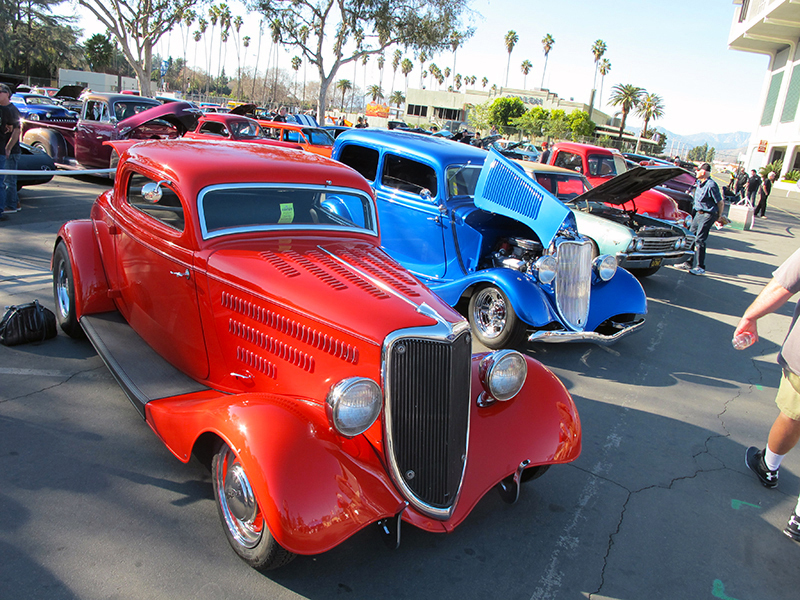 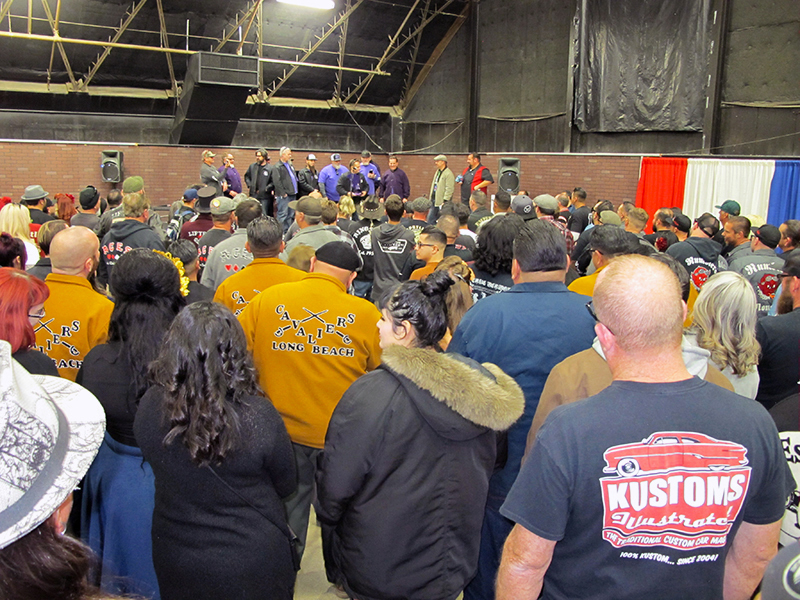 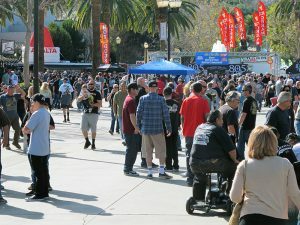 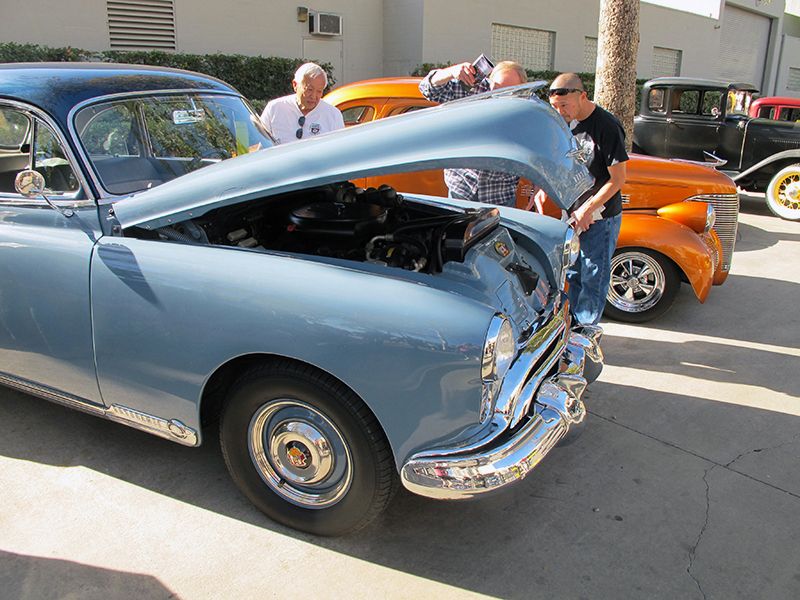 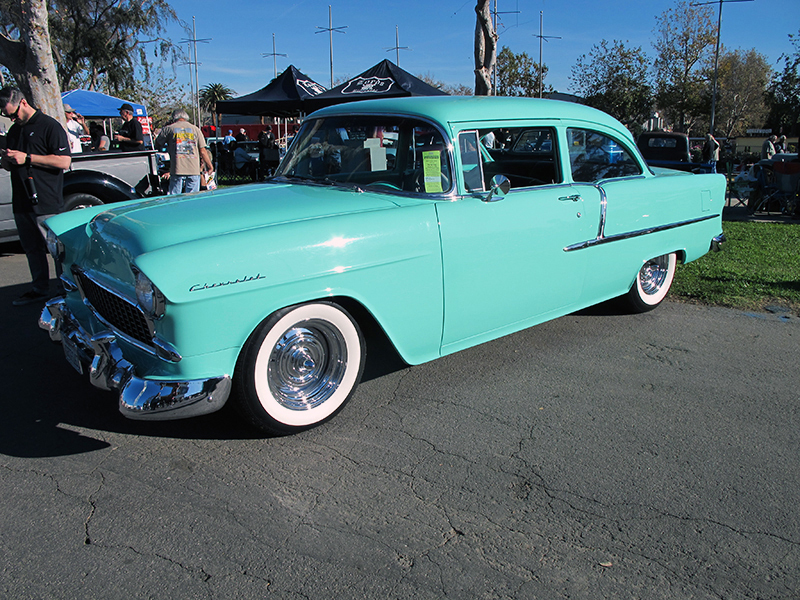 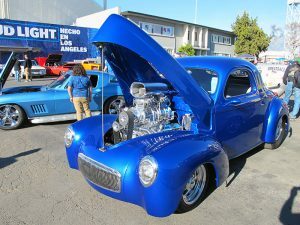 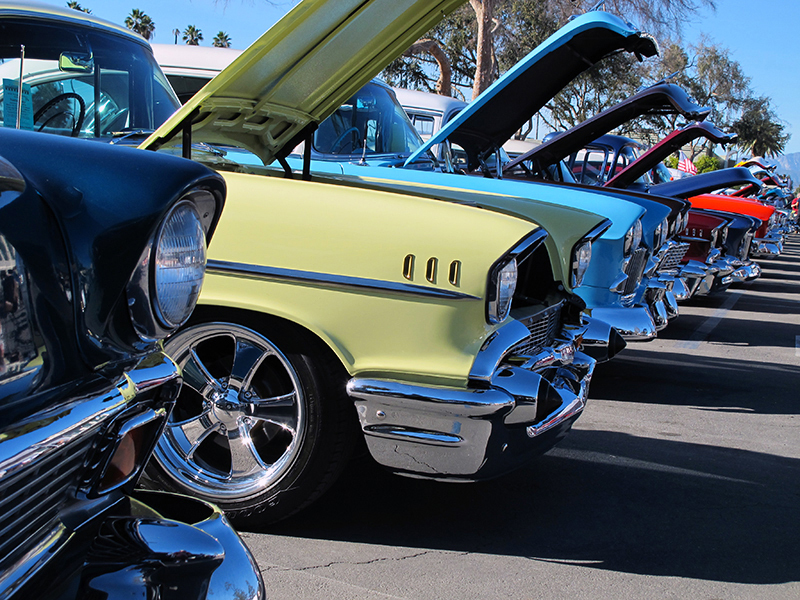 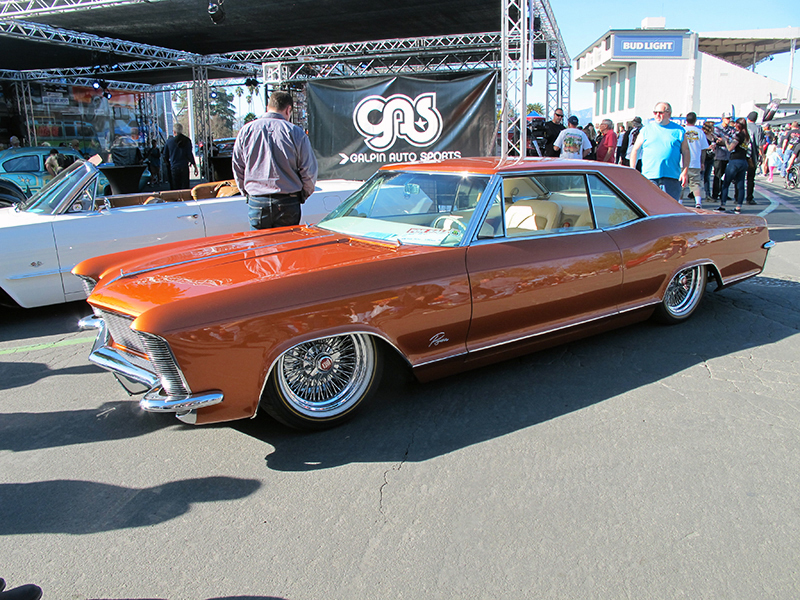 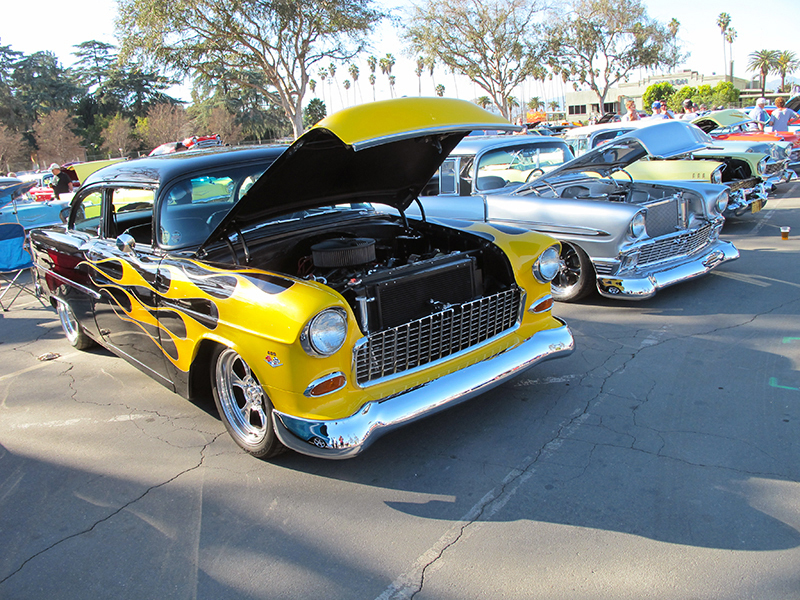 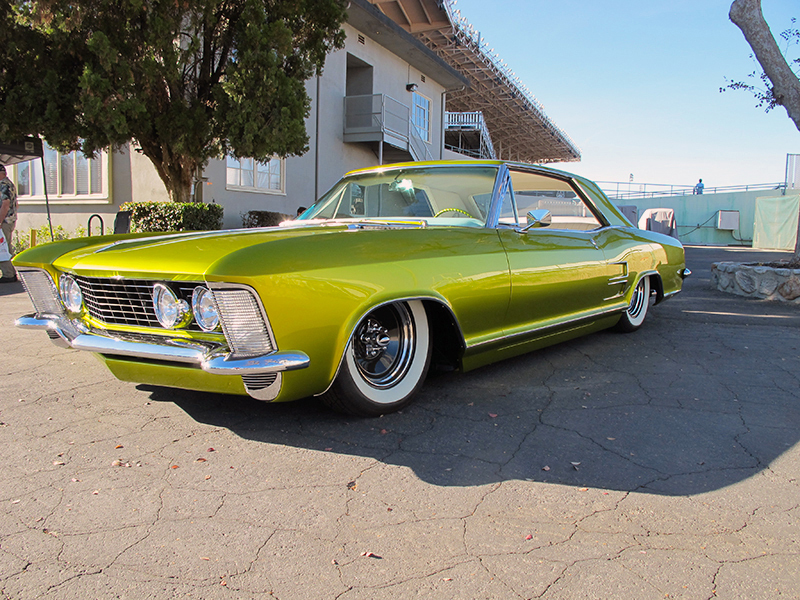 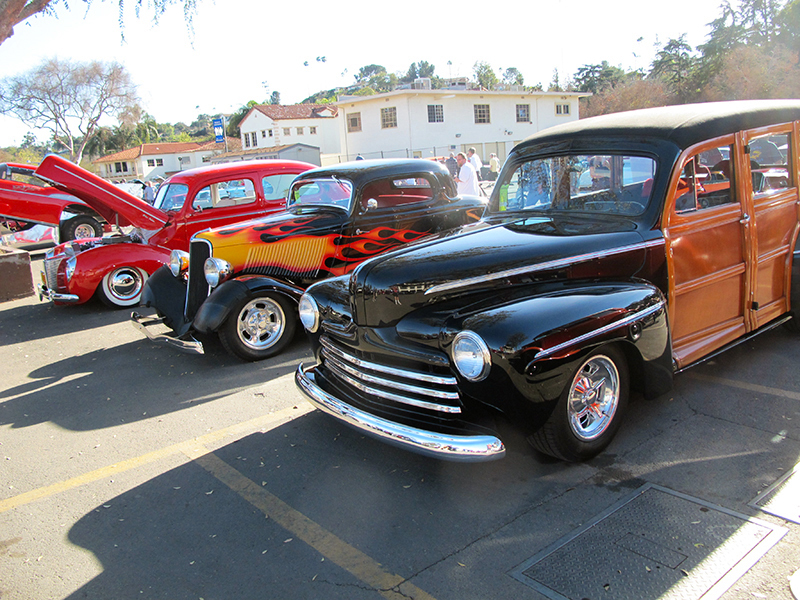 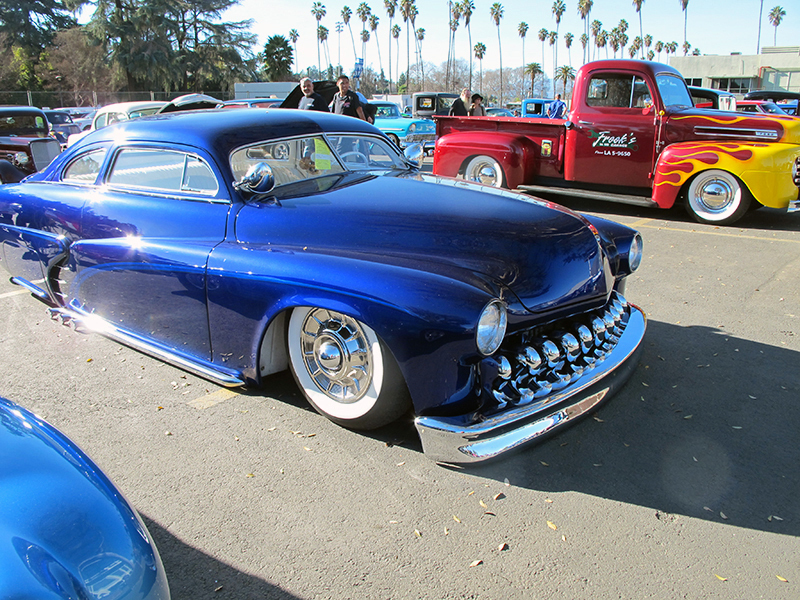 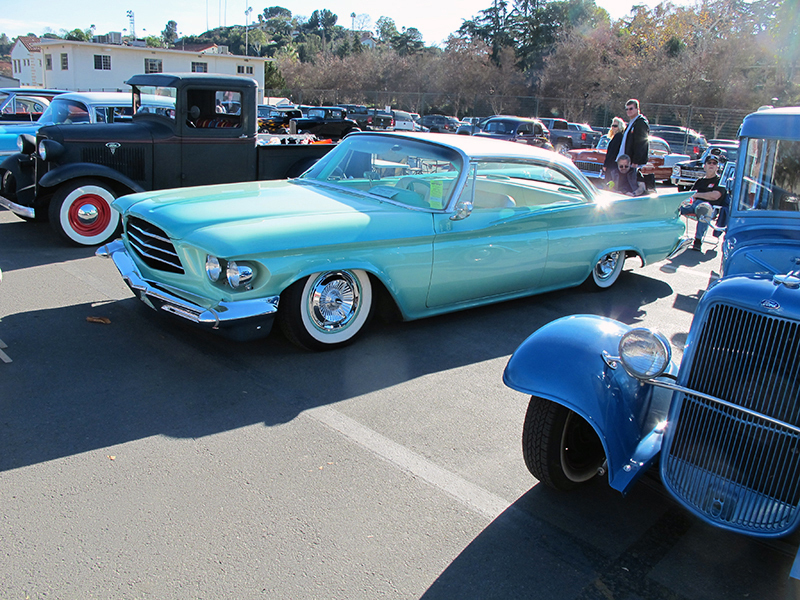 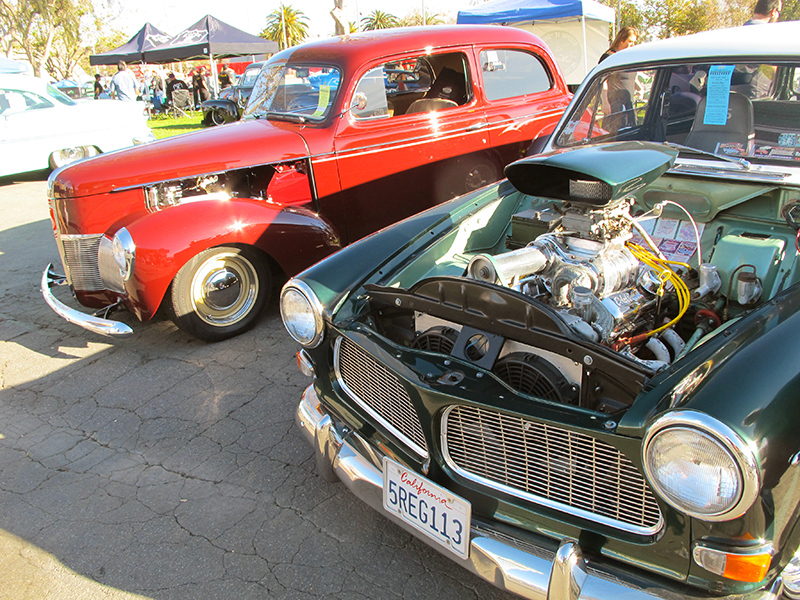 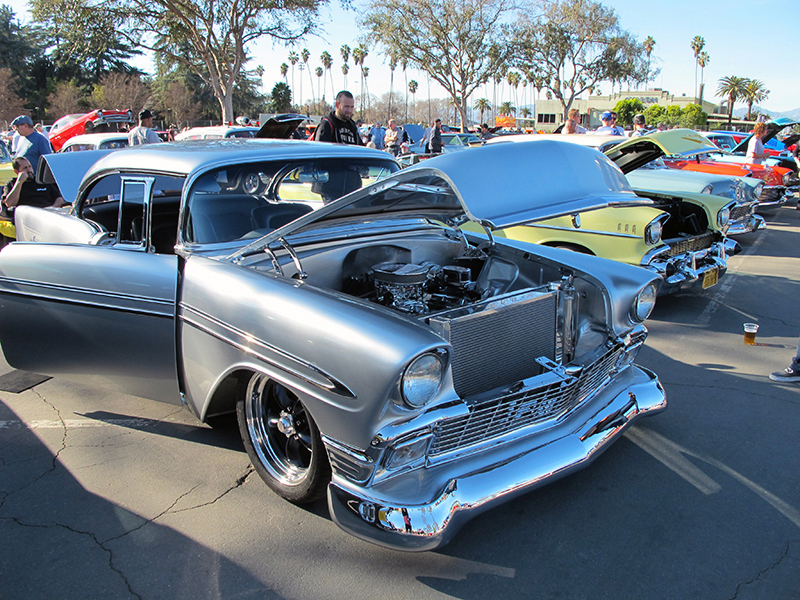 Saturday’s open cruise filled up the space between all of the buildings and a good part of the fairgrounds. 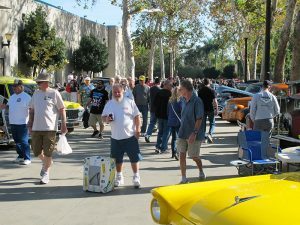 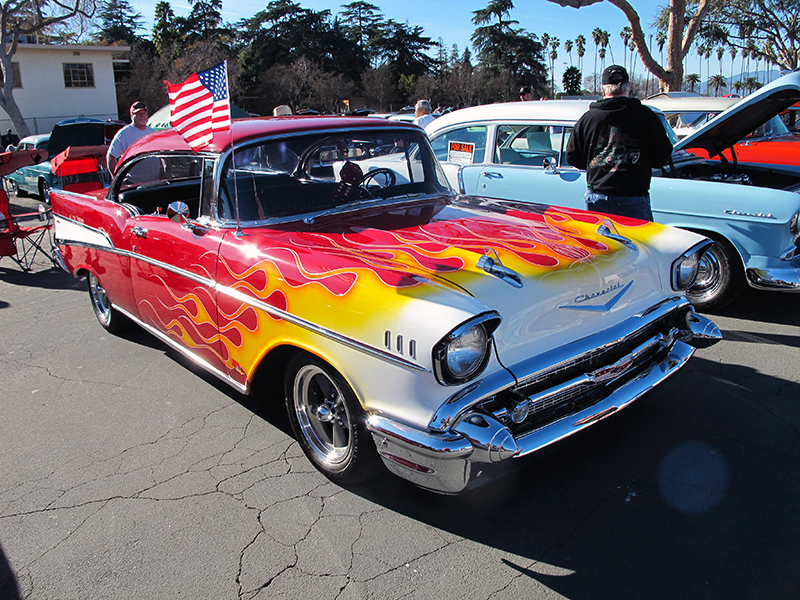 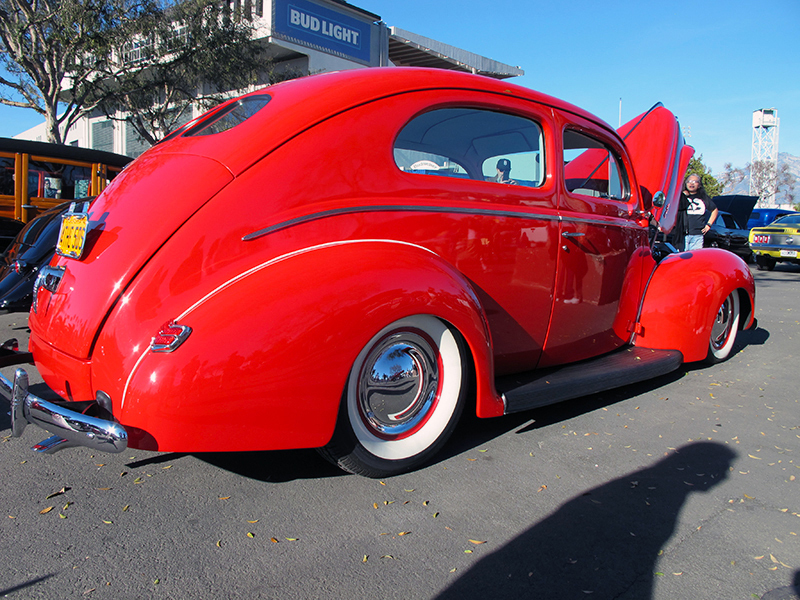 The weather was perfect, sunny and about 80 degrees, and the quality and sheer number of cars made it tough to get yourself back into the buildings to see the rest of the show. 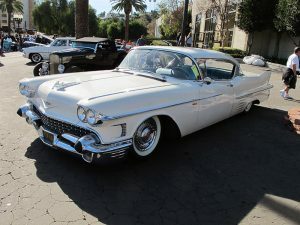 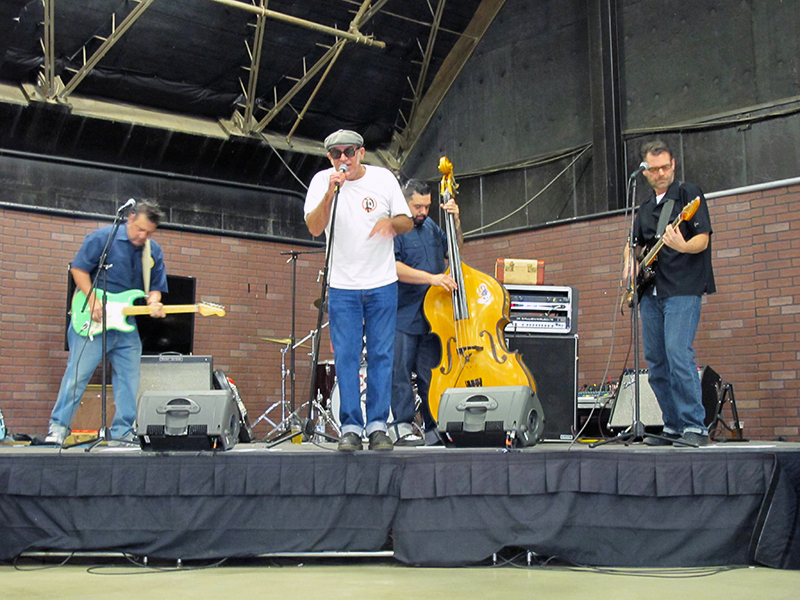 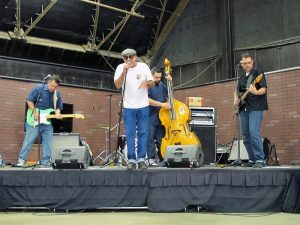 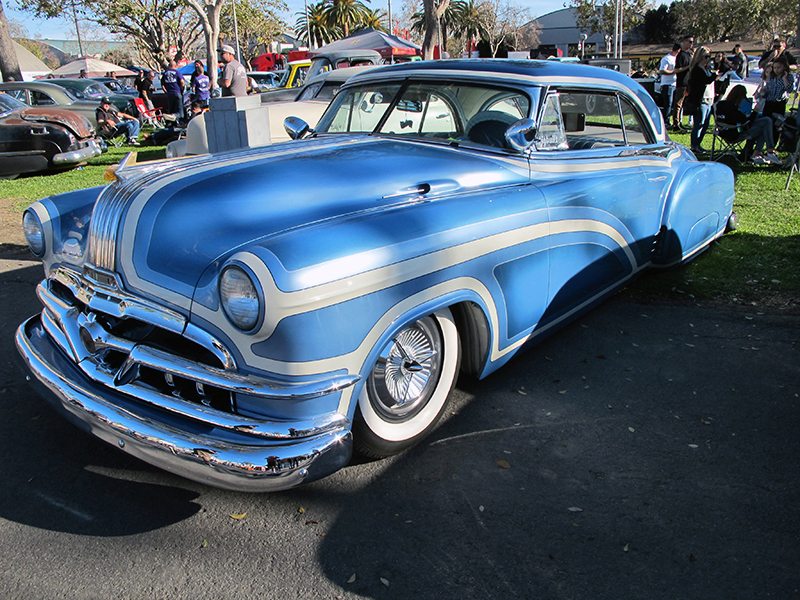 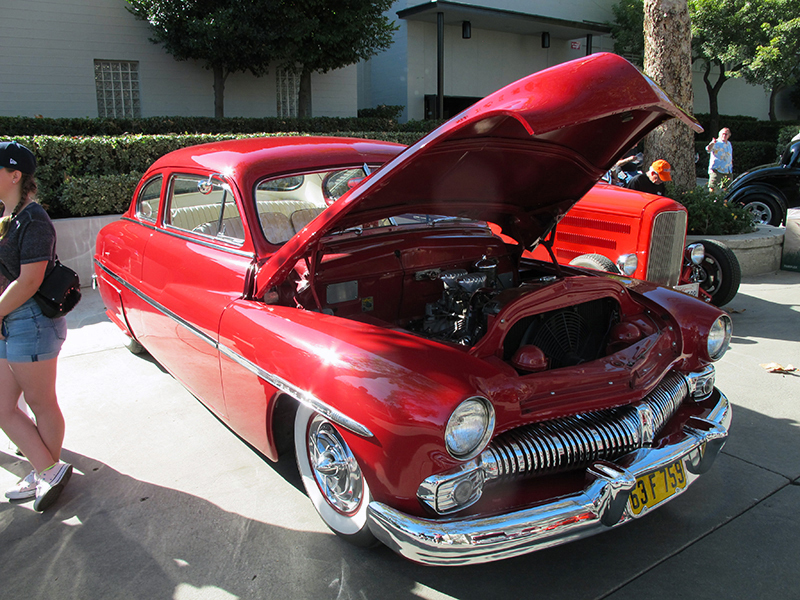 With live bands and beer outside, it wasn’t easy to redirect yourself back indoors for the big Pinstripers Charity Auction, Model Car contest, and Pin Up Girl contest. 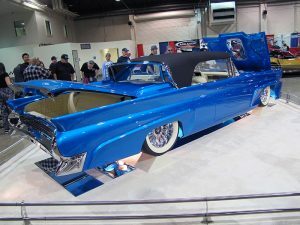 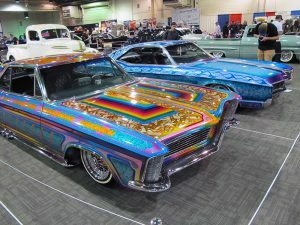 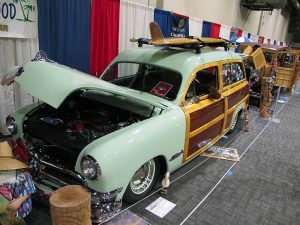 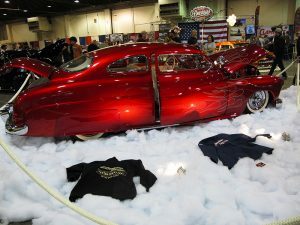 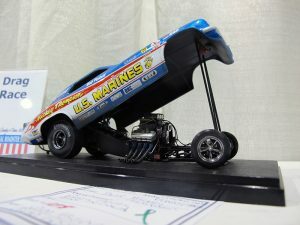 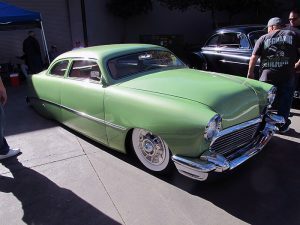 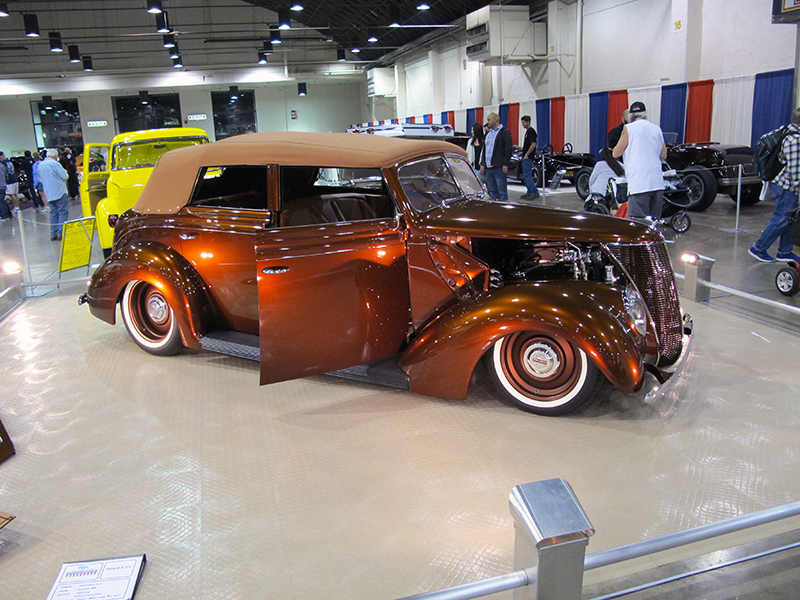 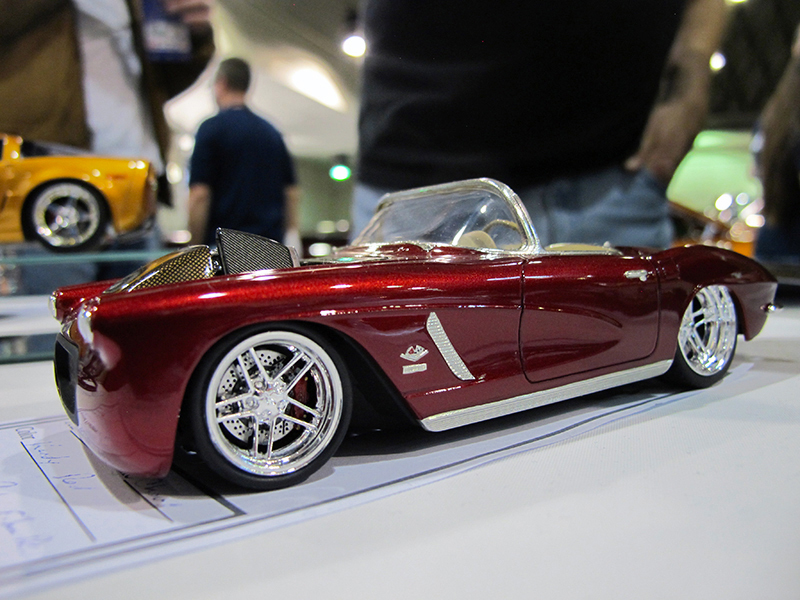 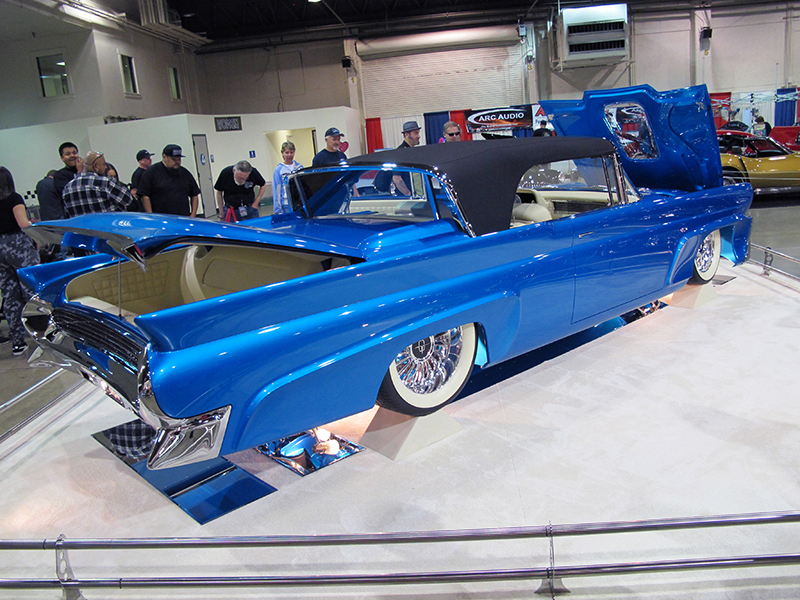 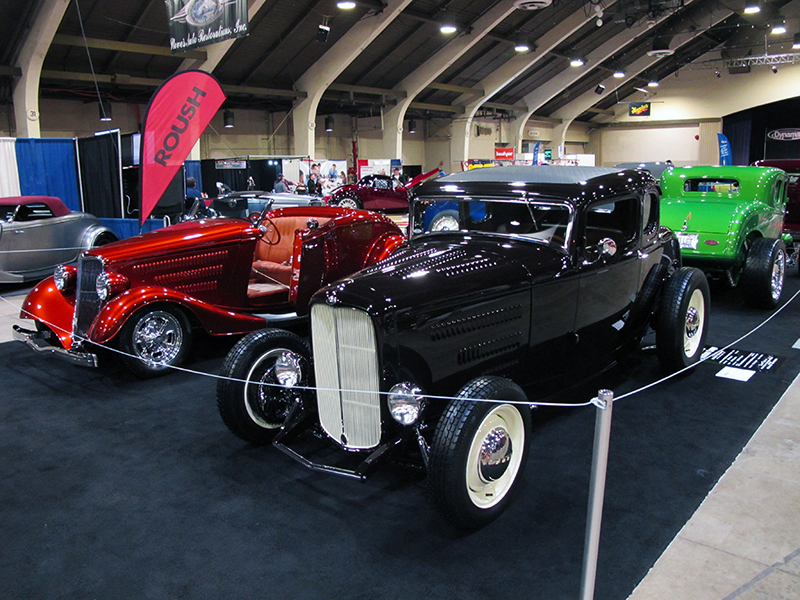 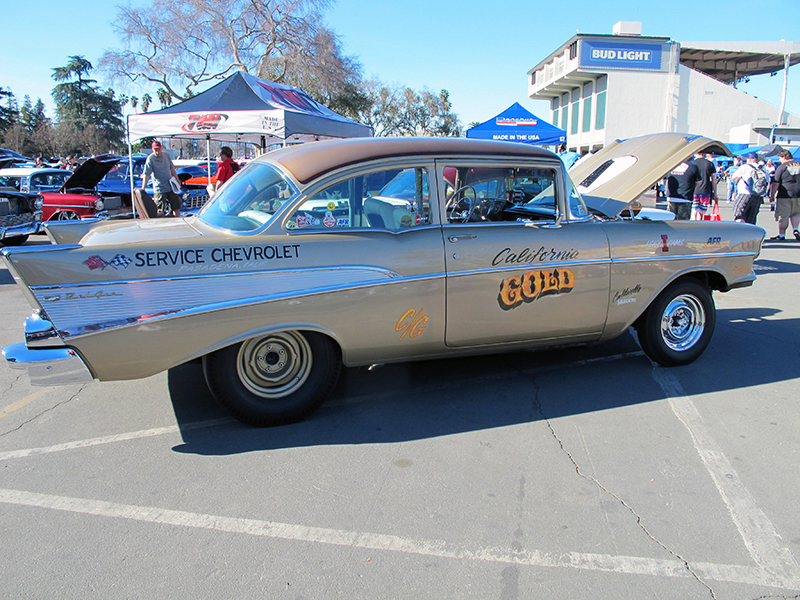 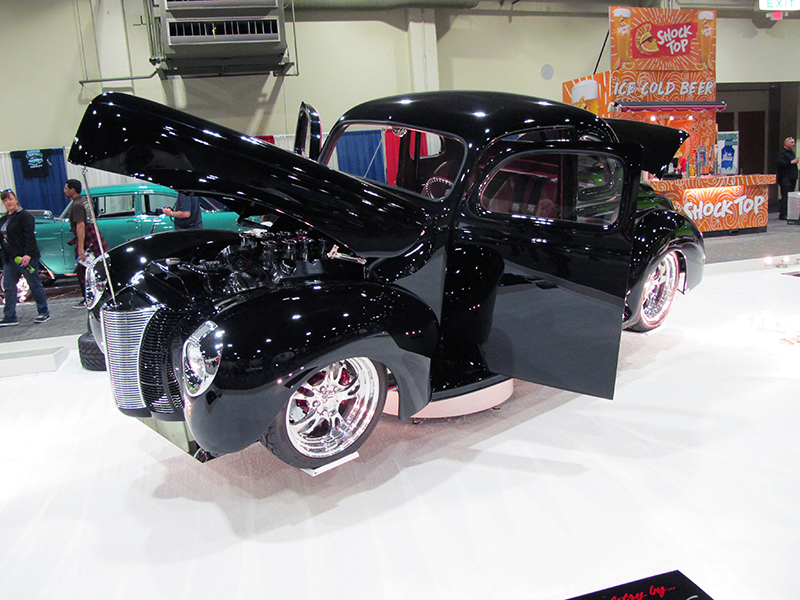 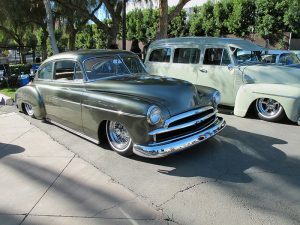 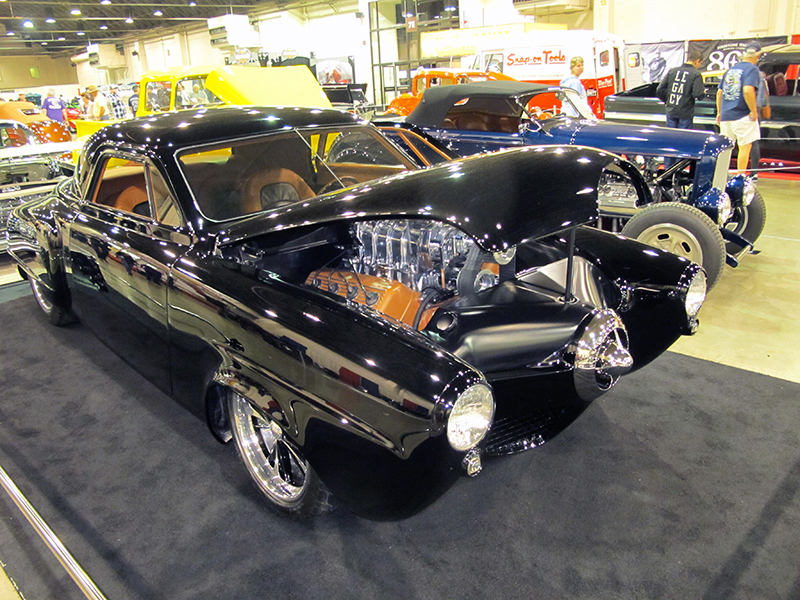 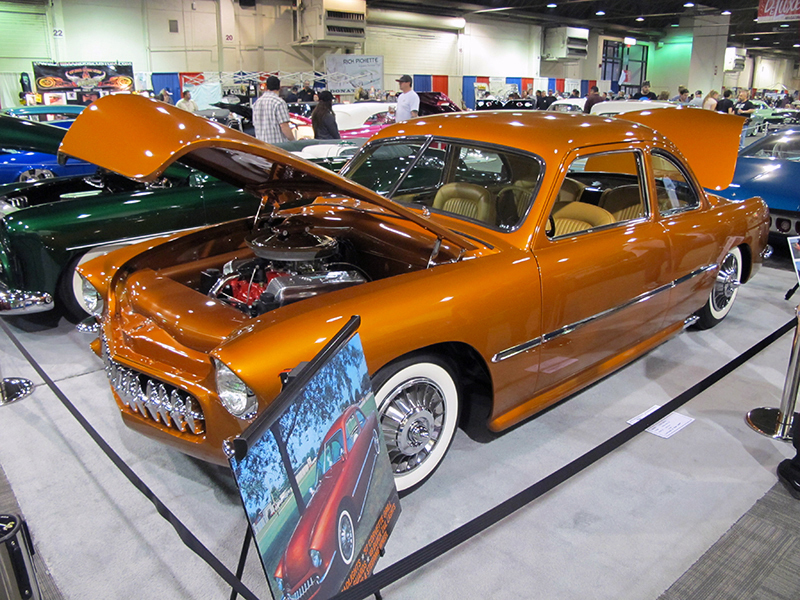 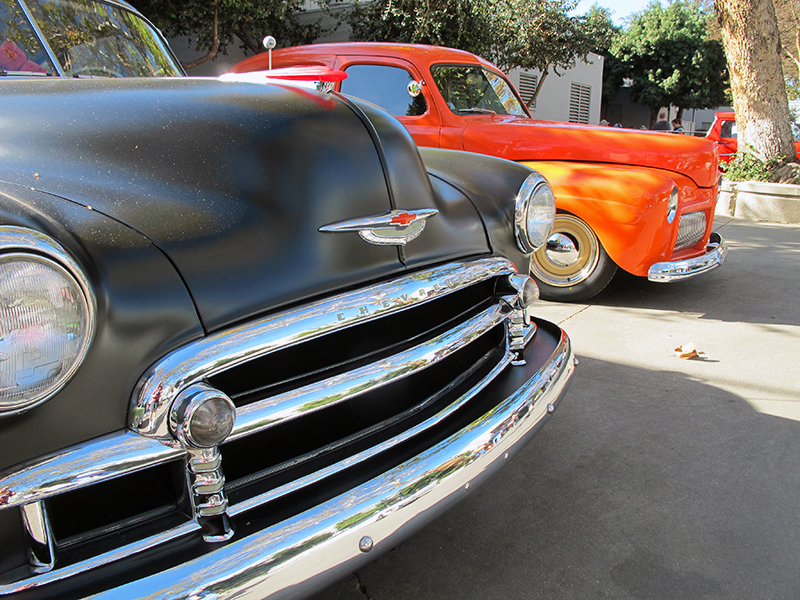 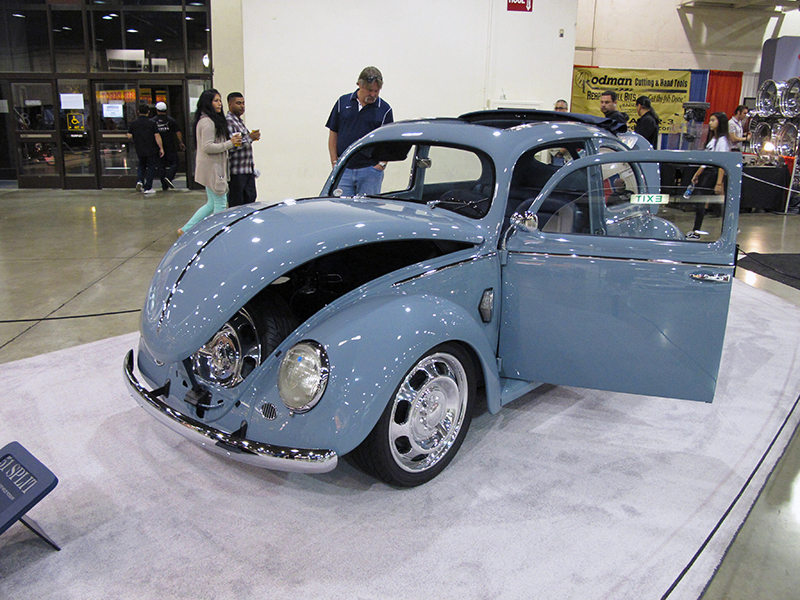 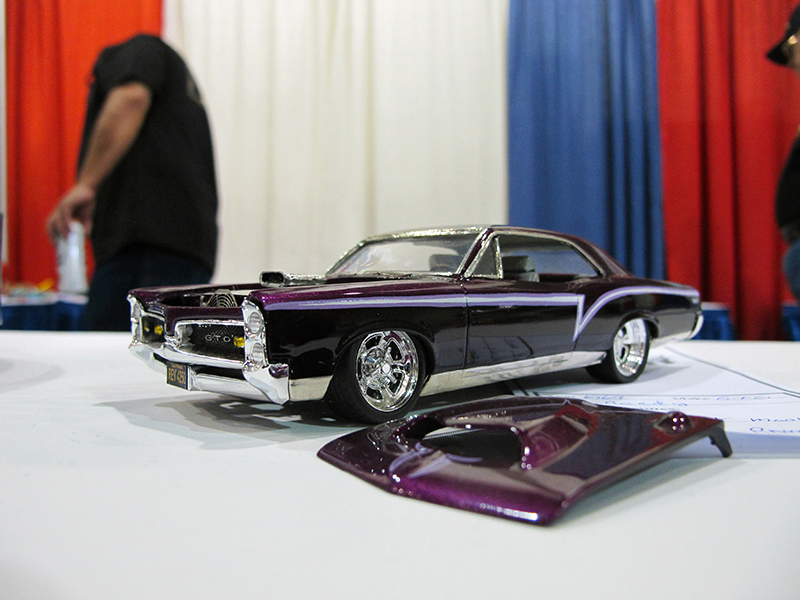 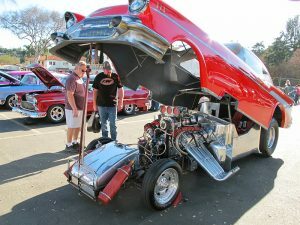 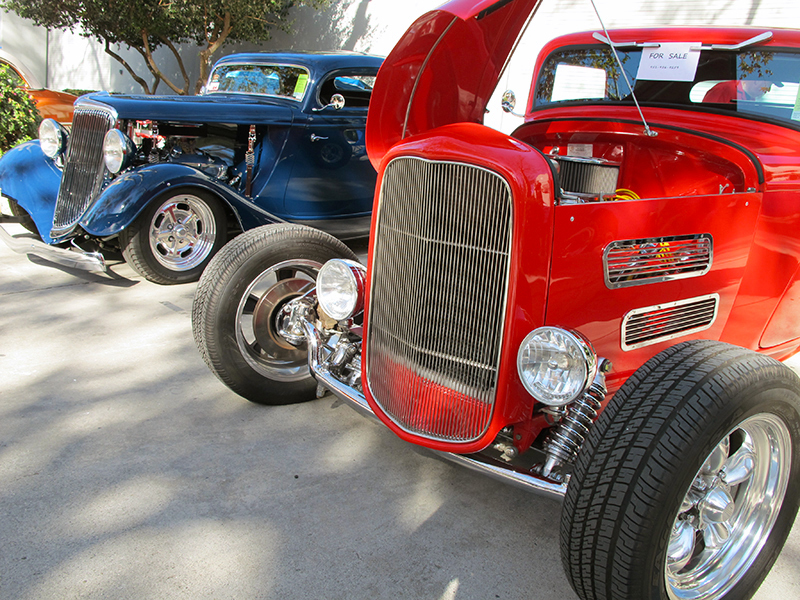 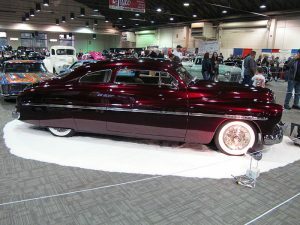 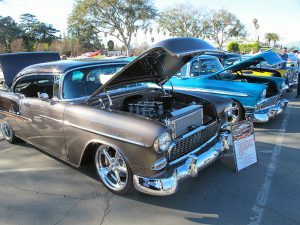 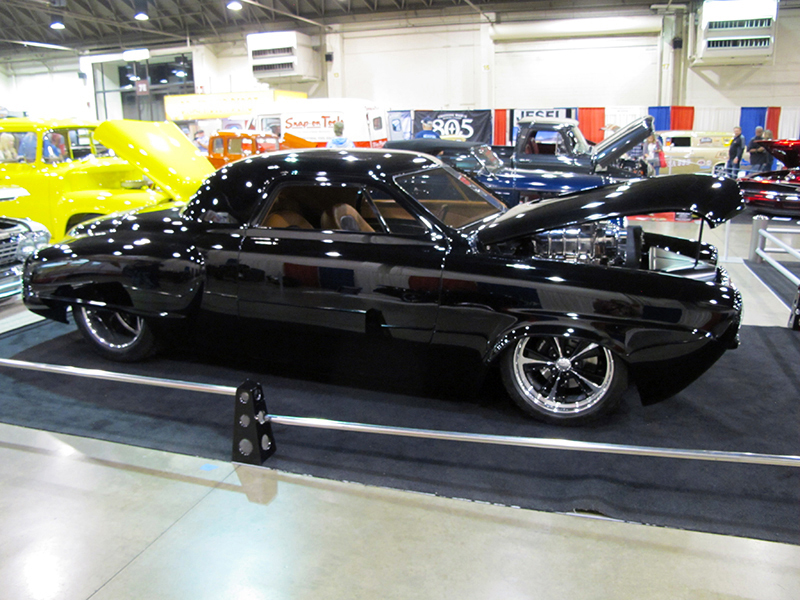 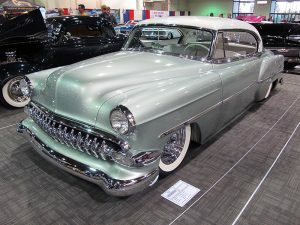 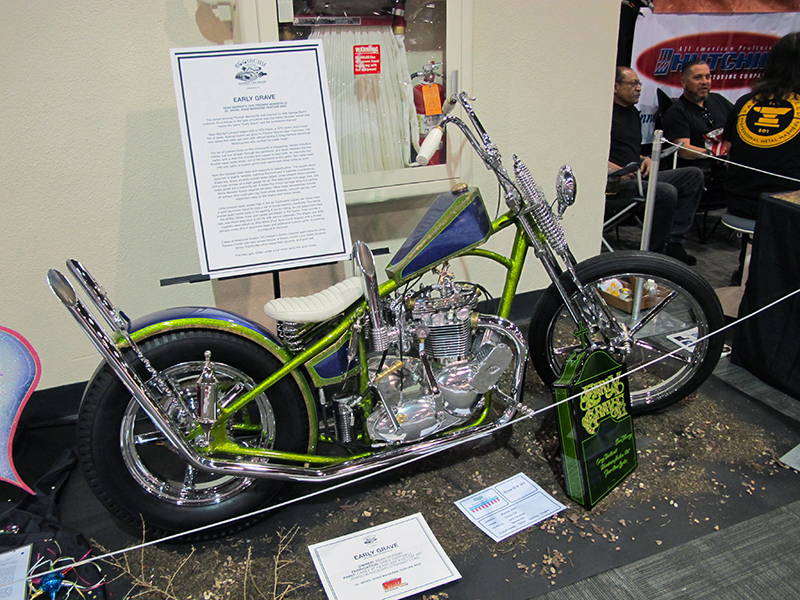 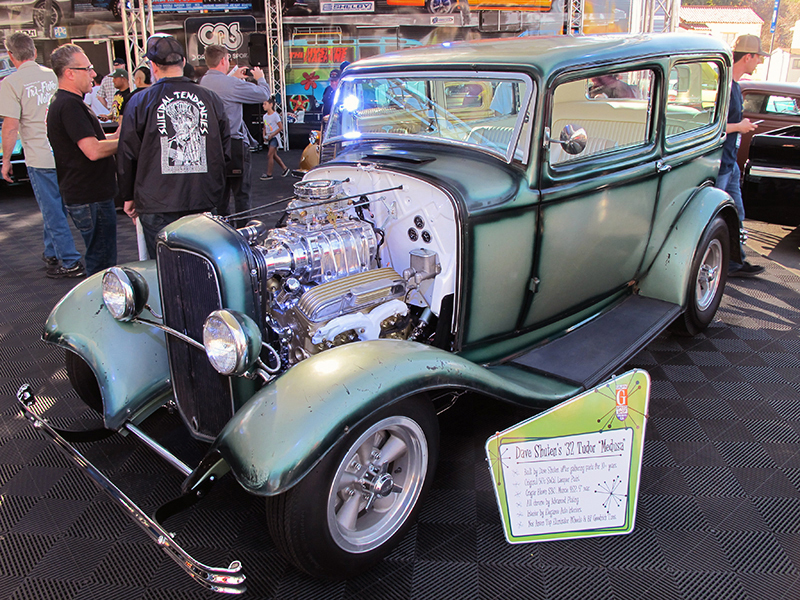 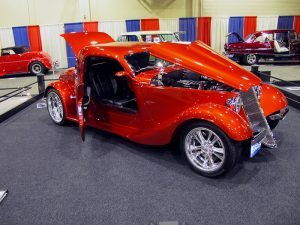 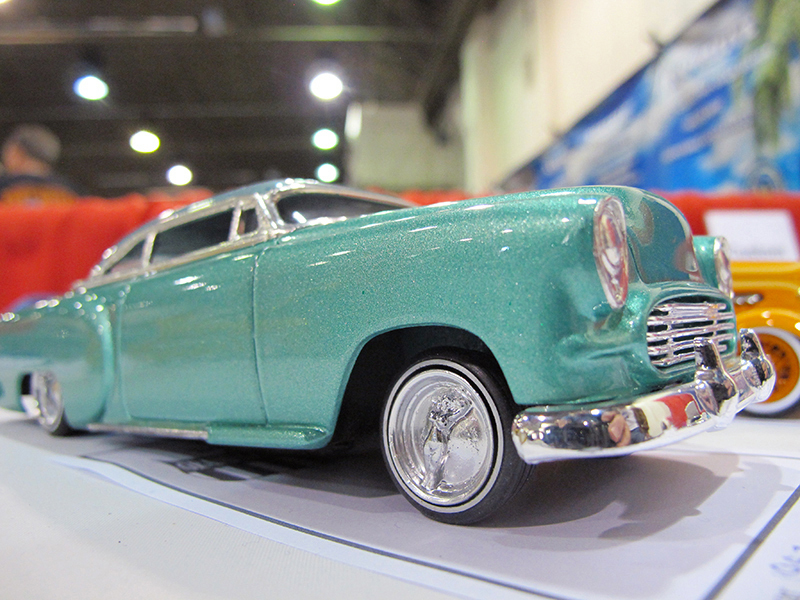 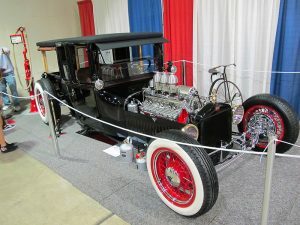 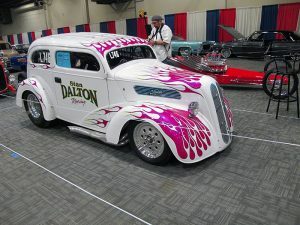 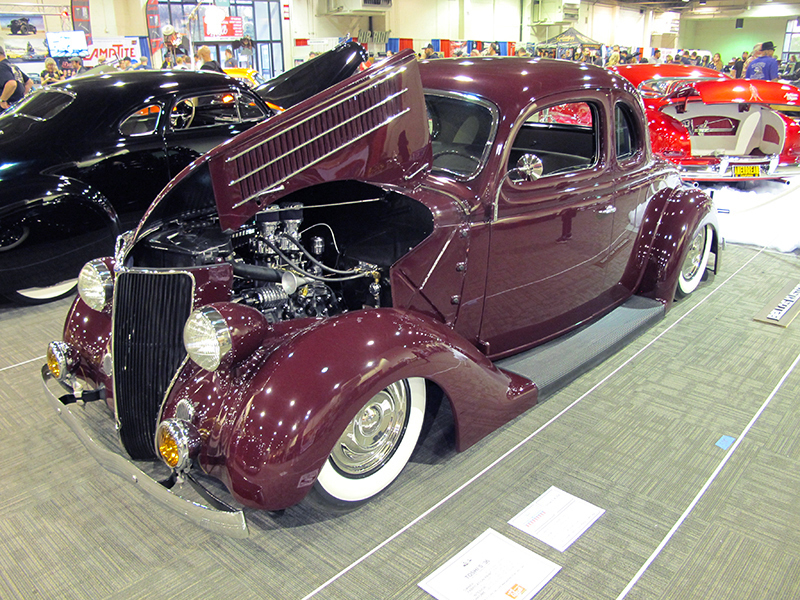 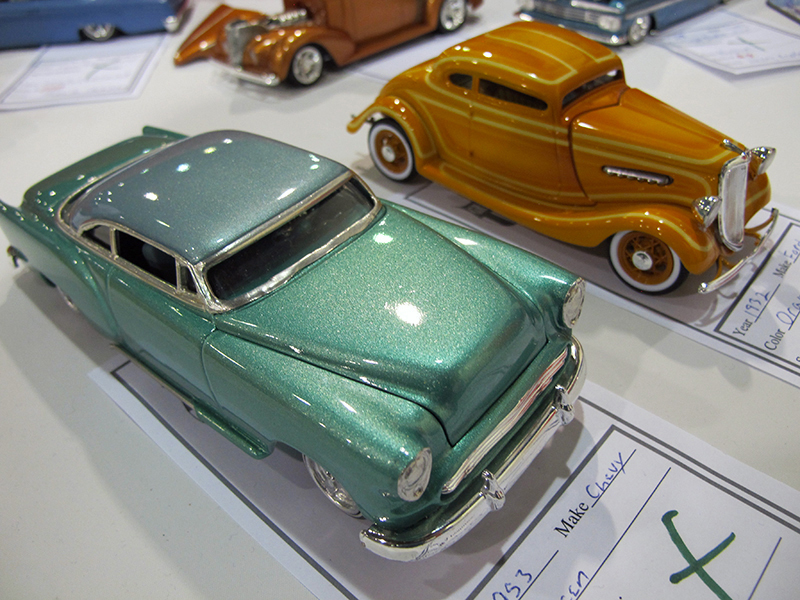 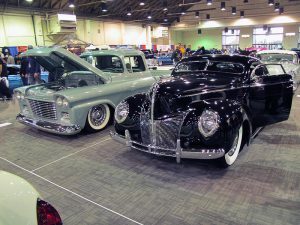 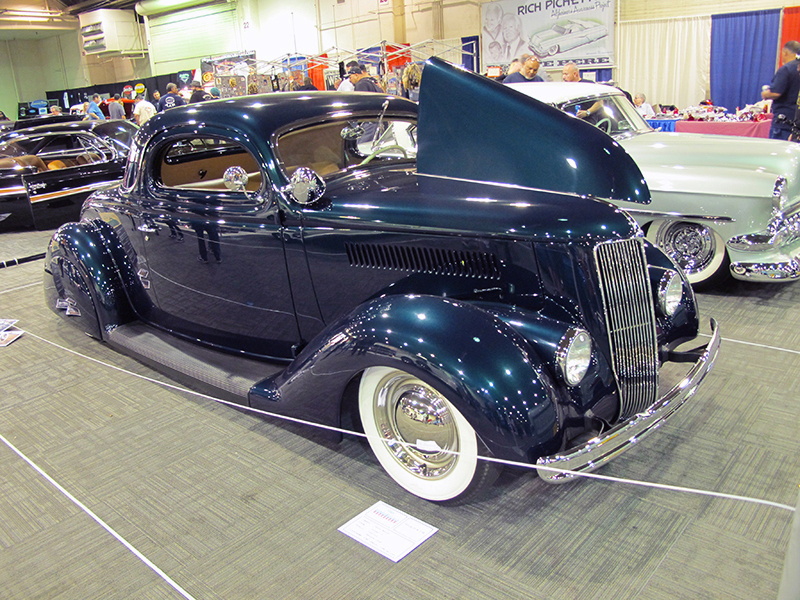 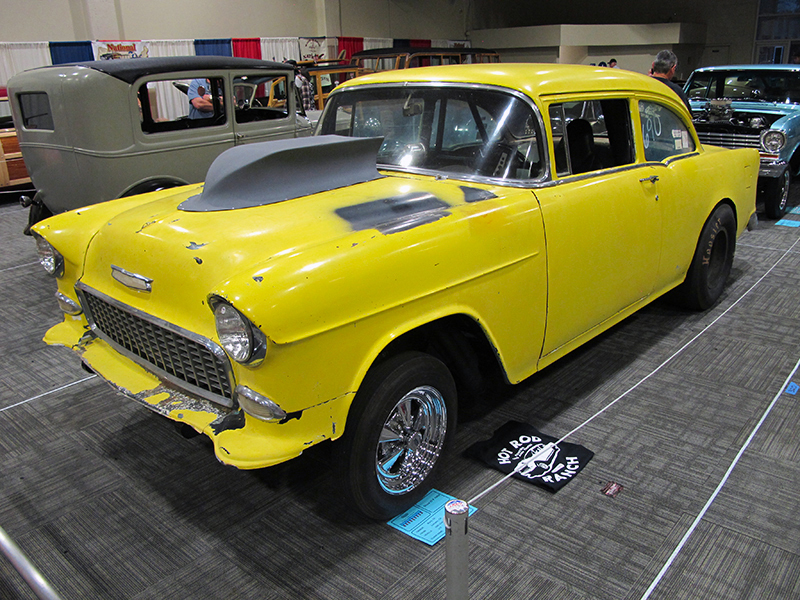 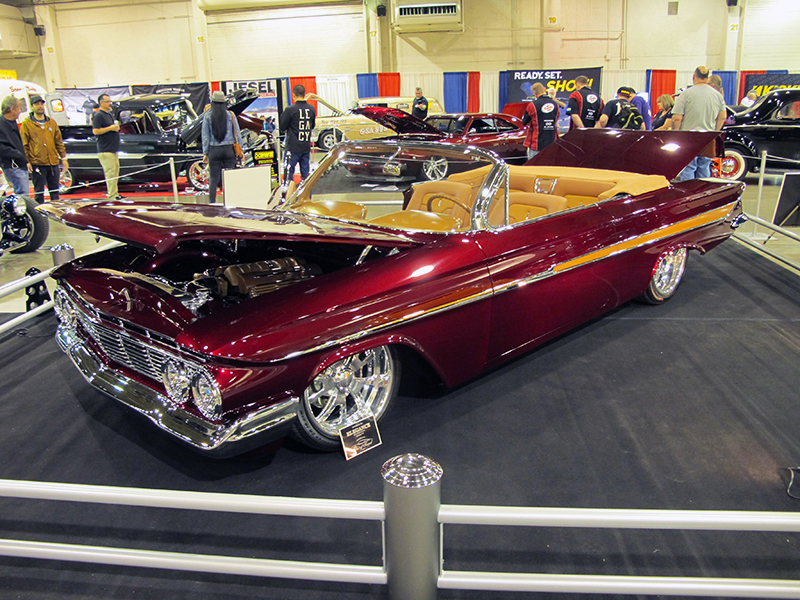 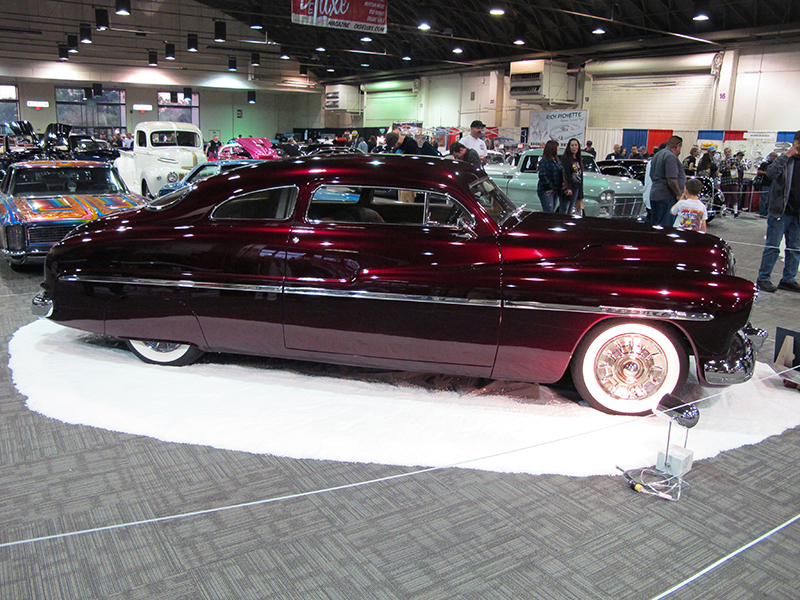 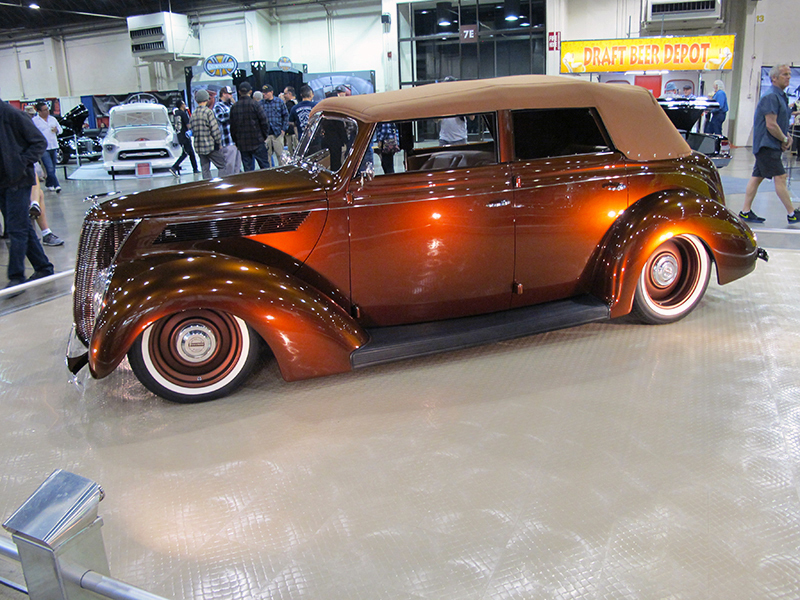 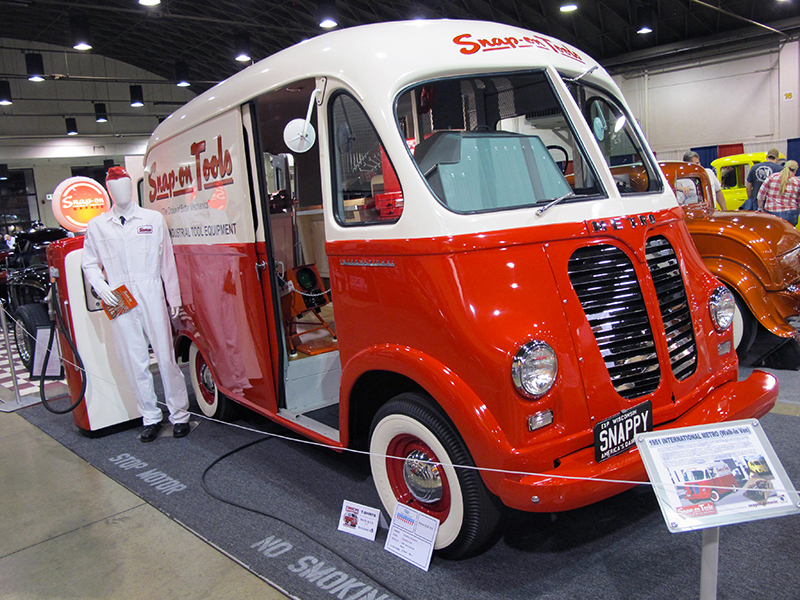 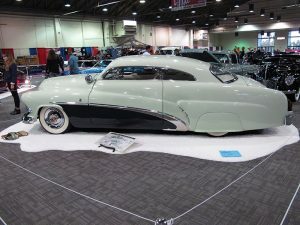 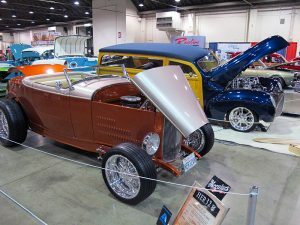 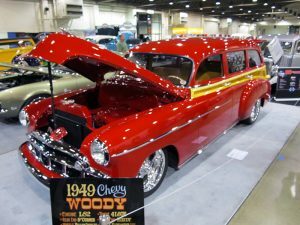 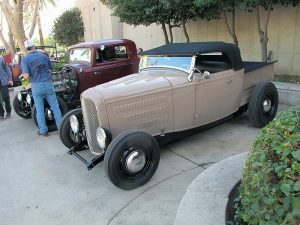 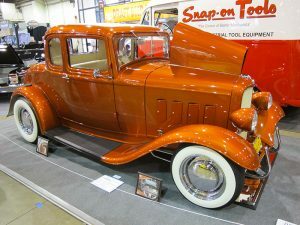 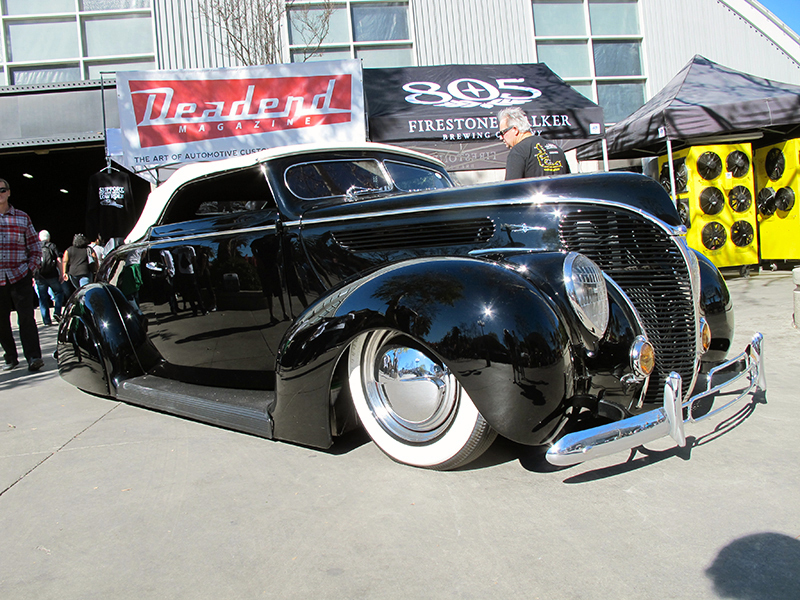 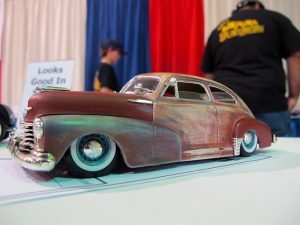 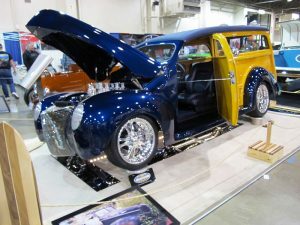 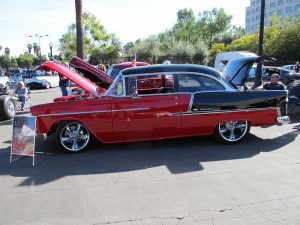 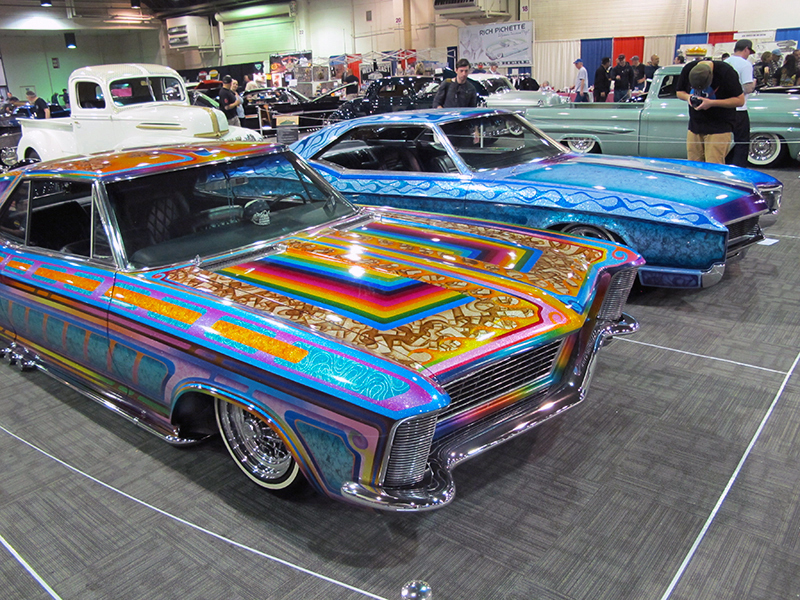 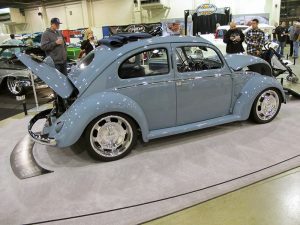 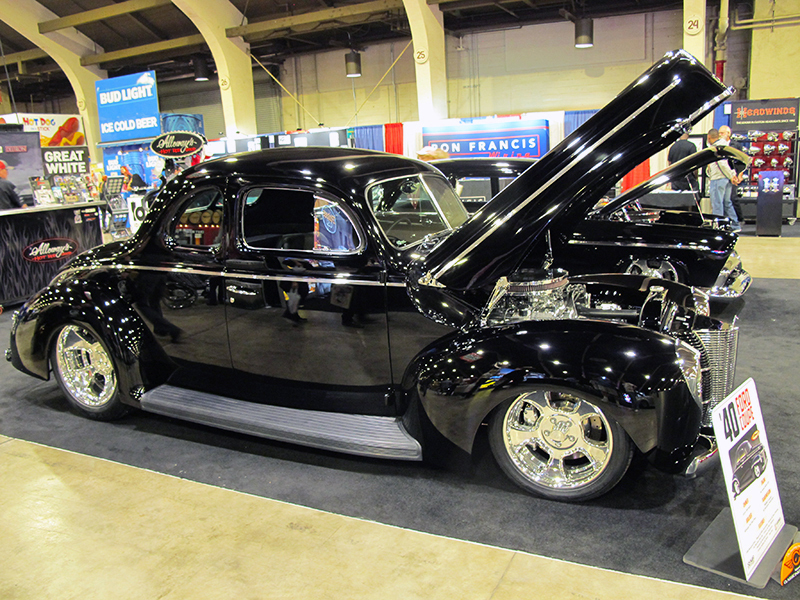 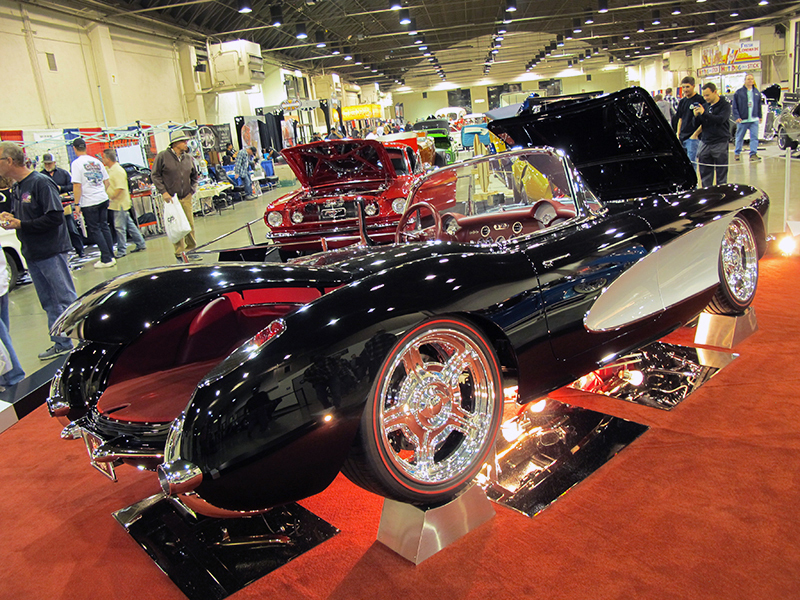 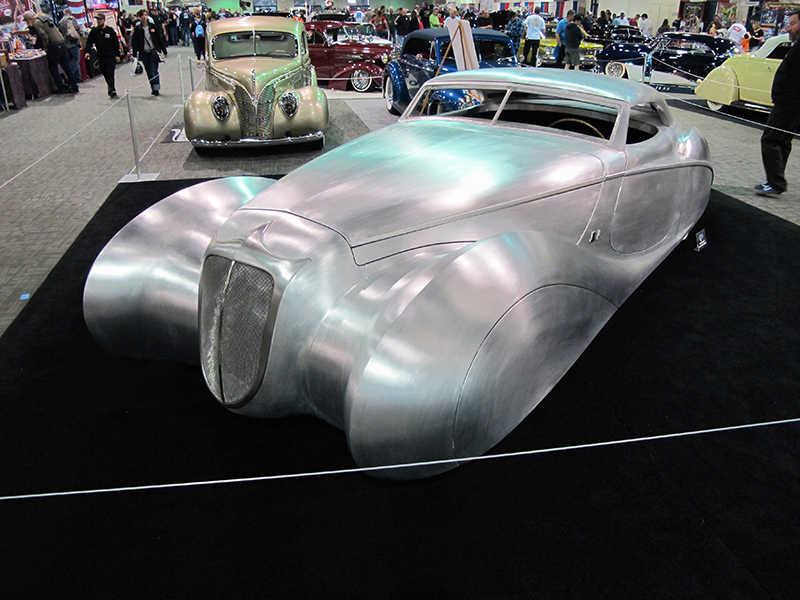 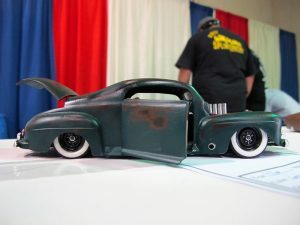 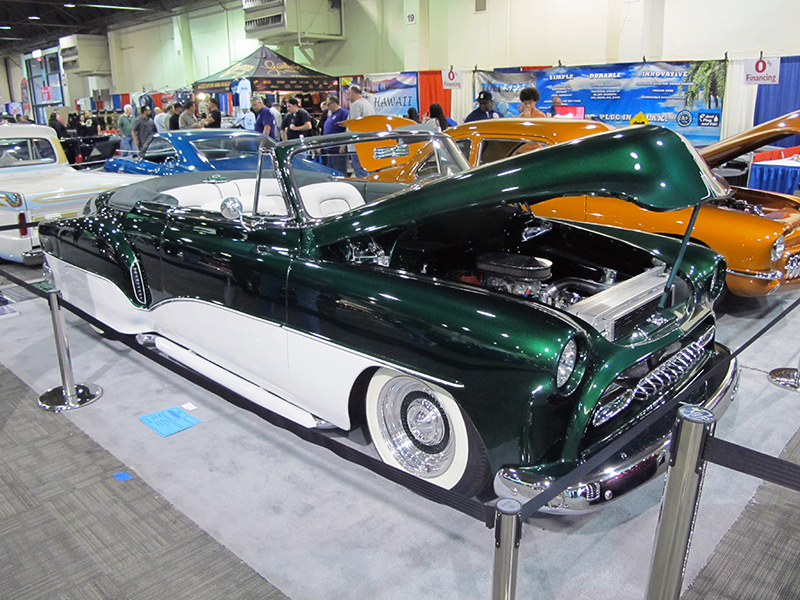 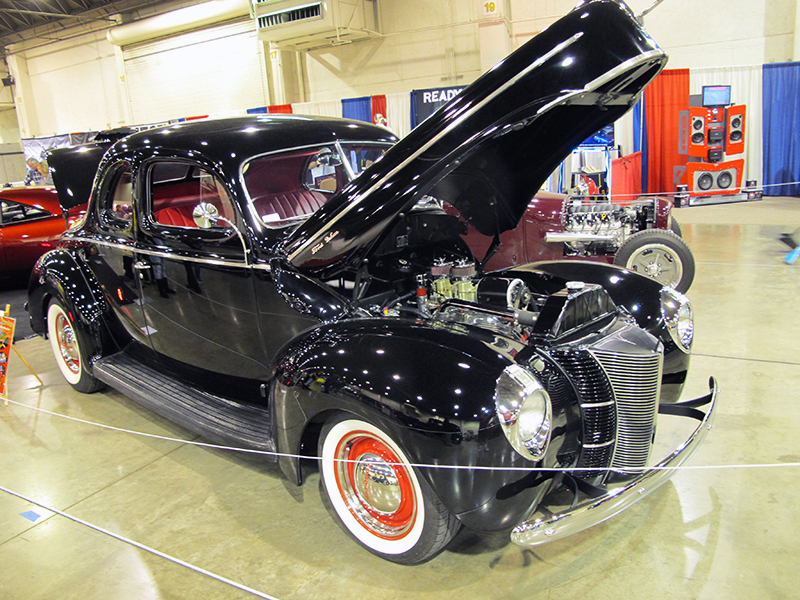 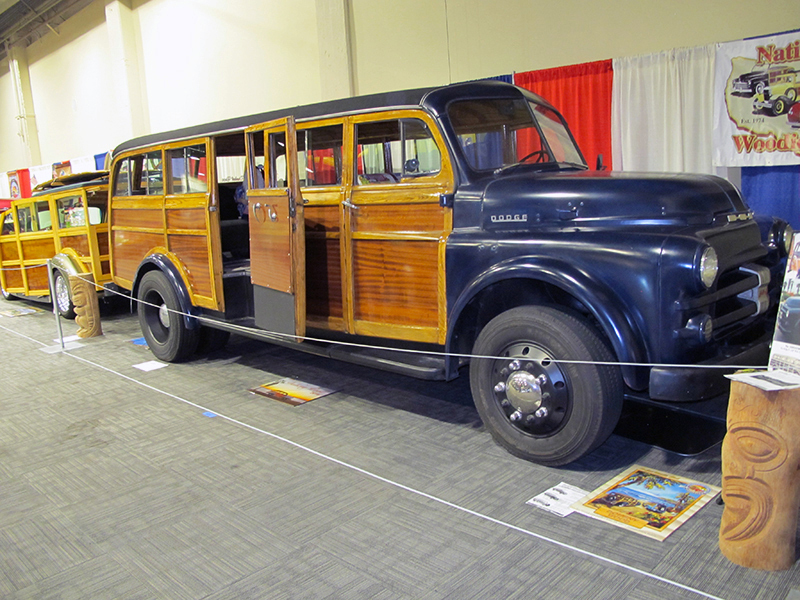 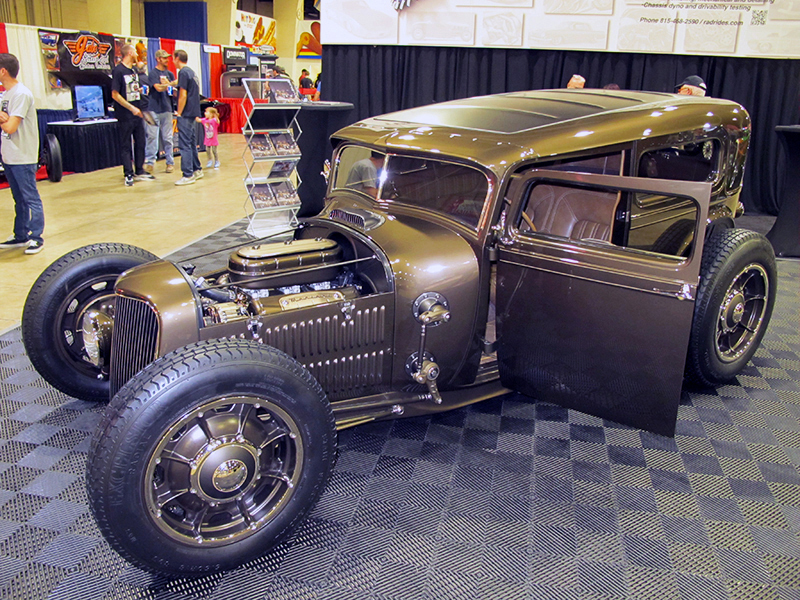 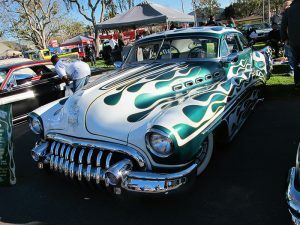 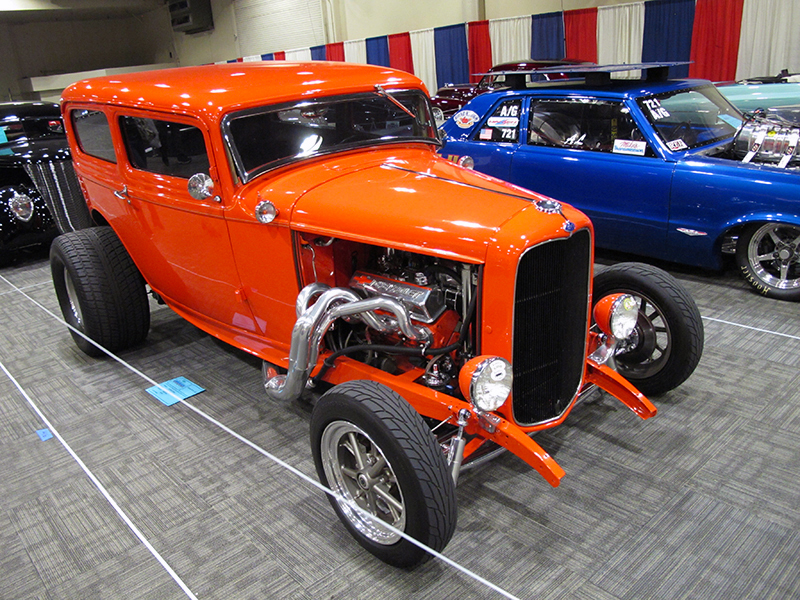 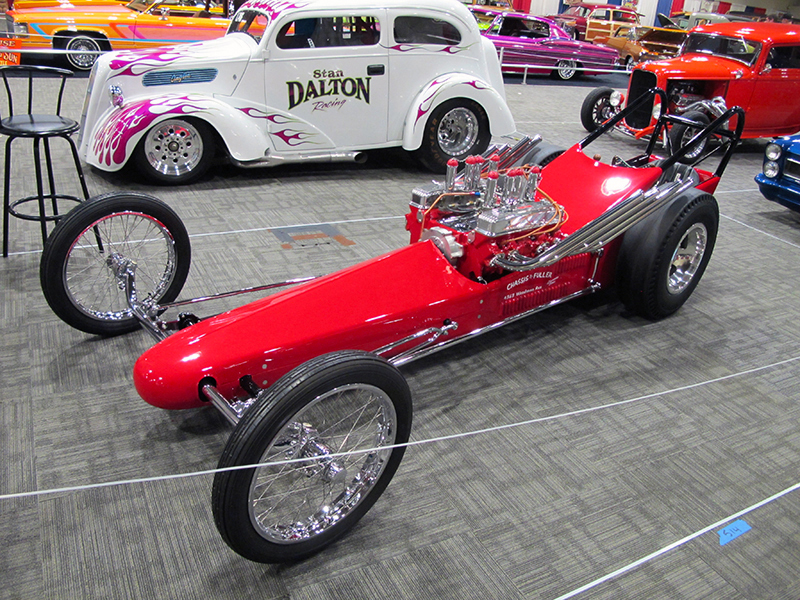 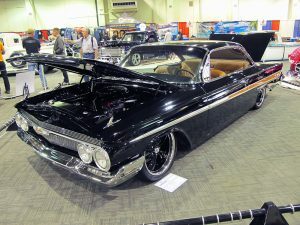 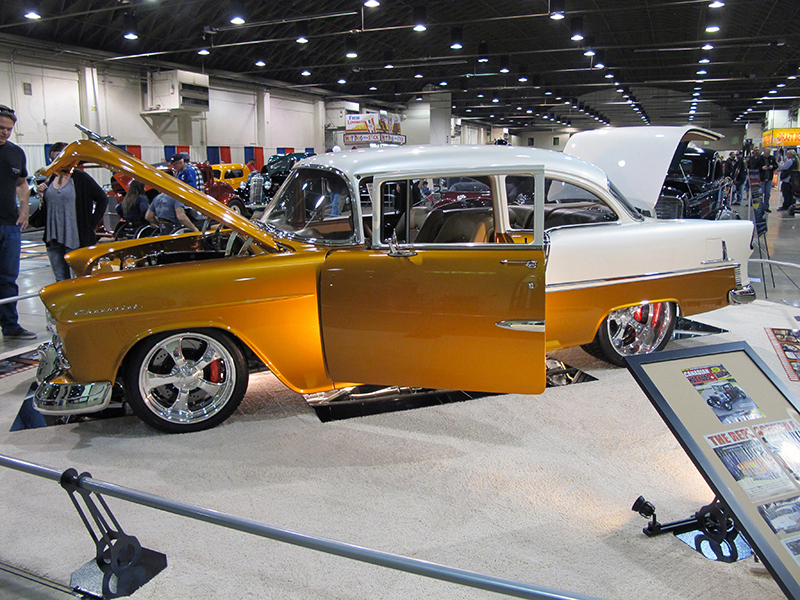 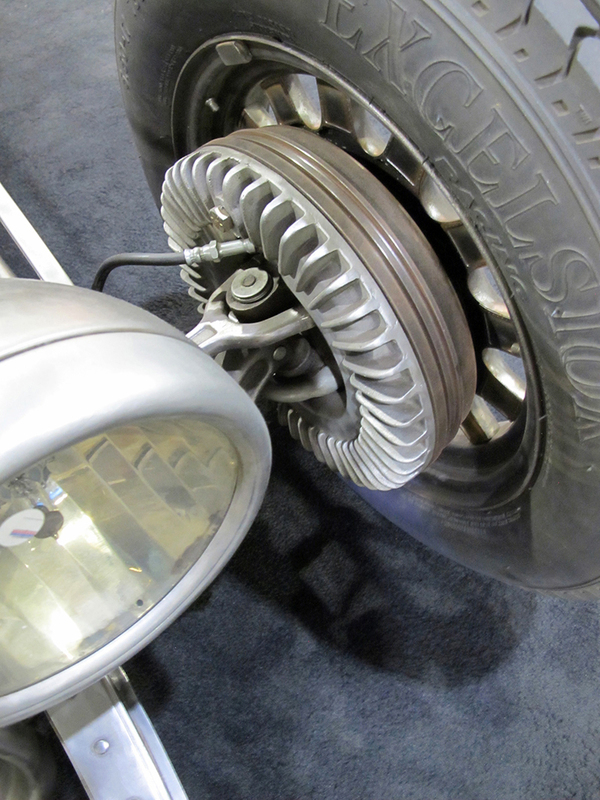 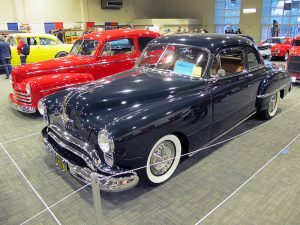 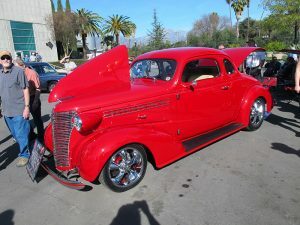 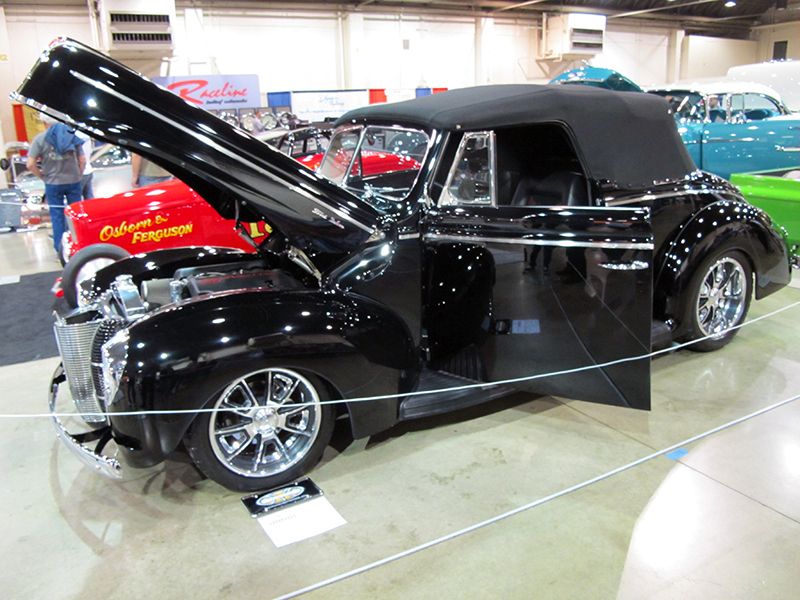 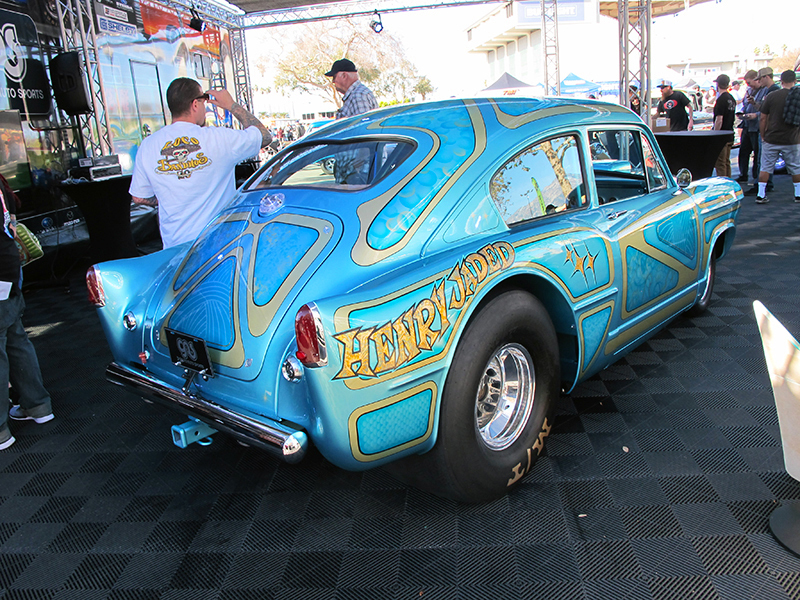 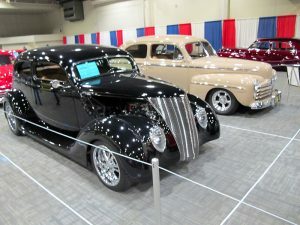 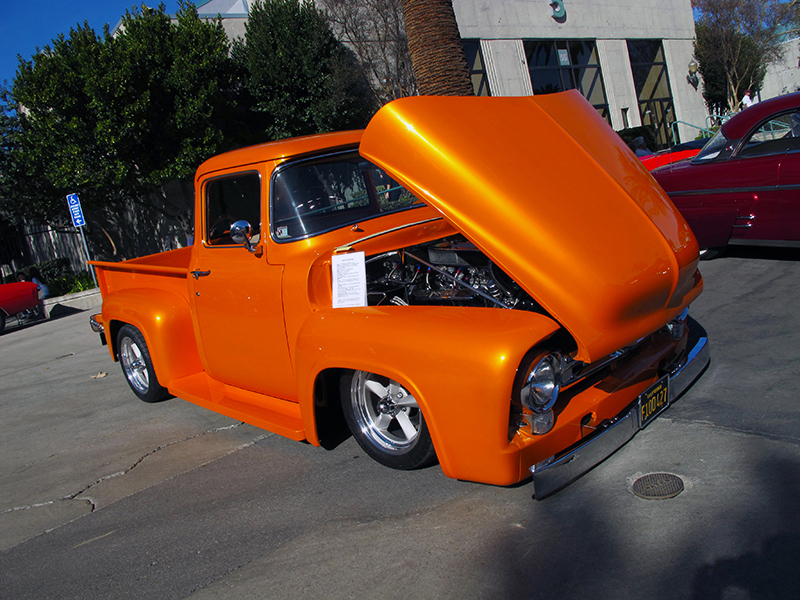 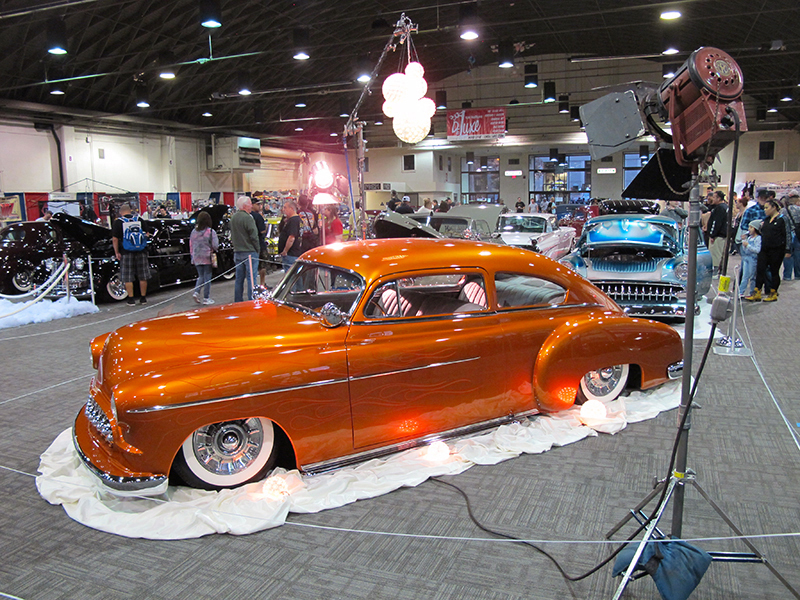 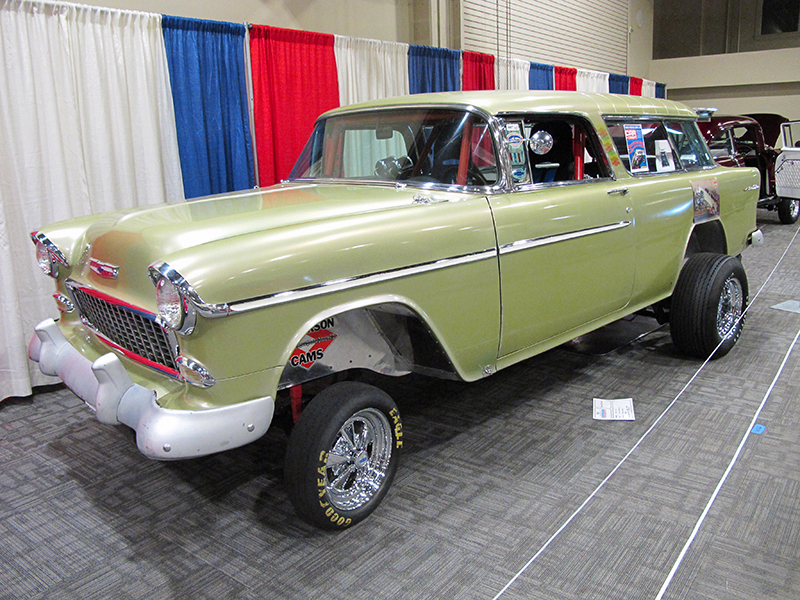 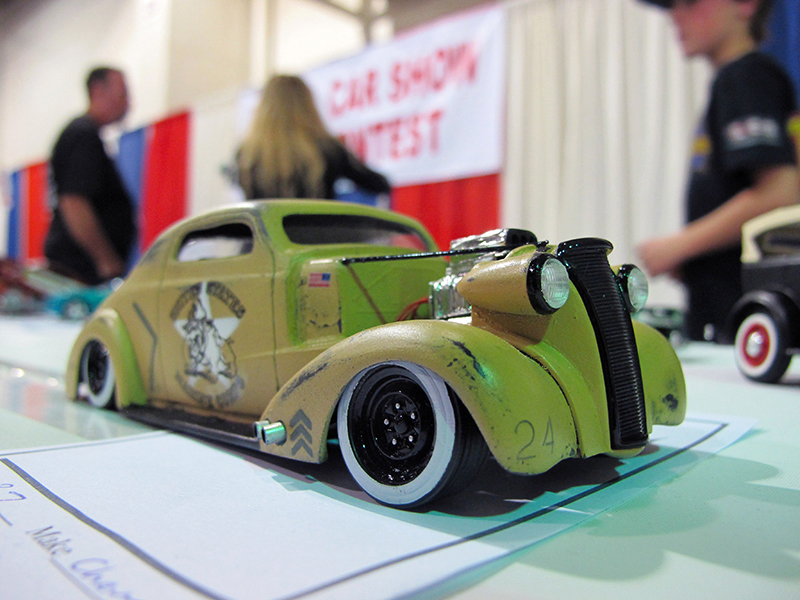 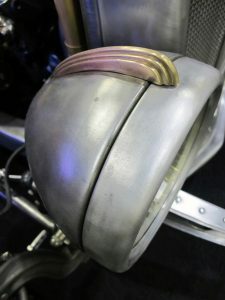 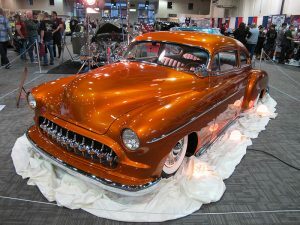 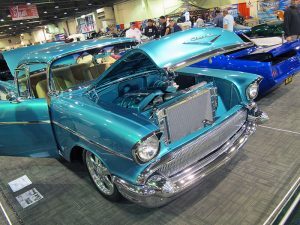 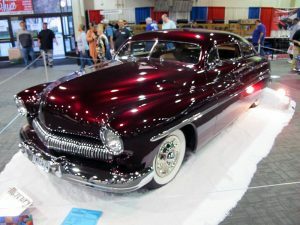 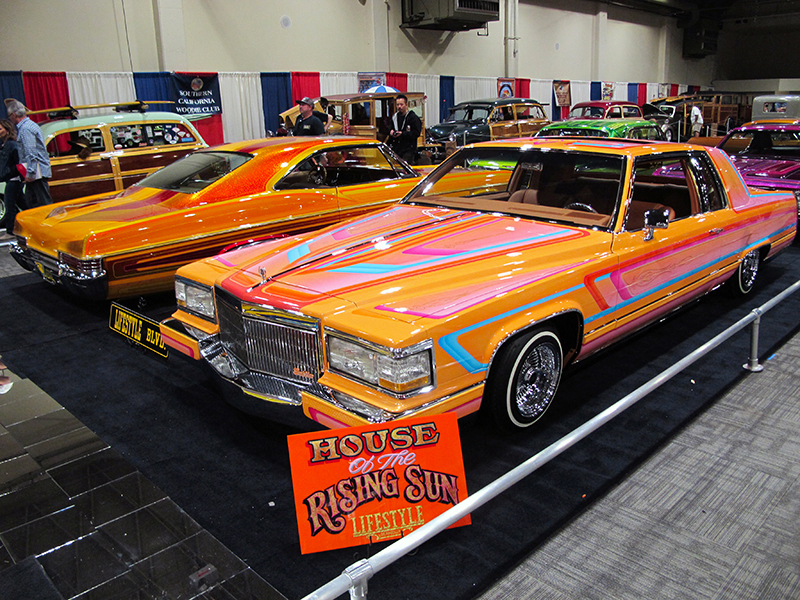 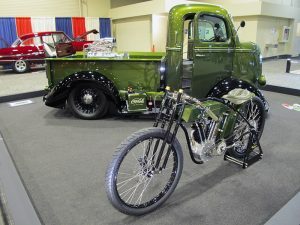 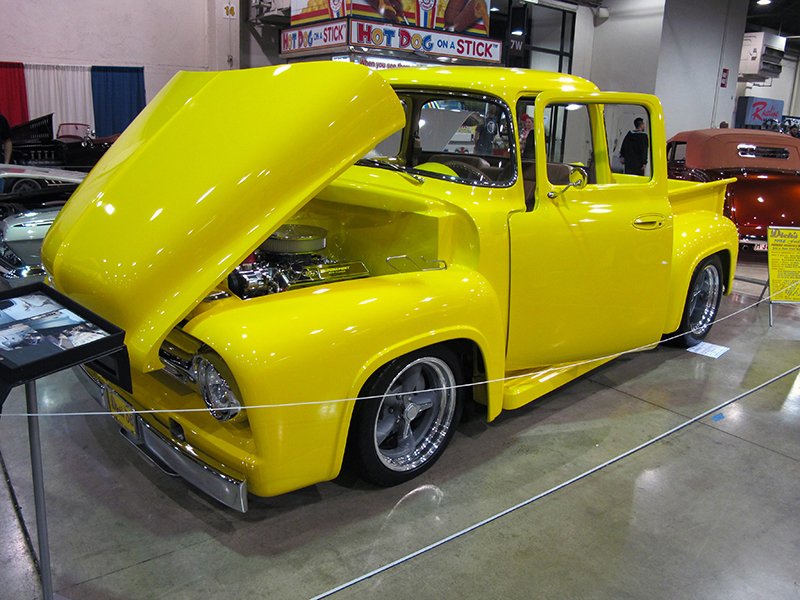 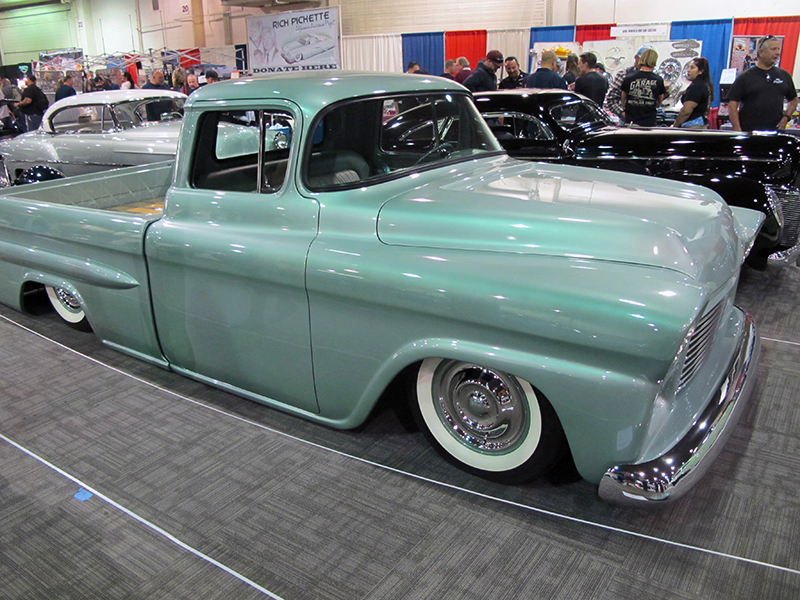 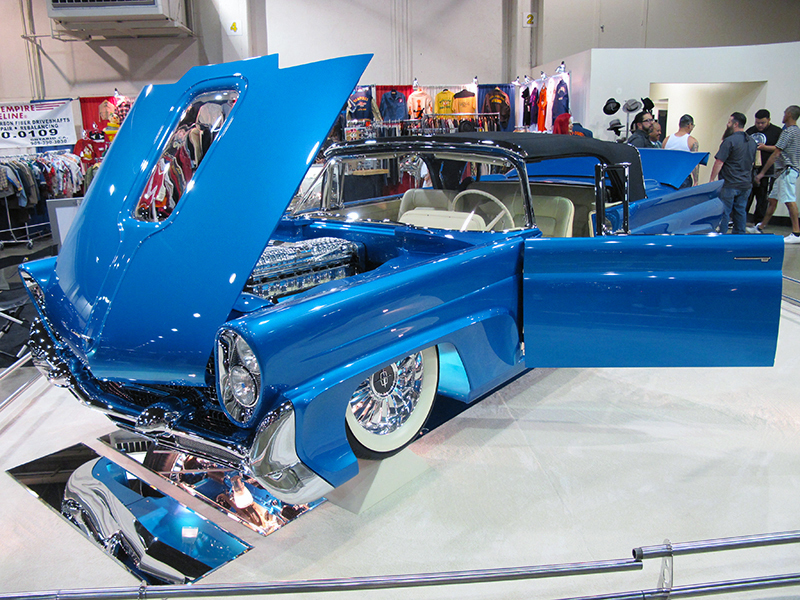 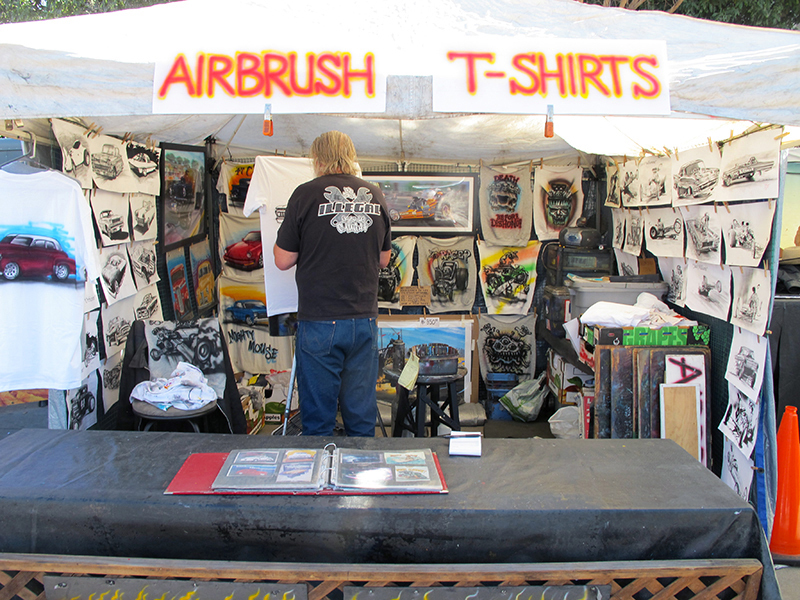 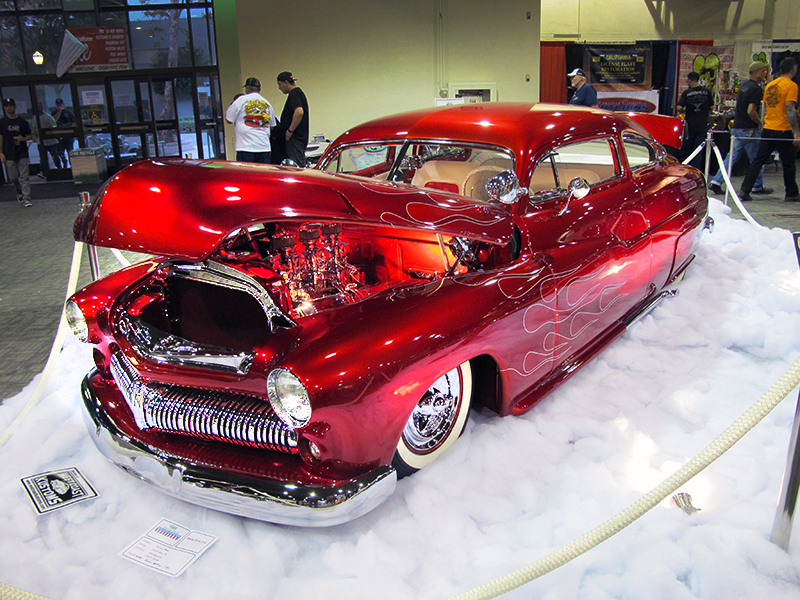 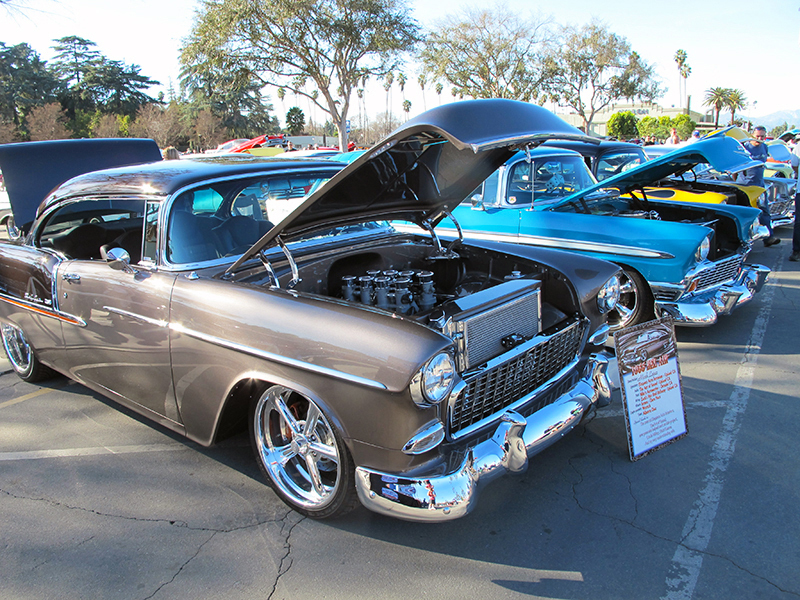 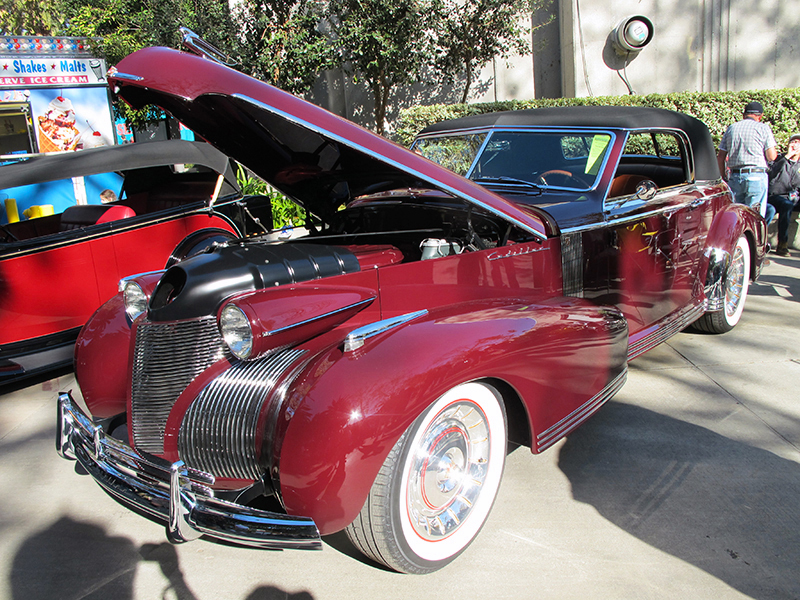 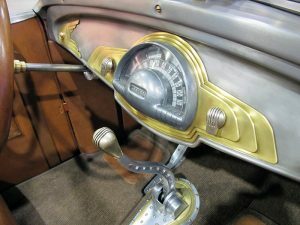 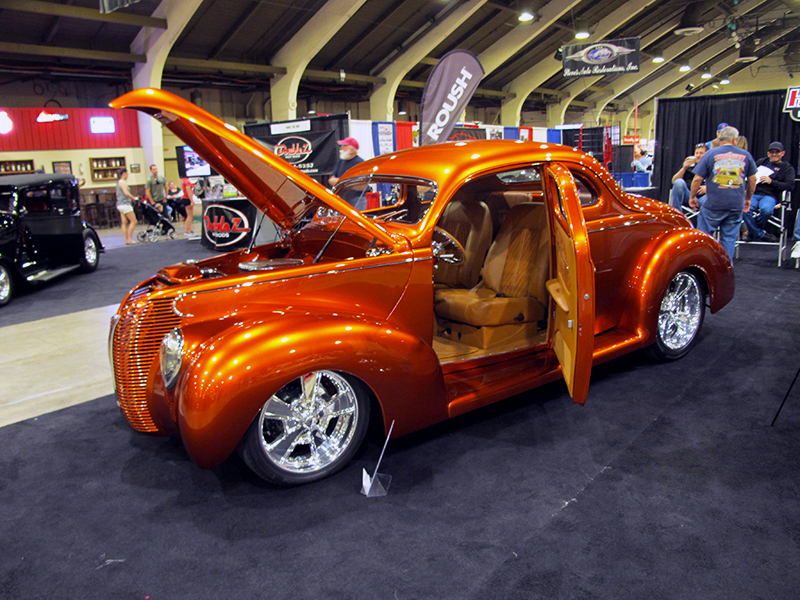 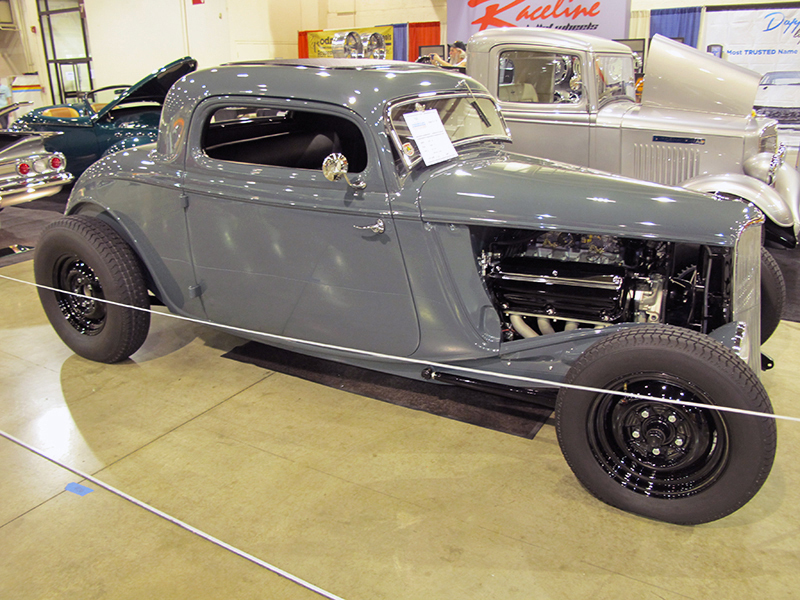 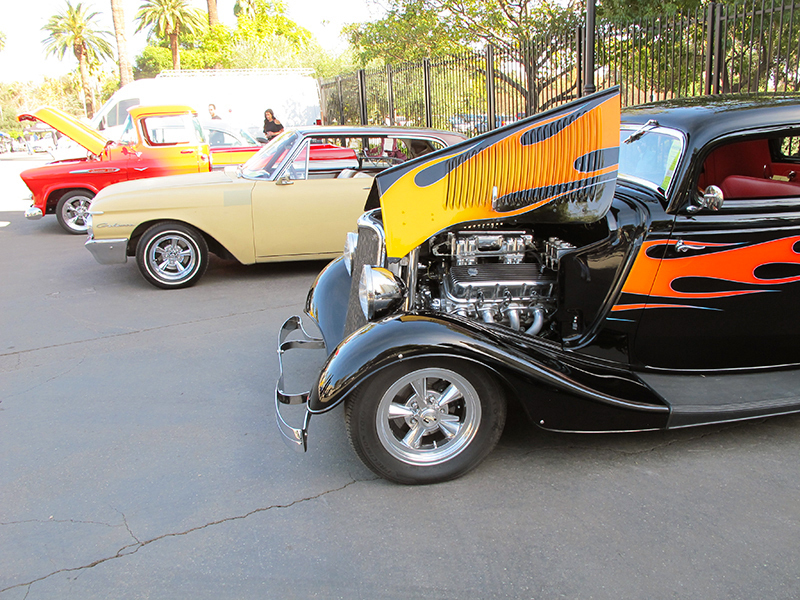 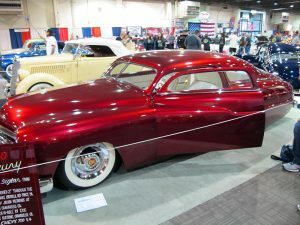 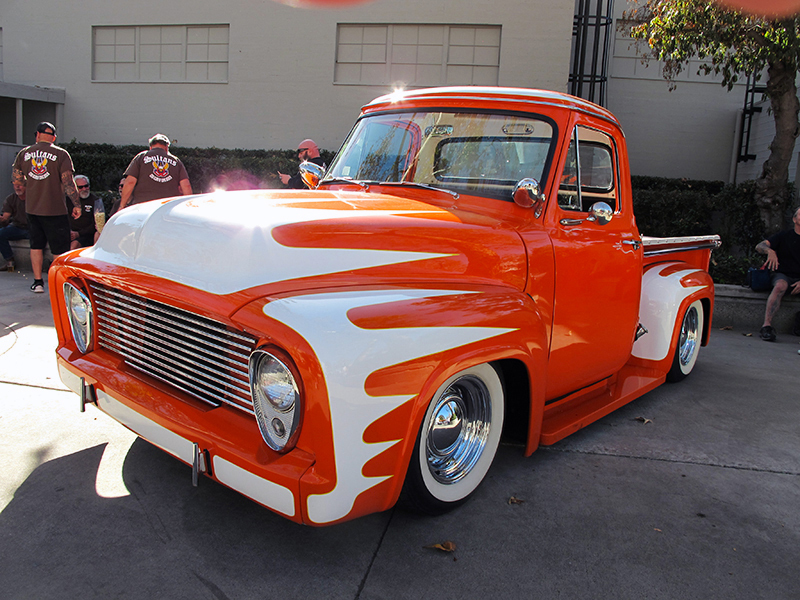 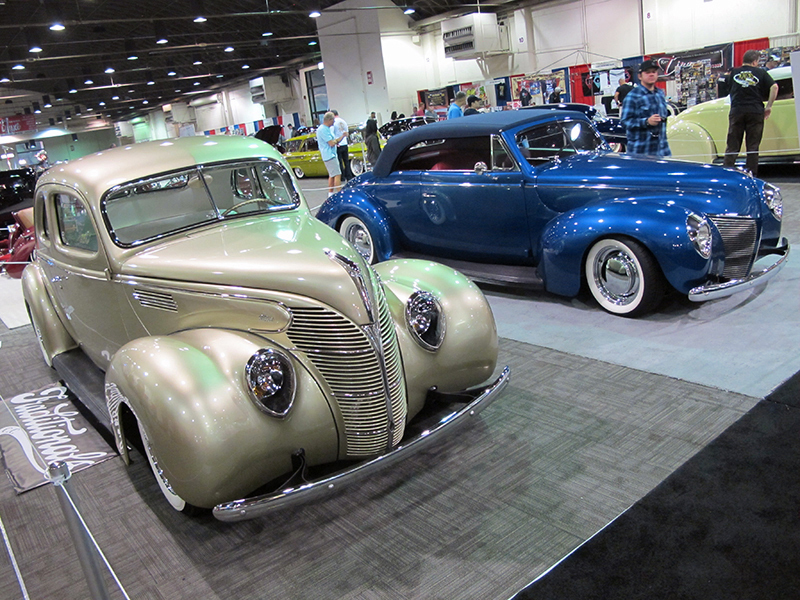 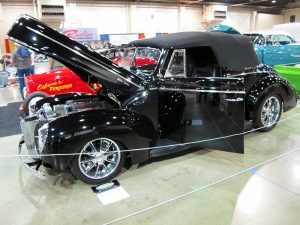 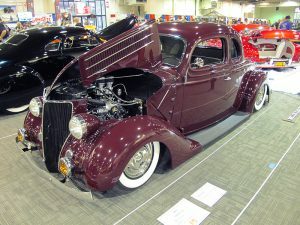 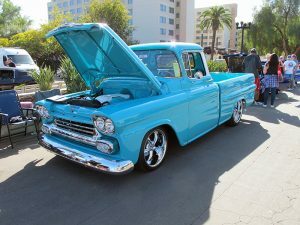 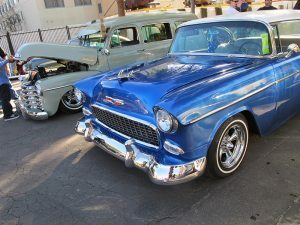 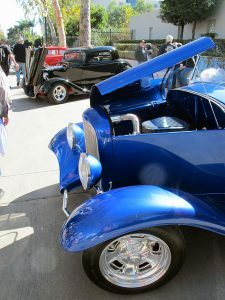 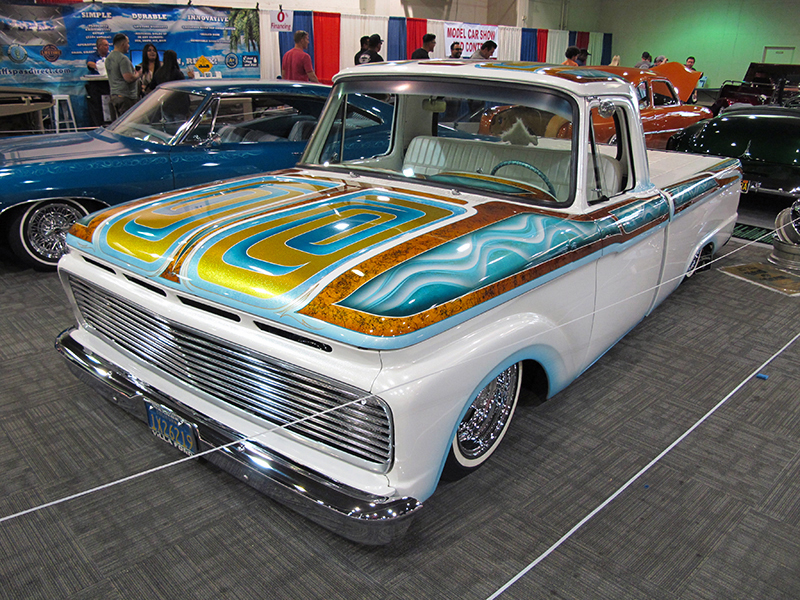 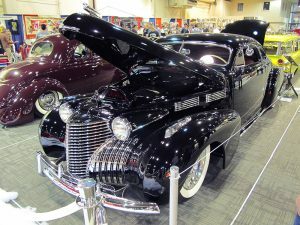 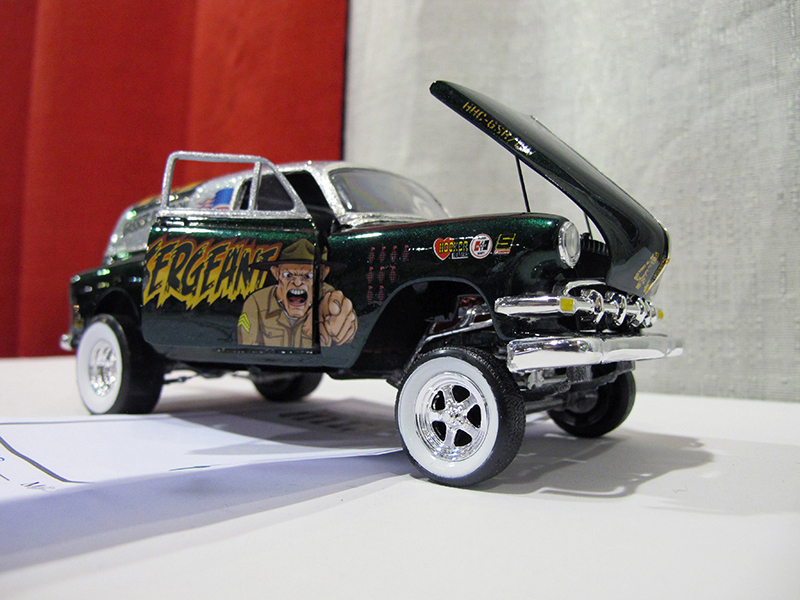 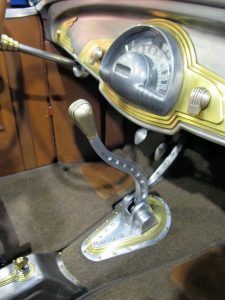 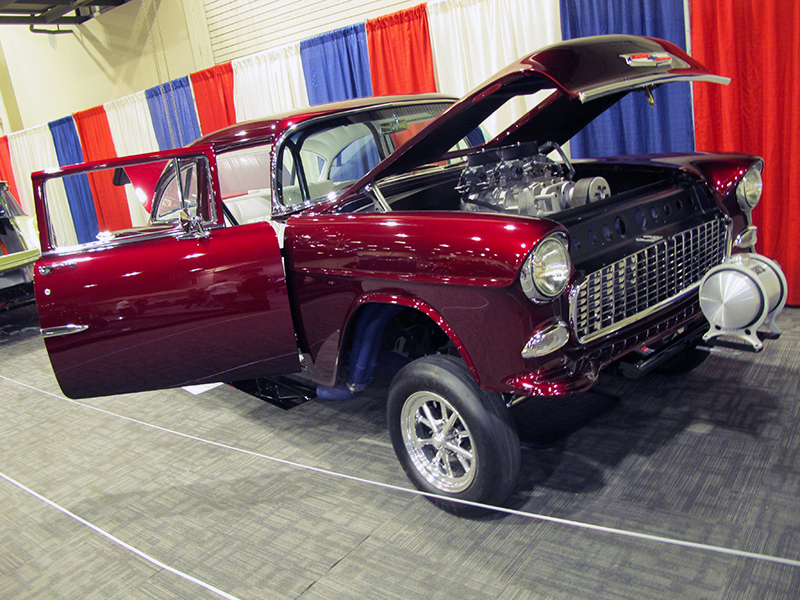 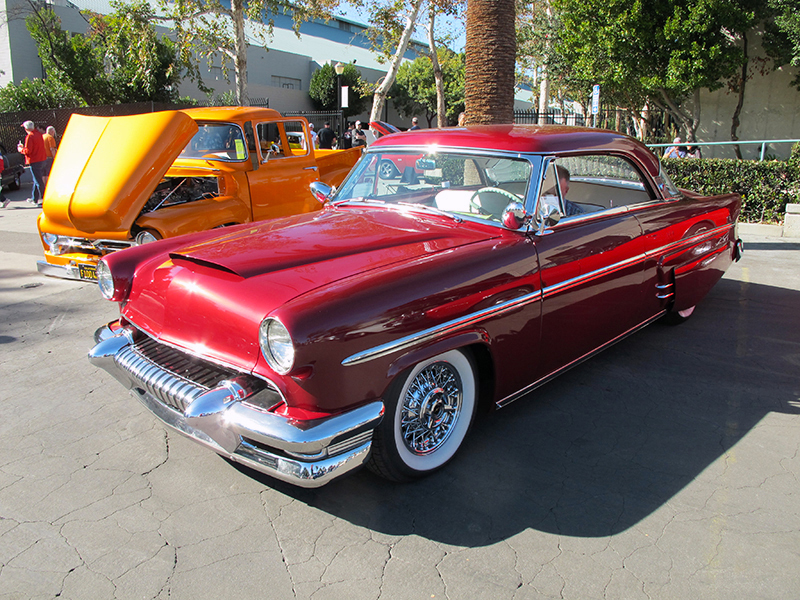 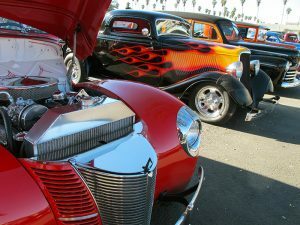 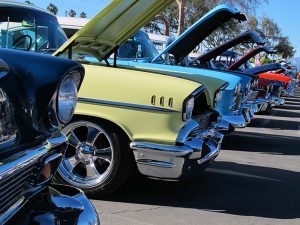 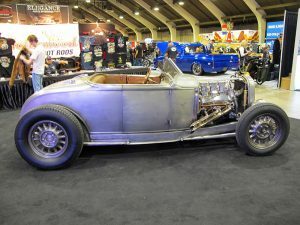 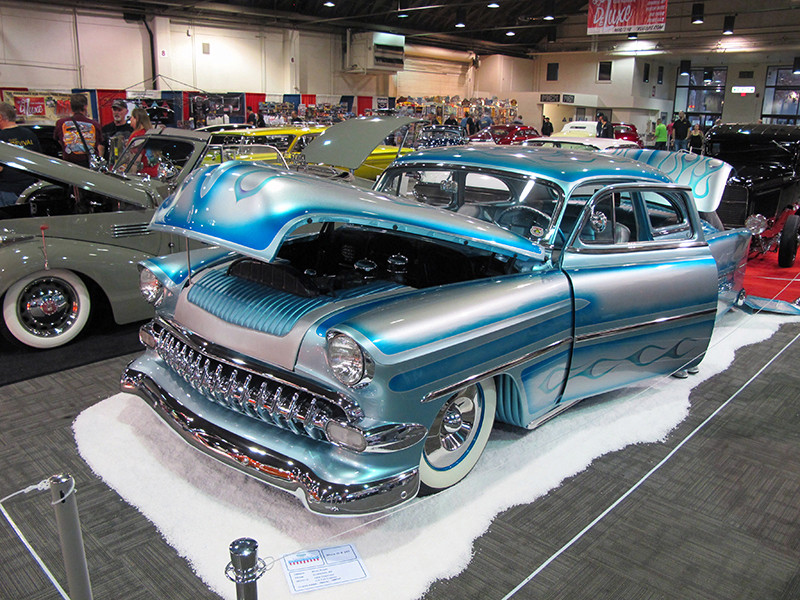 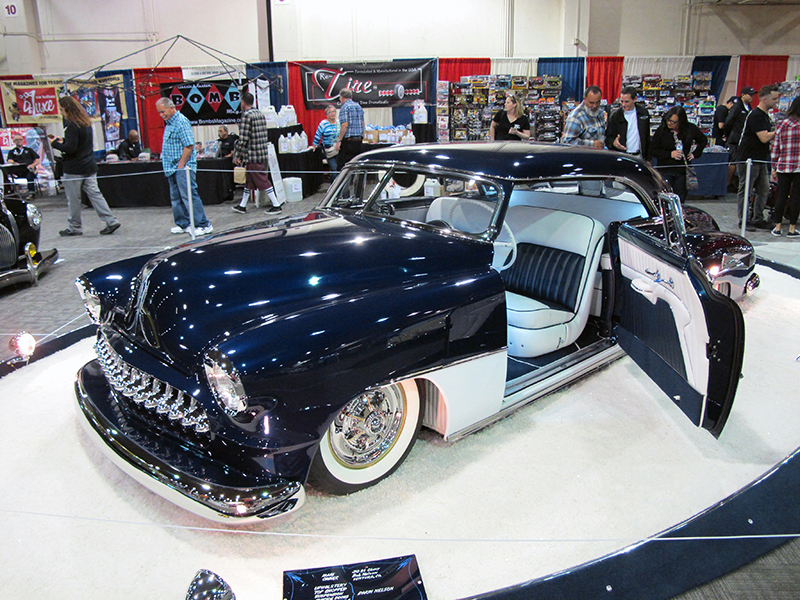 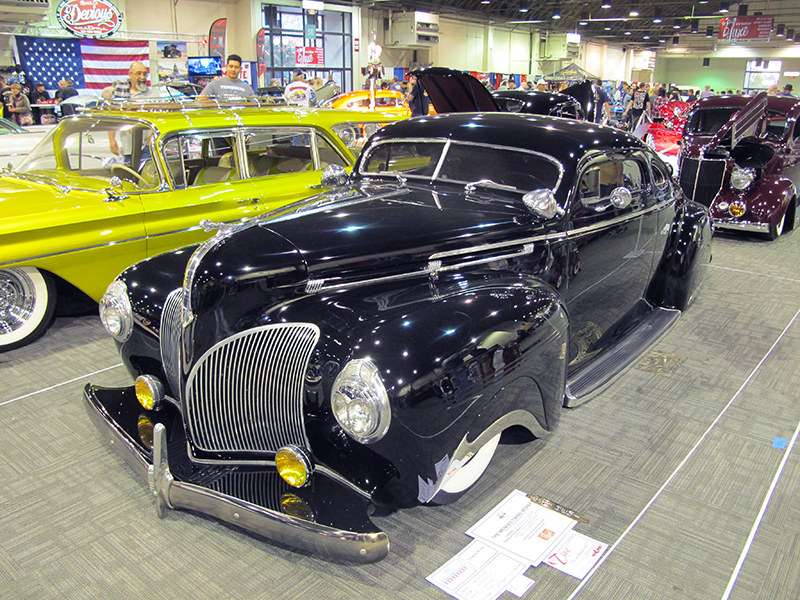 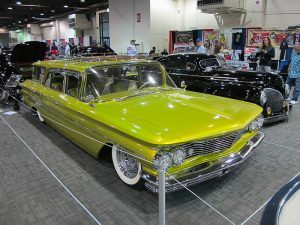 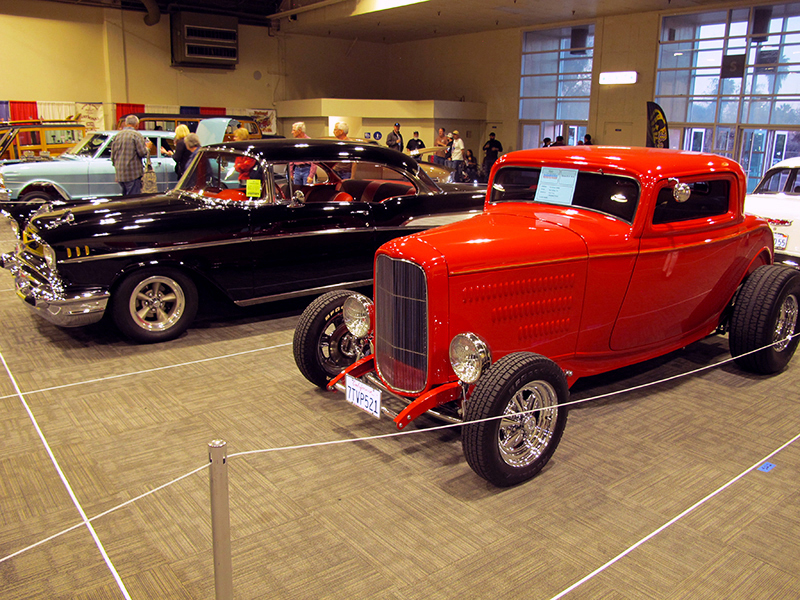 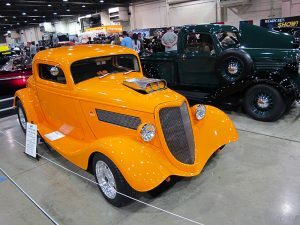 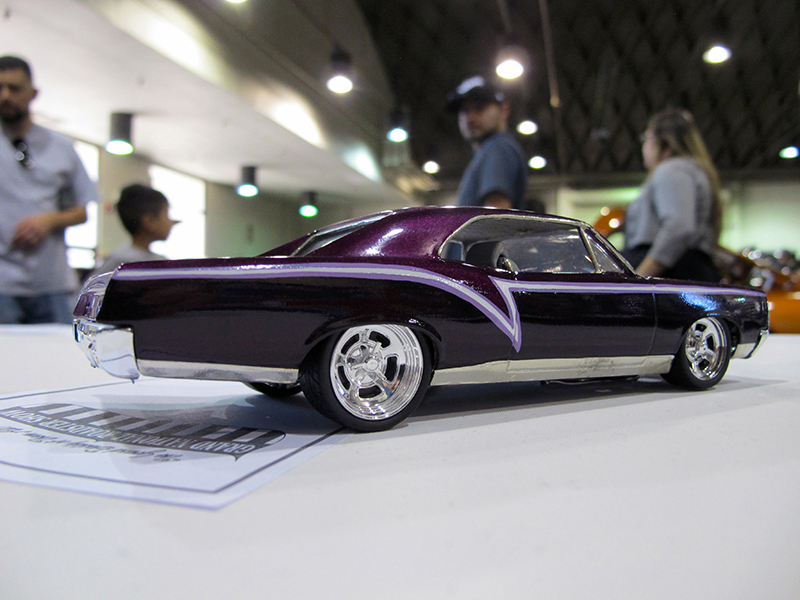 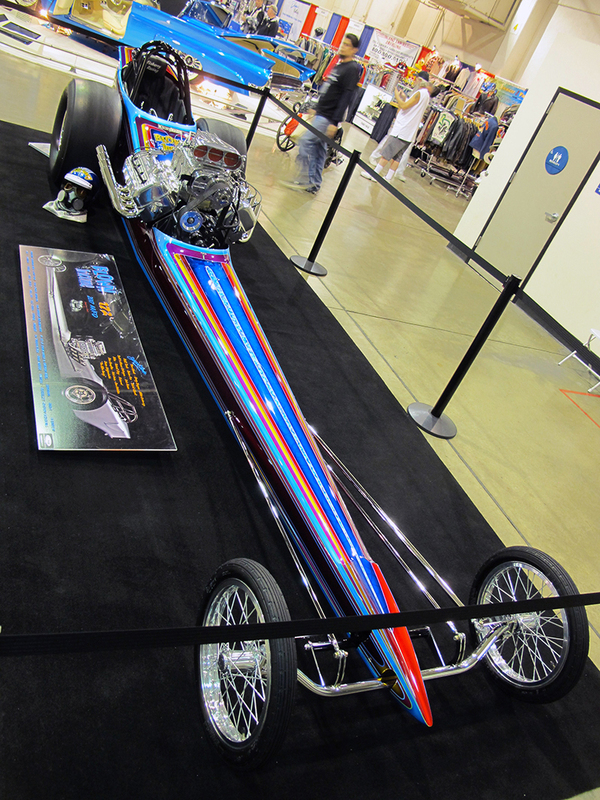 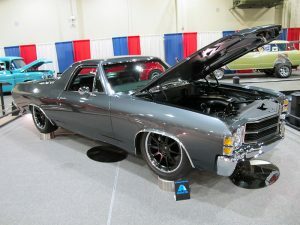 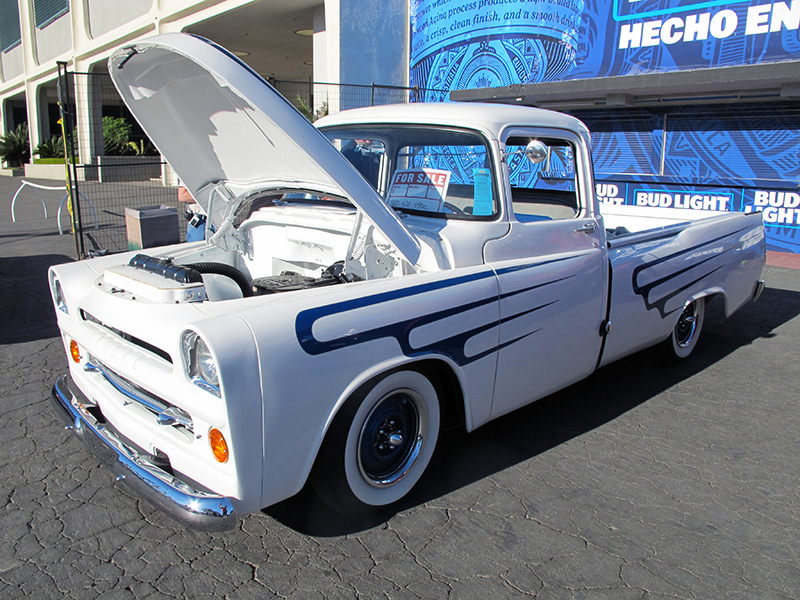 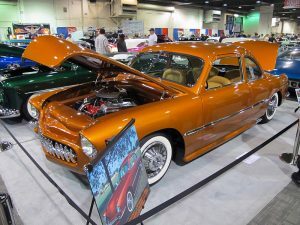 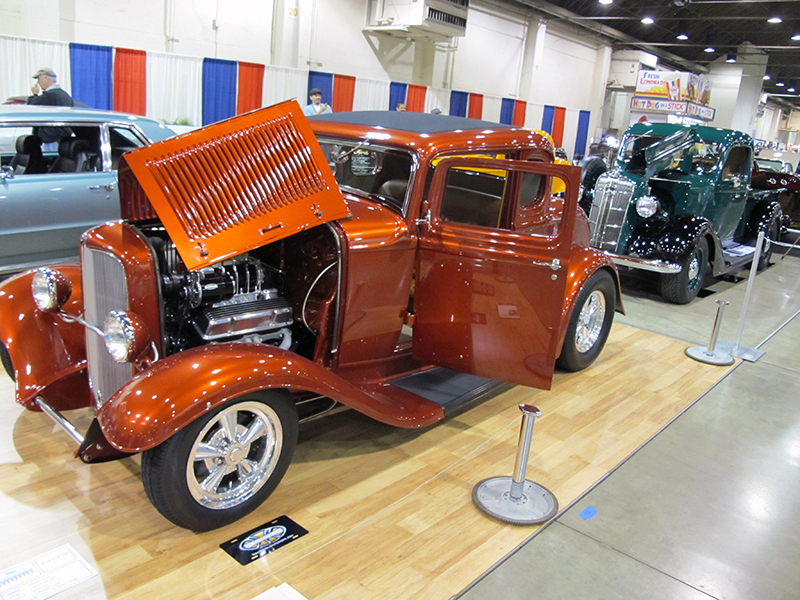 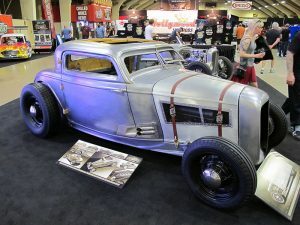 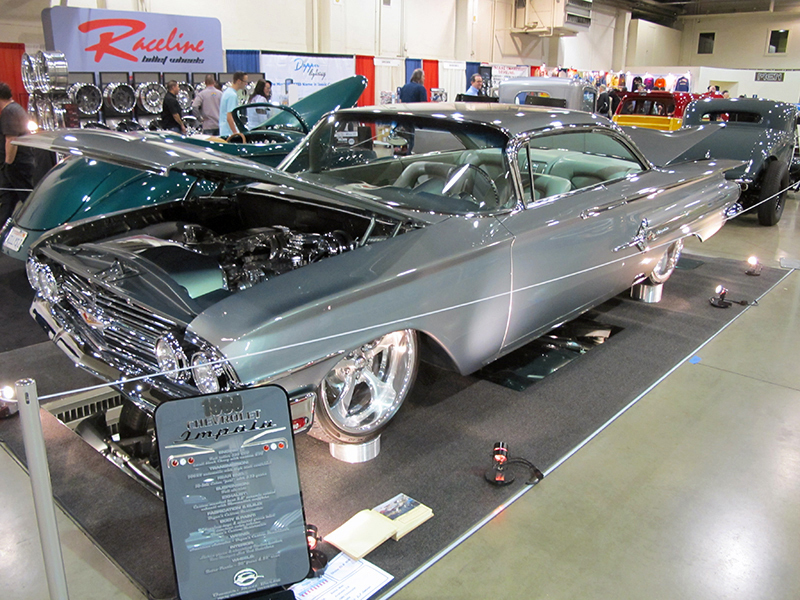 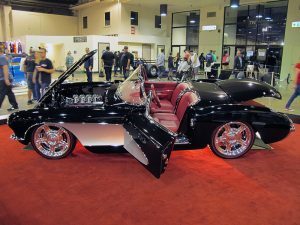 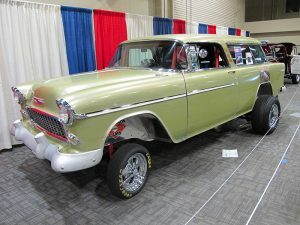 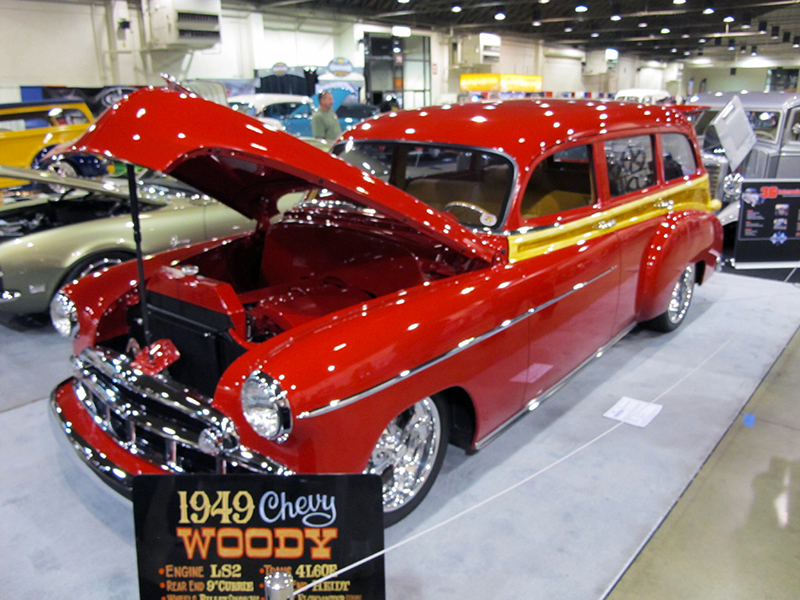 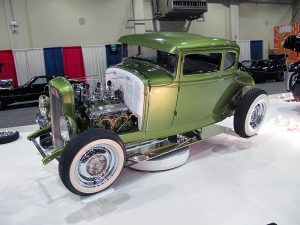 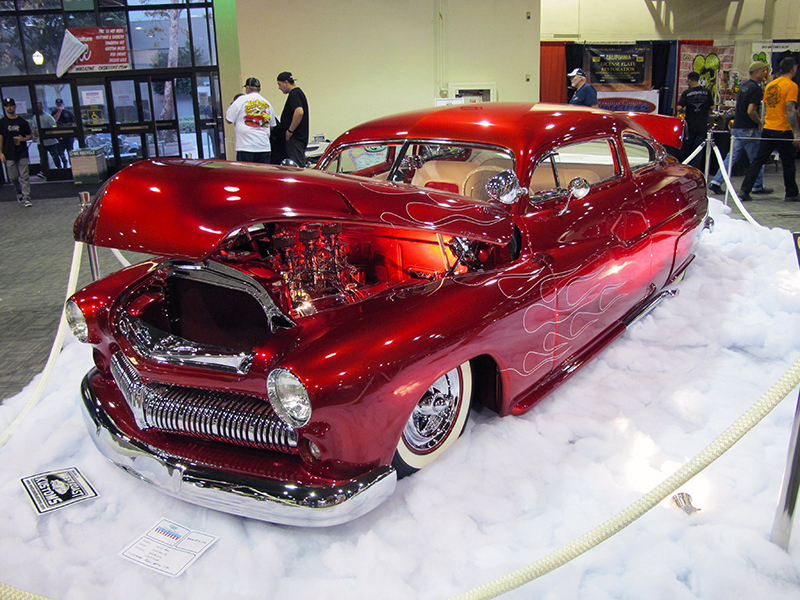 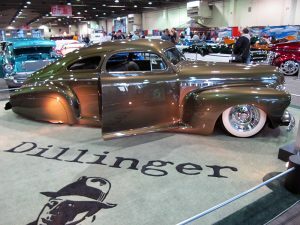 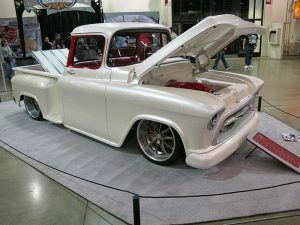 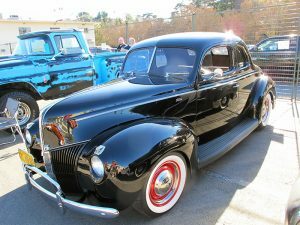 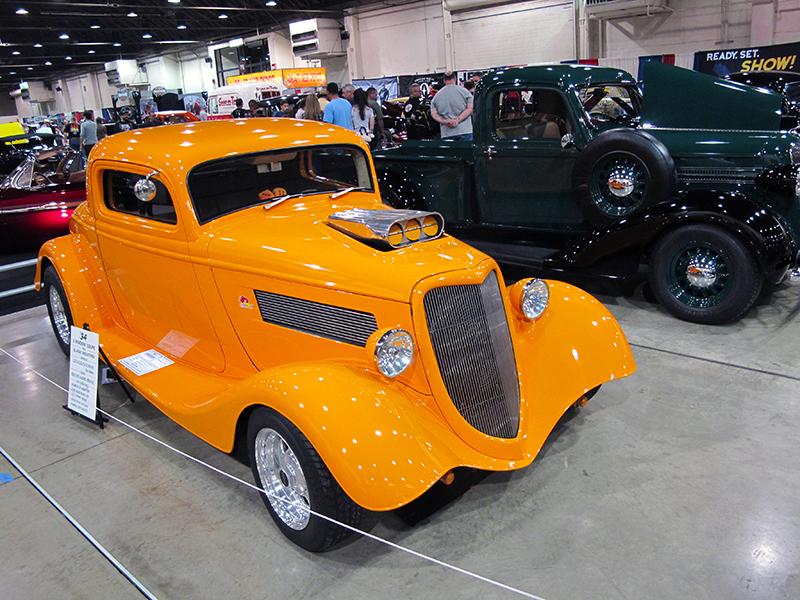 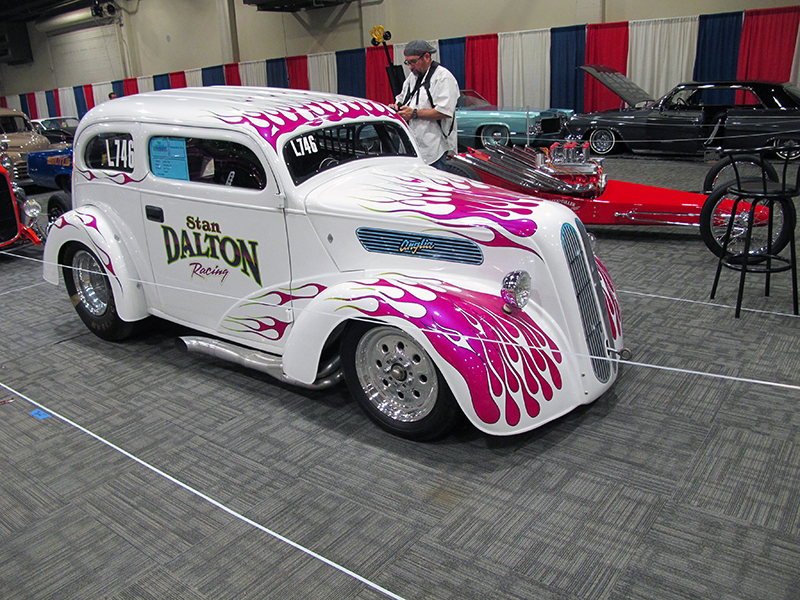 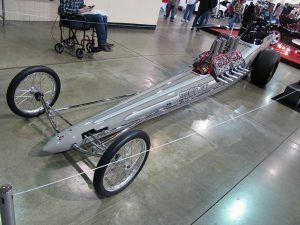 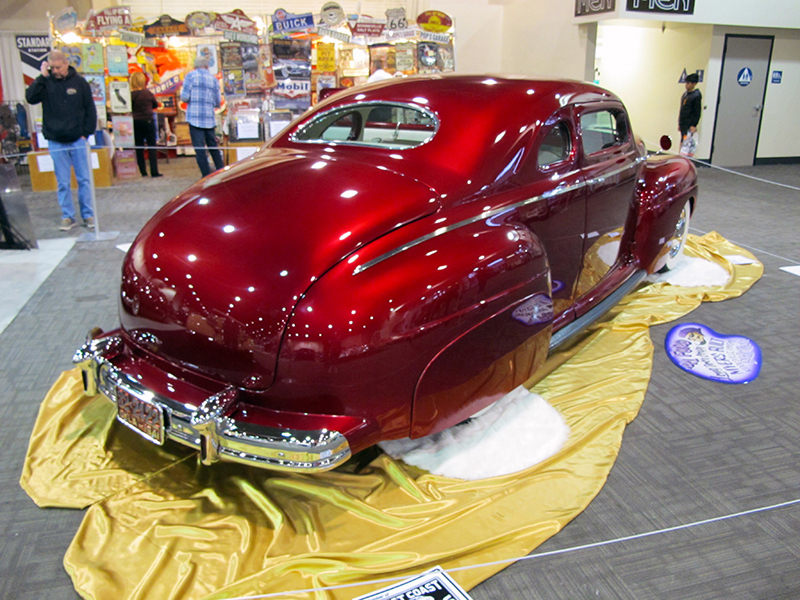 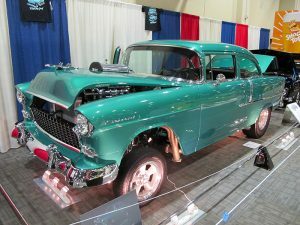 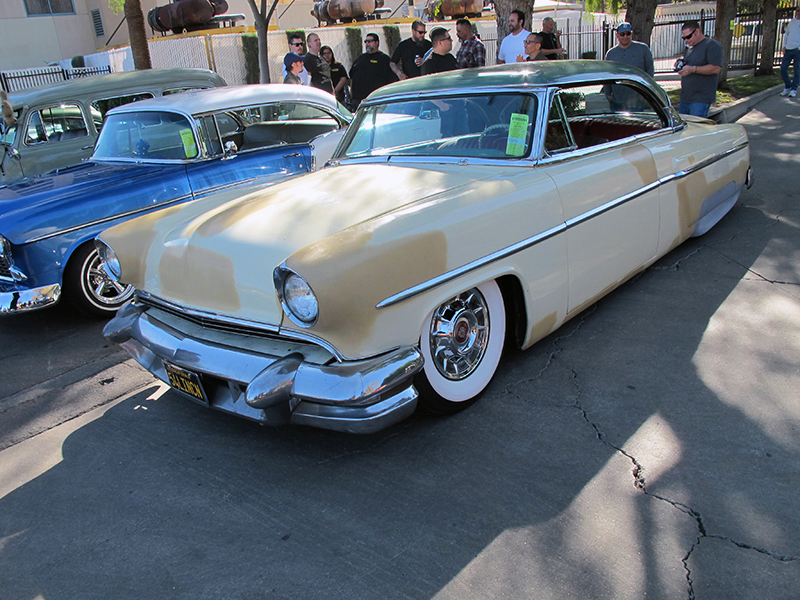 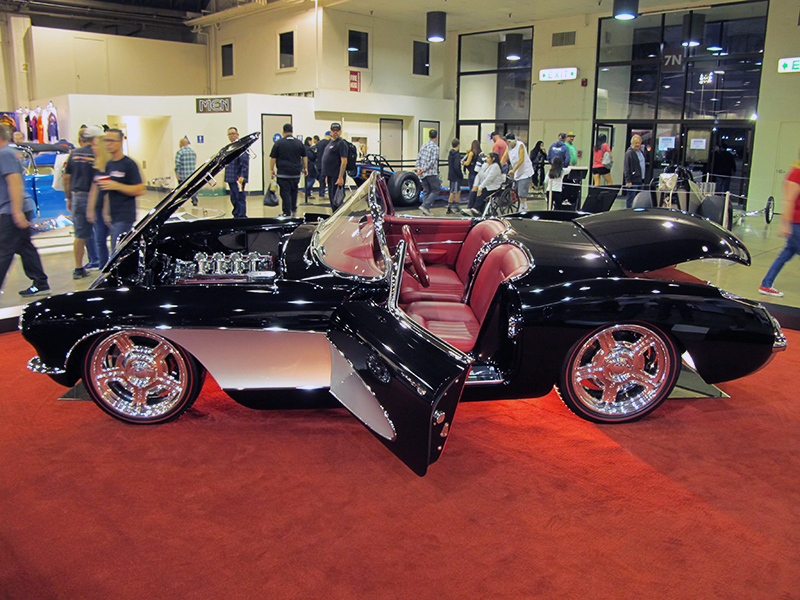 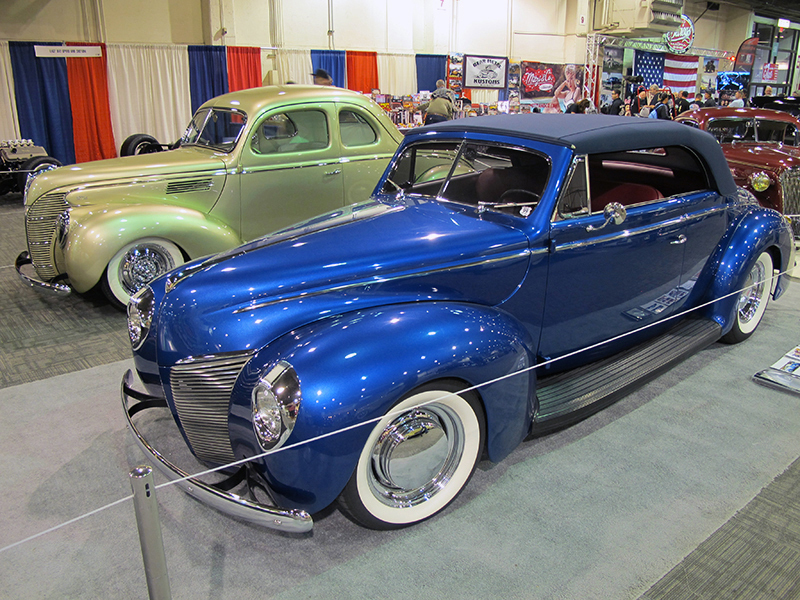 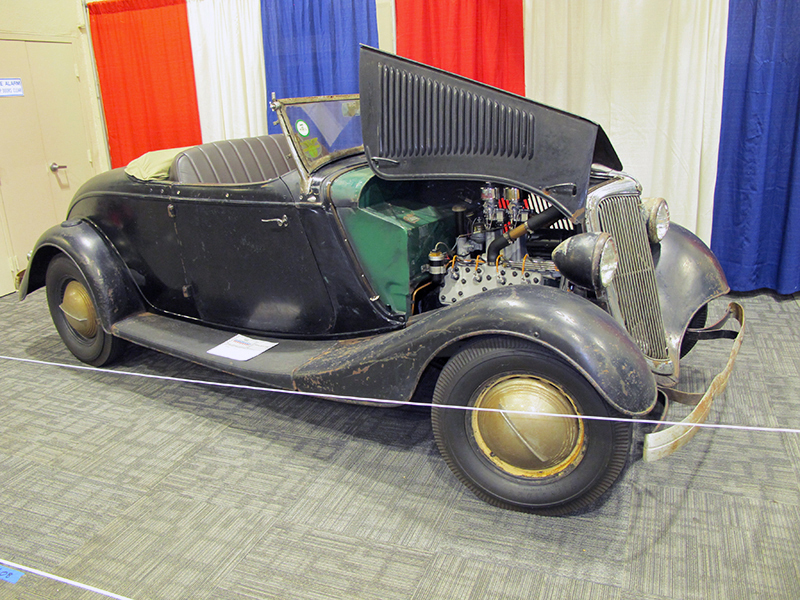 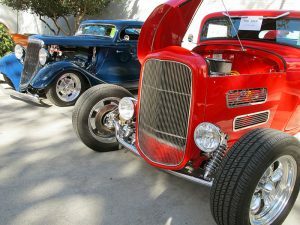 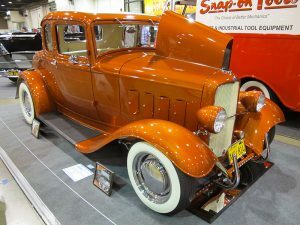 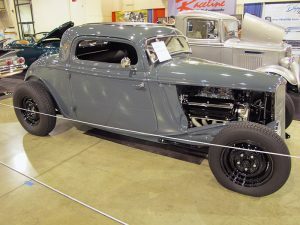 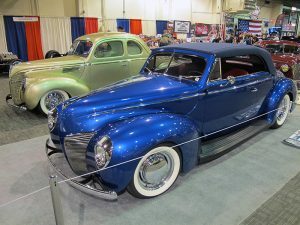 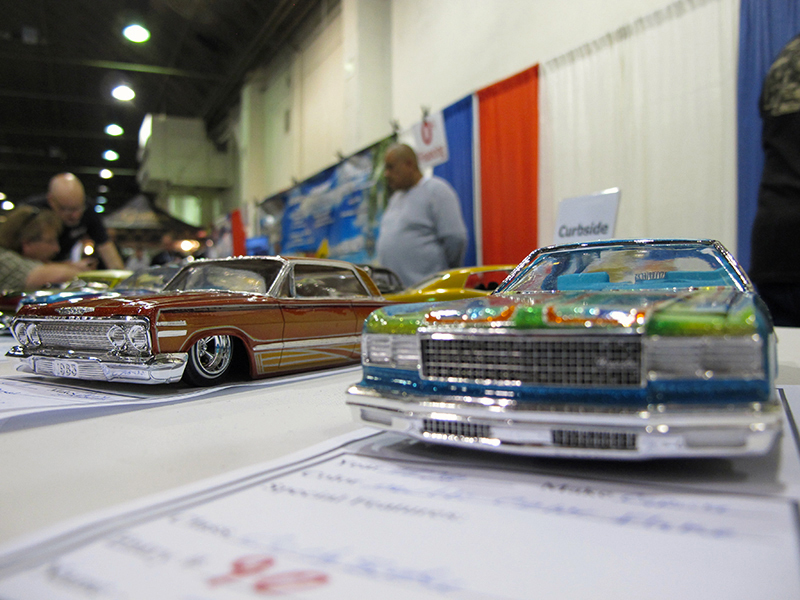 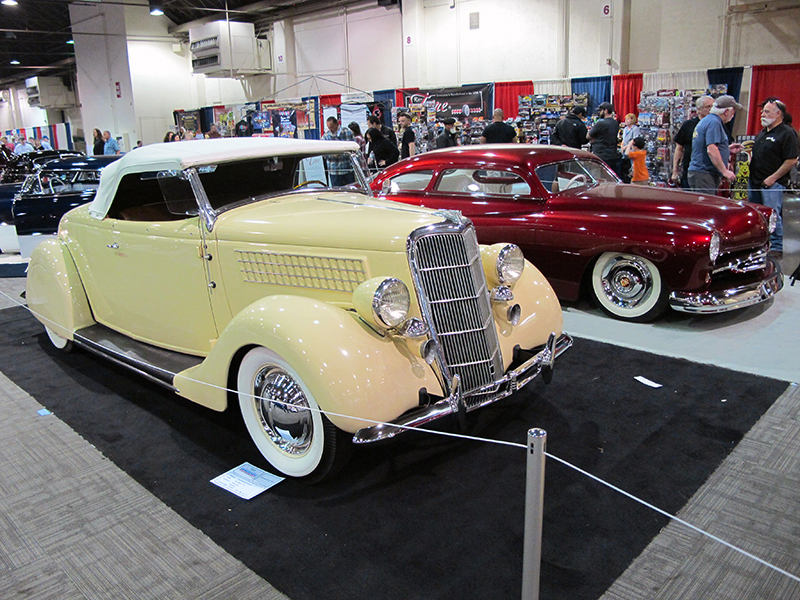 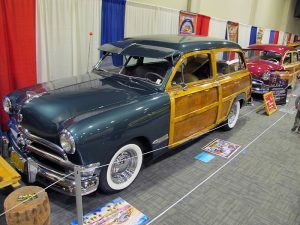 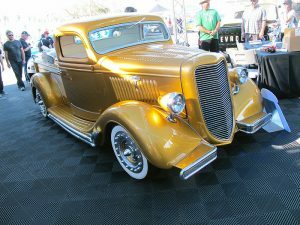 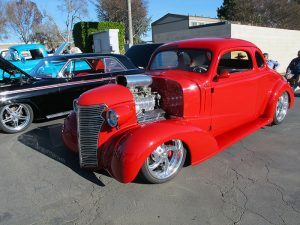 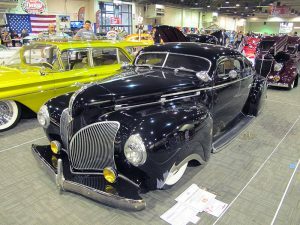 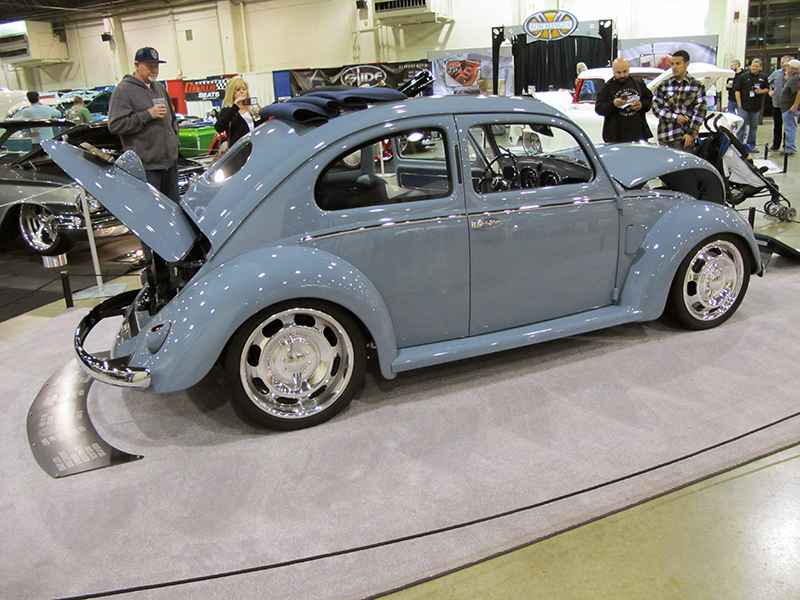 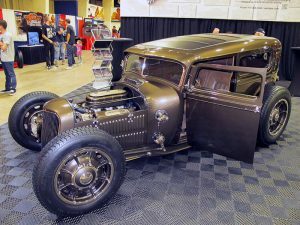 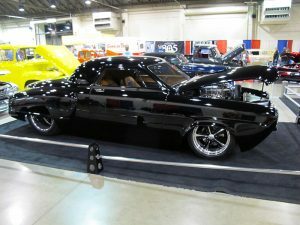 Also running all three days in its own building was the Suede Palace, a show within the show full of traditional hot rods, kustoms, car kulture clothing, art, and rockabilly music. 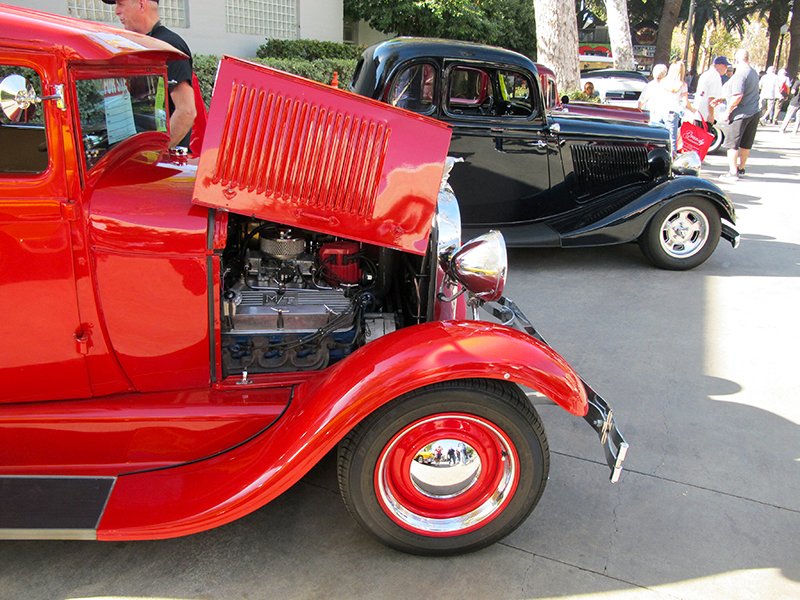 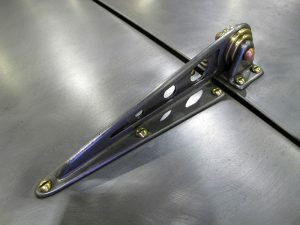 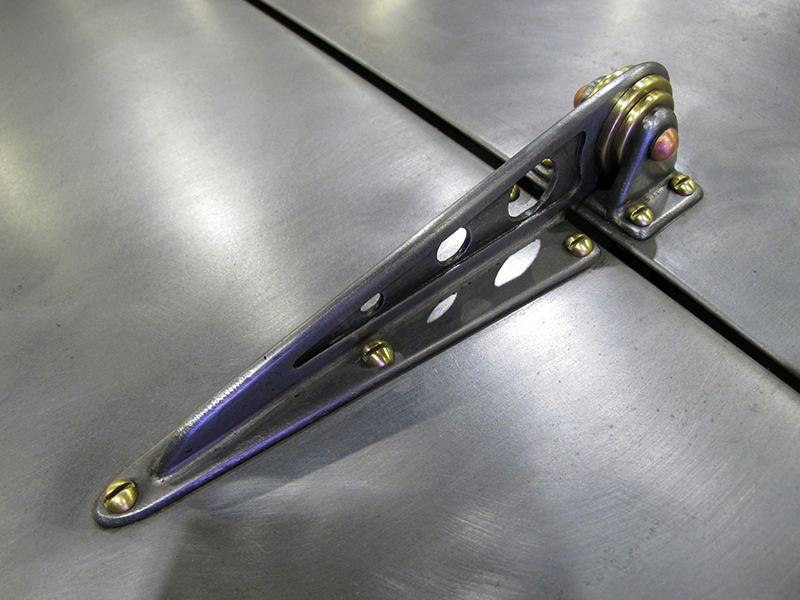 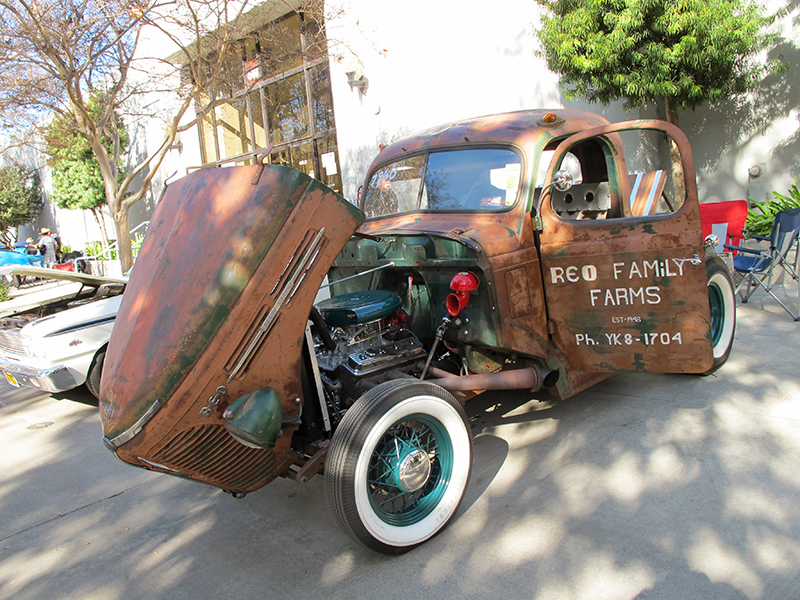 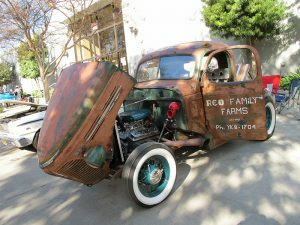 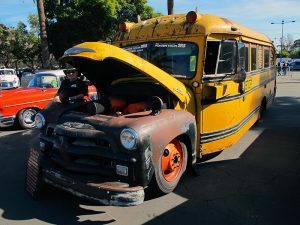 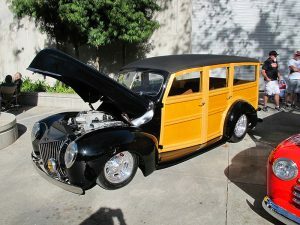 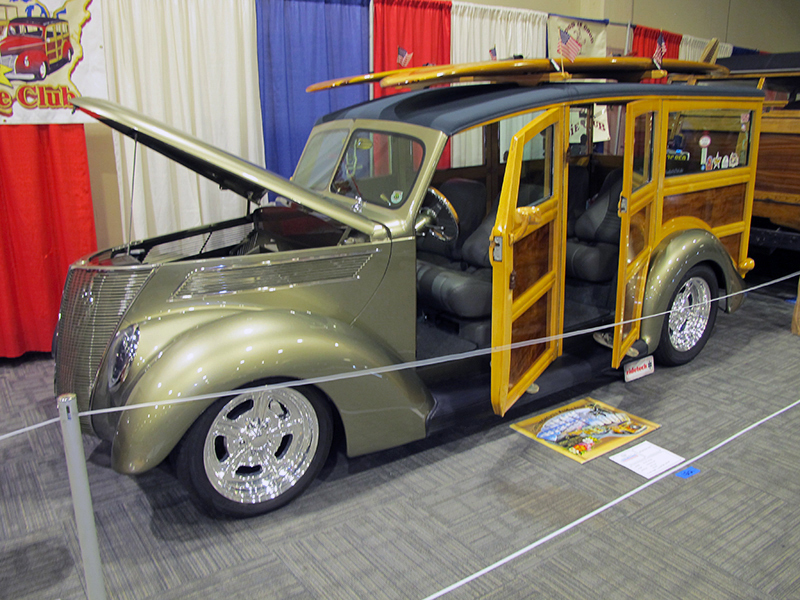 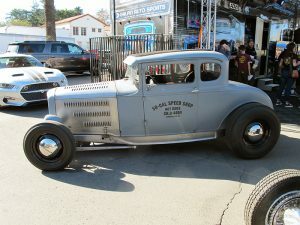 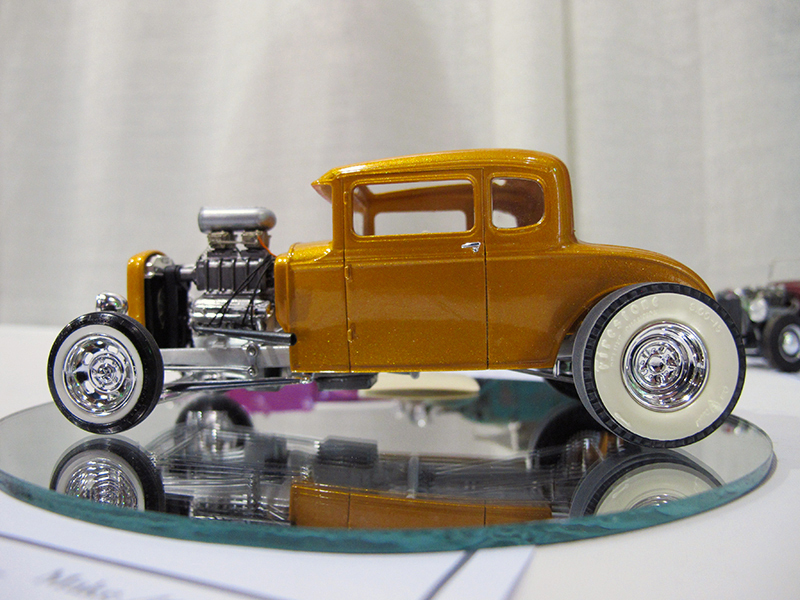 It was an awesome slice of rodding as a way of life. 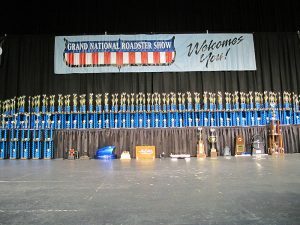 We could blabber on forever here, the show was just that big! 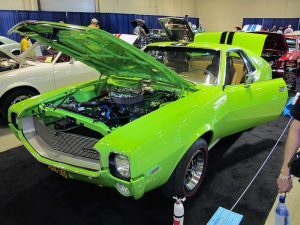 But as it’s been said many times before, a picture’s worth a thousand words — so here’s over 600 of them to tell the story though the camera’s eyes. Enjoy!